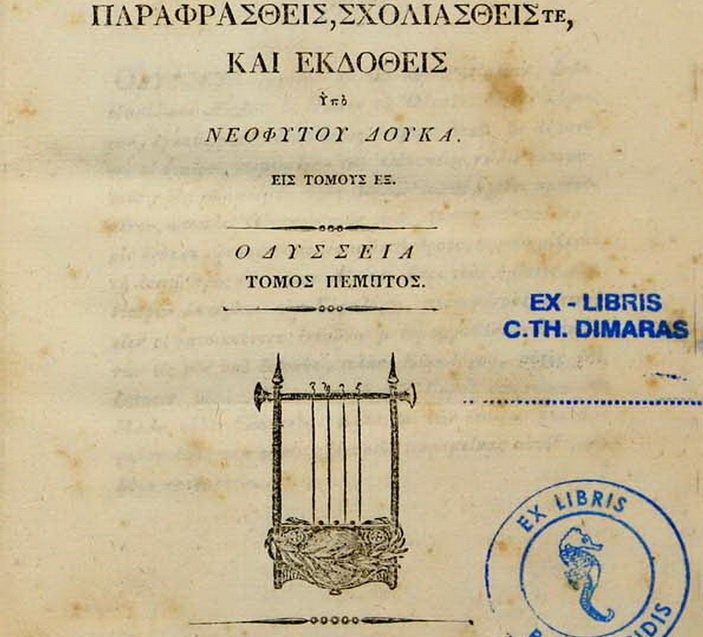 Έκθεση βιβλίων με τις μεταφράσεις της «Οδύσσειας» στις 24 επίσημες γλώσσες της Ευρωπαϊκής Ένωσης σε συνδυασμό με 130 σπάνιες εκδόσεις του ίδιου έργου από την πλούσια Ιστορική βιβλιοθήκη του Ιδρύματος. 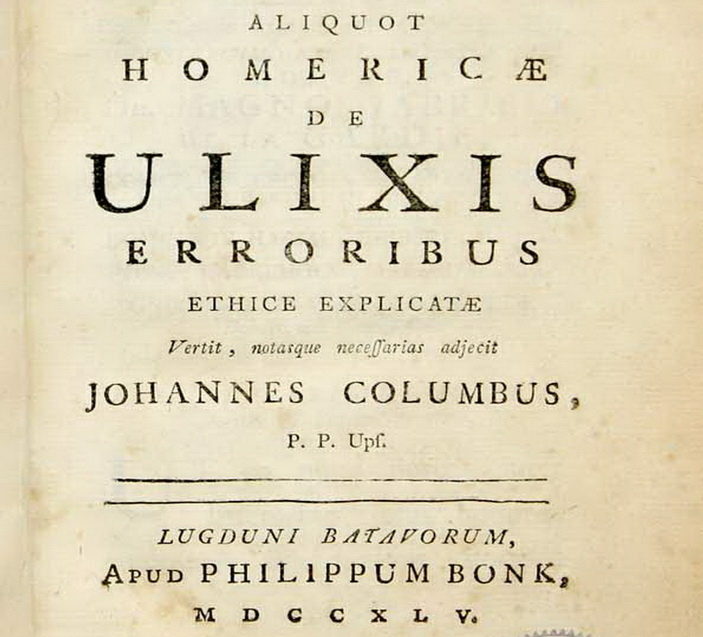 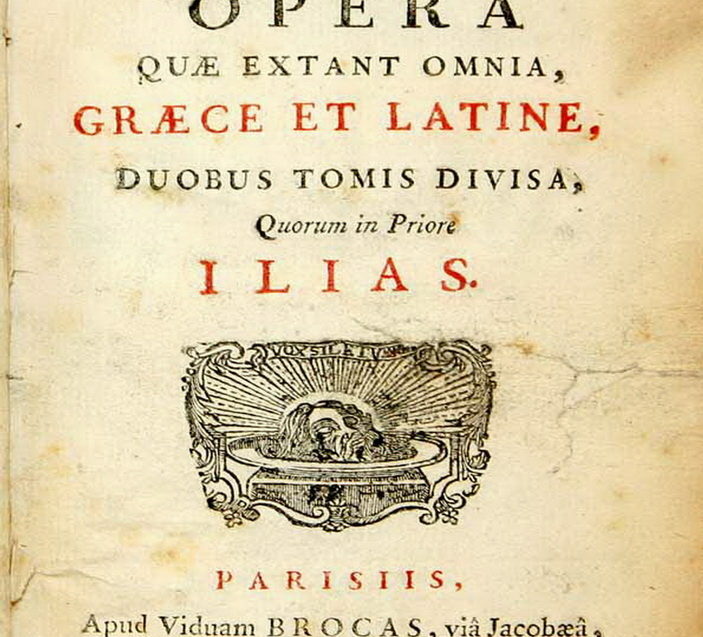 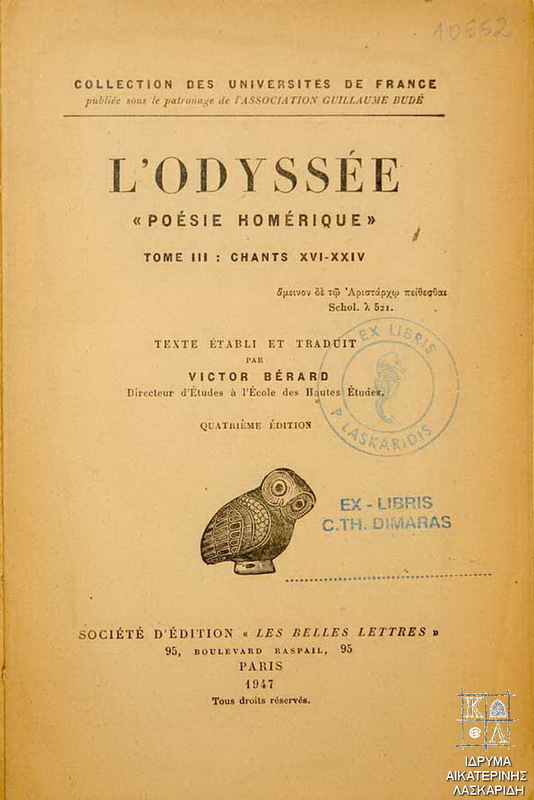 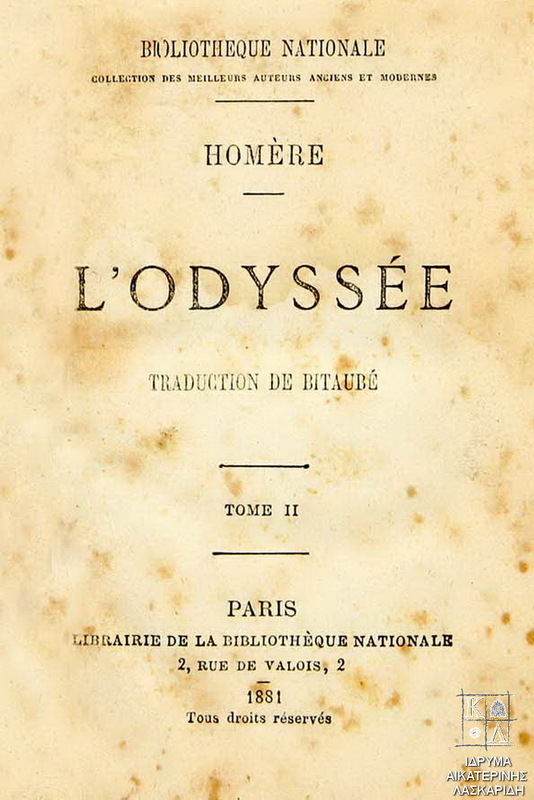 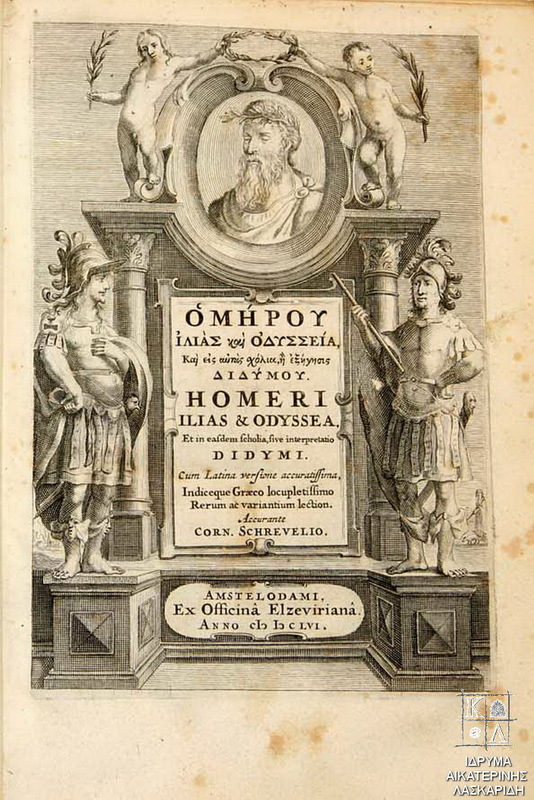 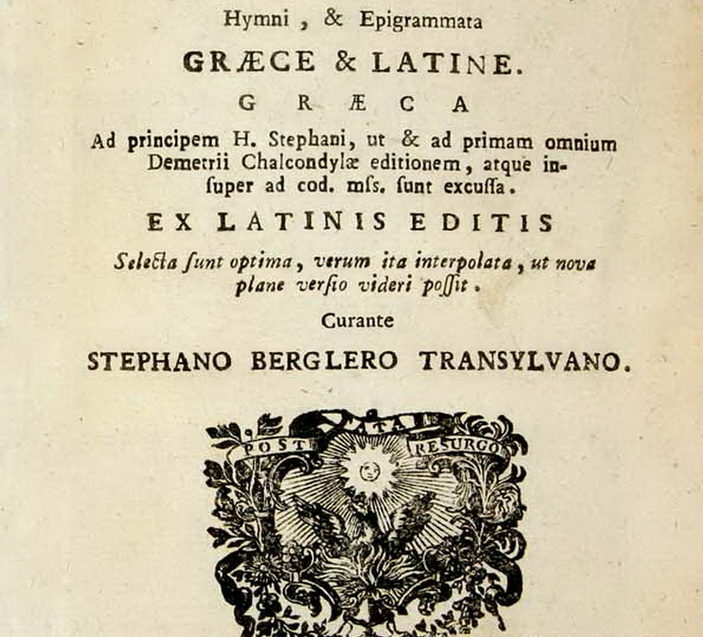 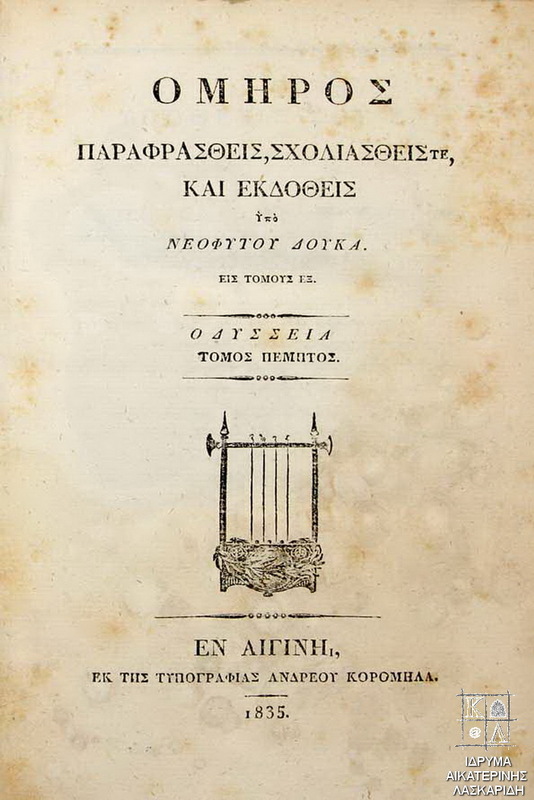 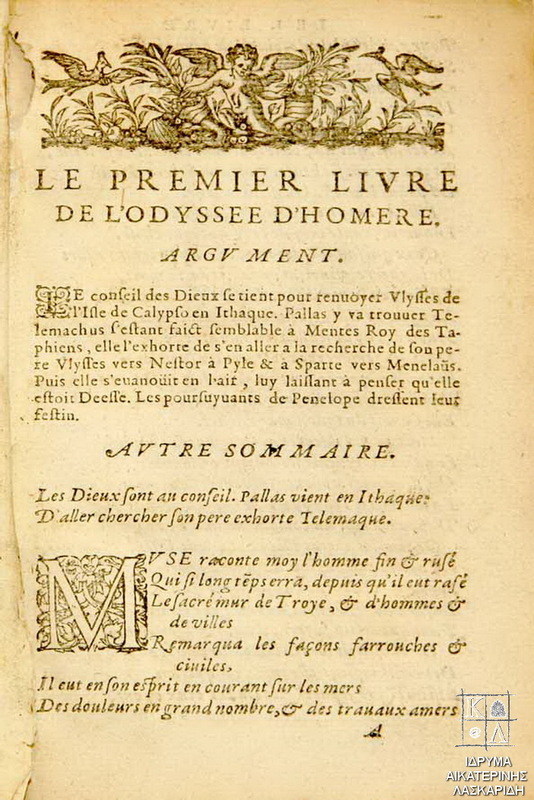 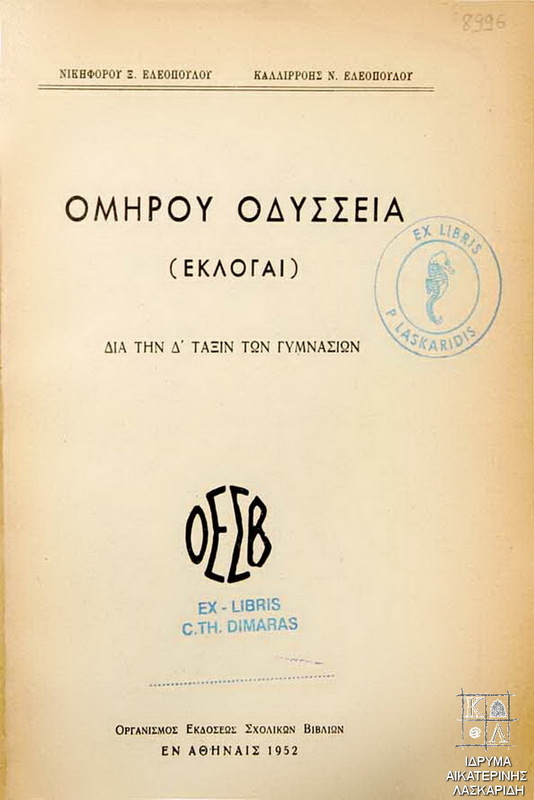 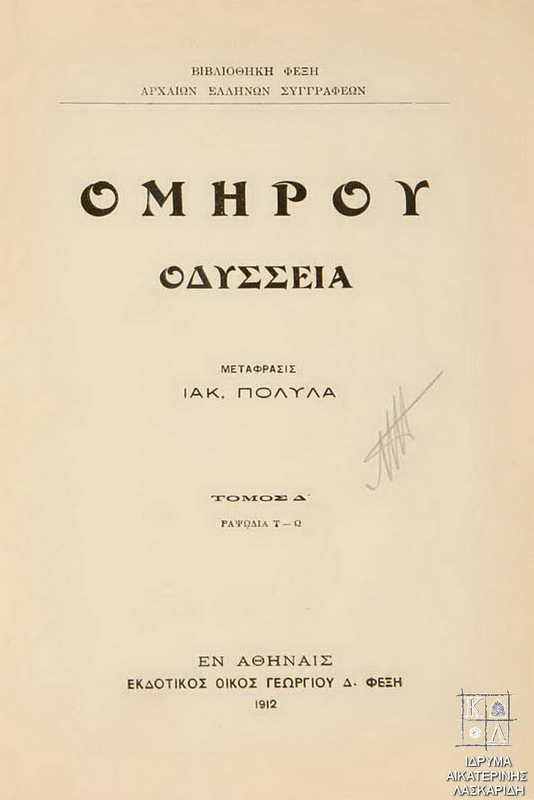 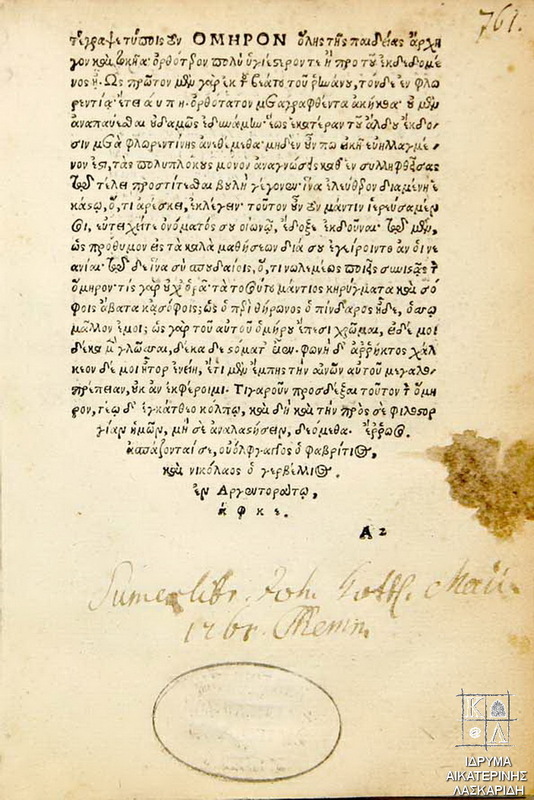 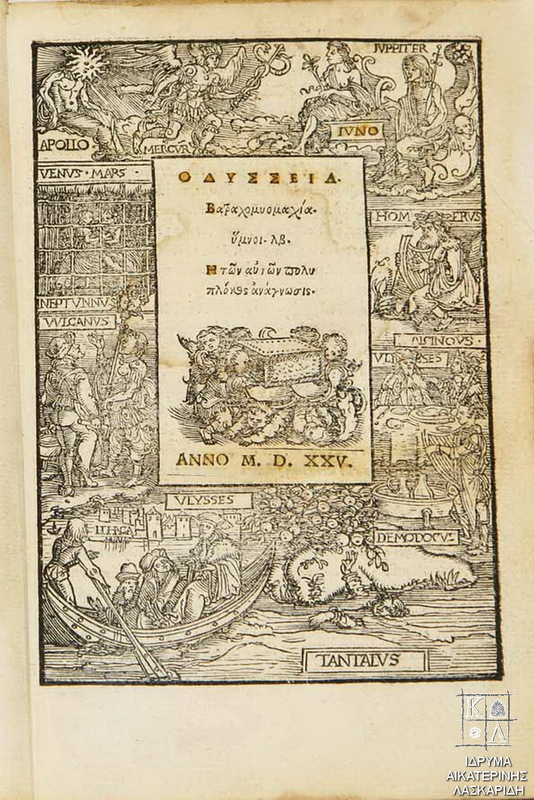 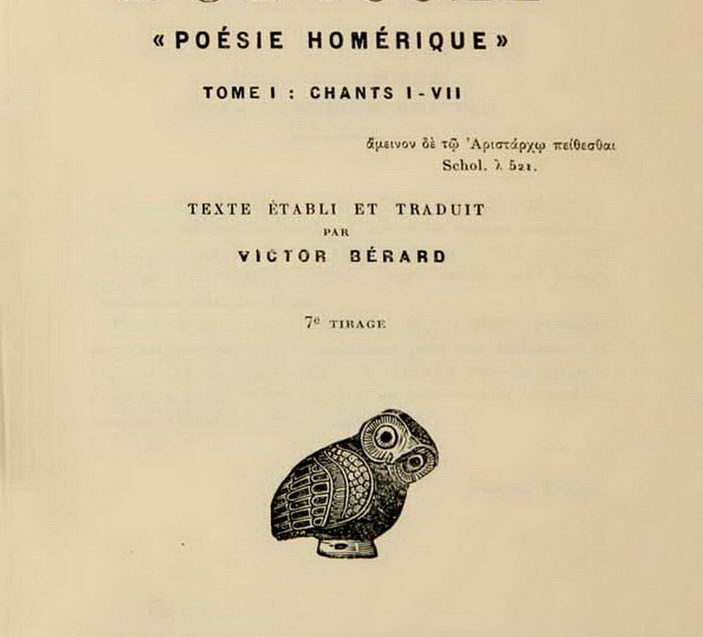 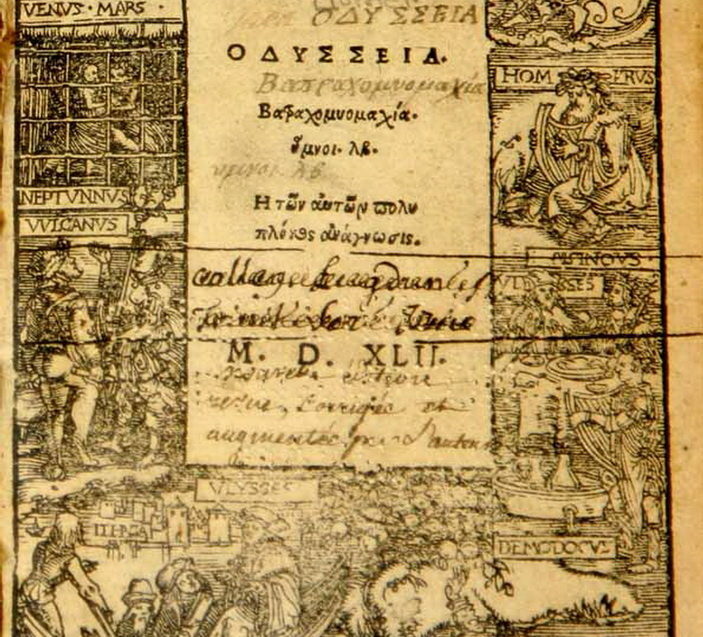 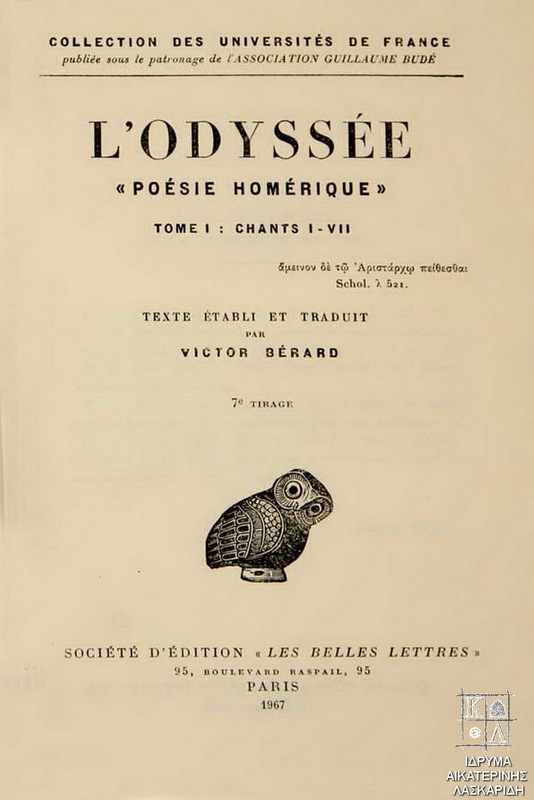 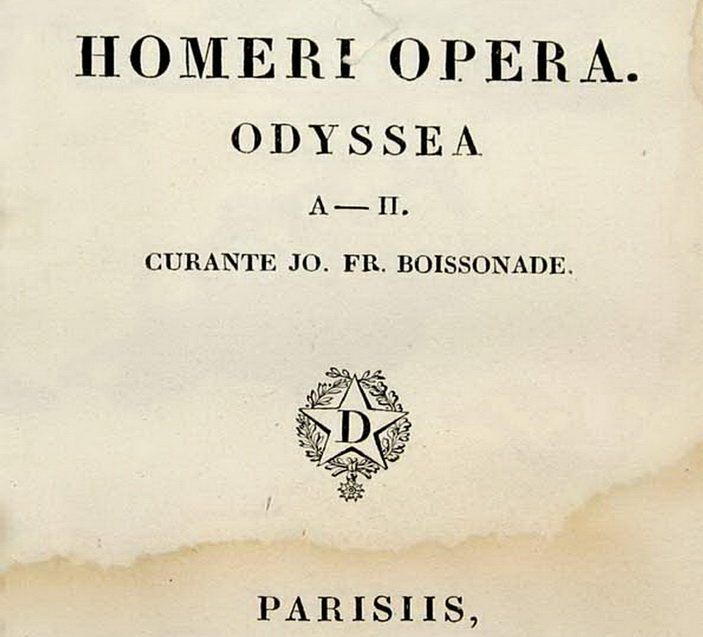 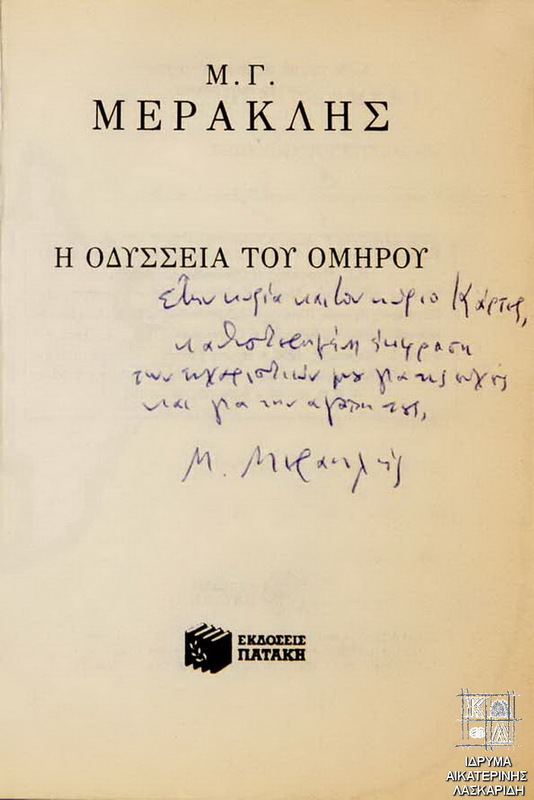 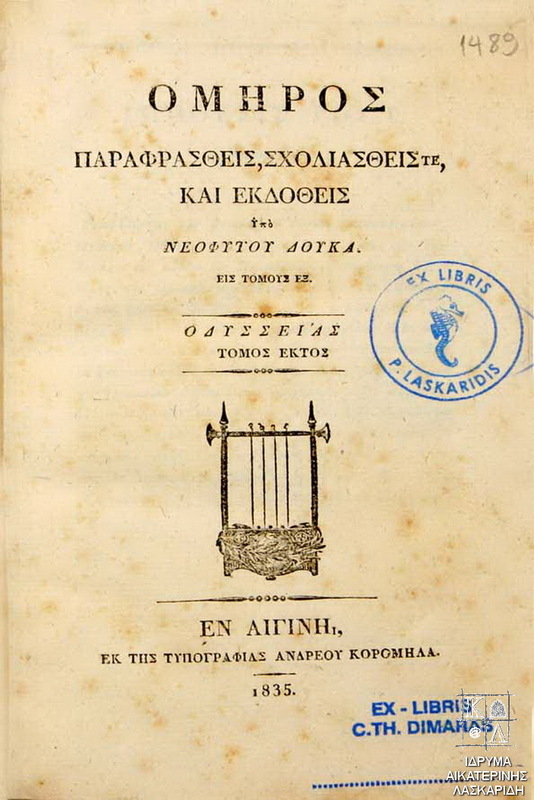 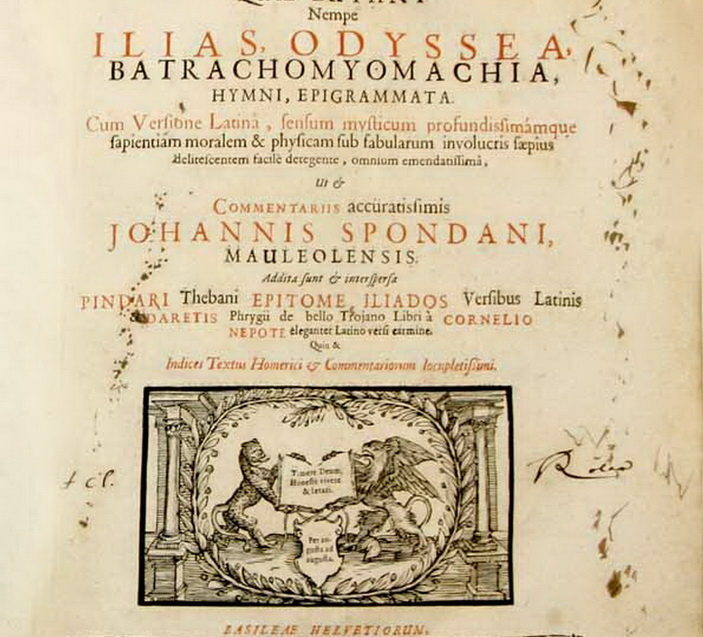 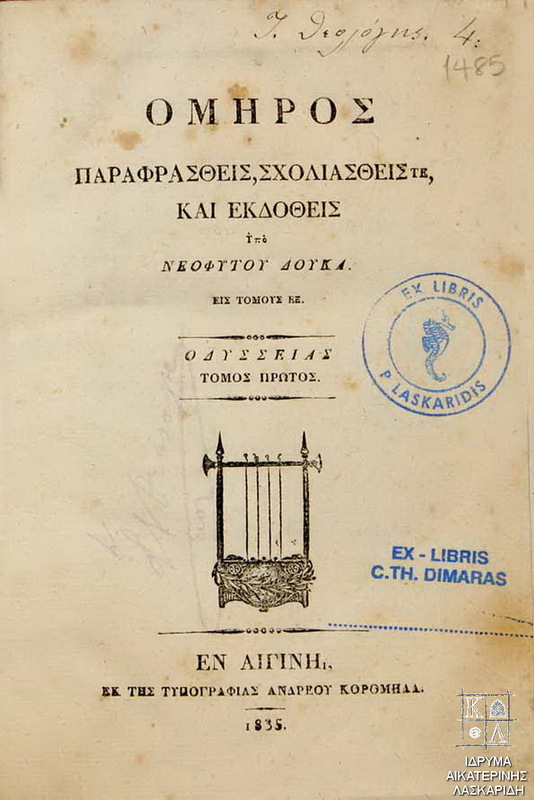 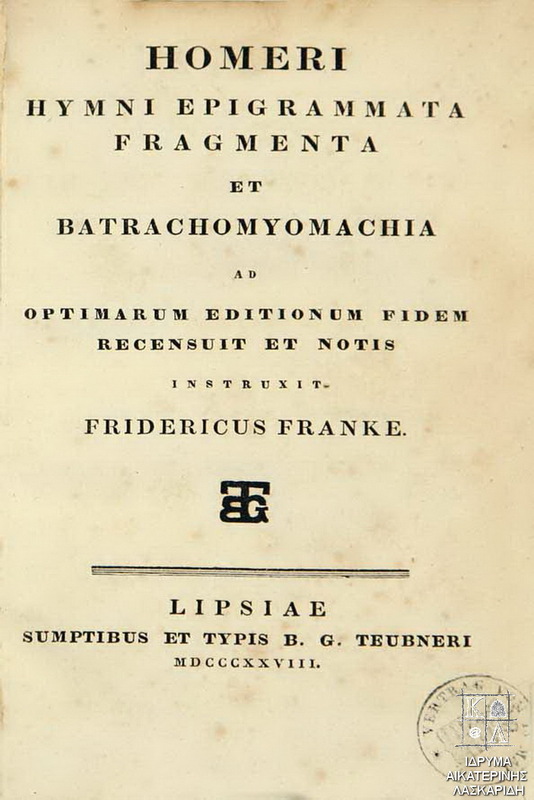 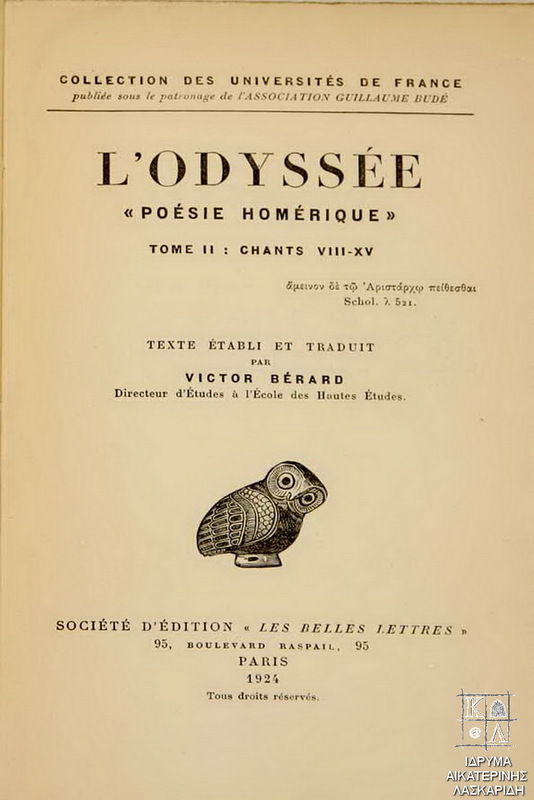 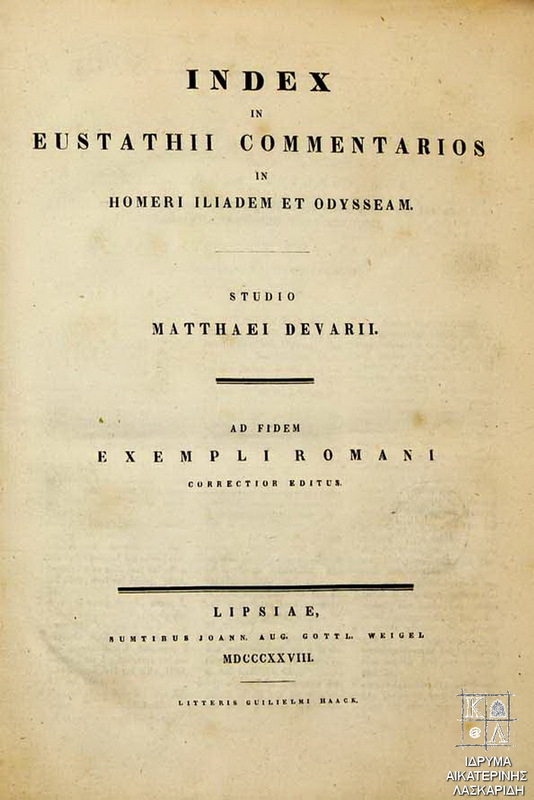 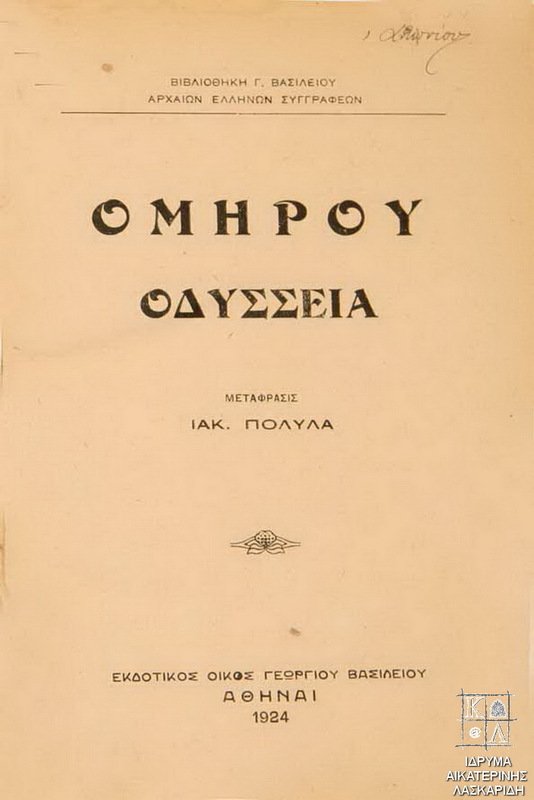 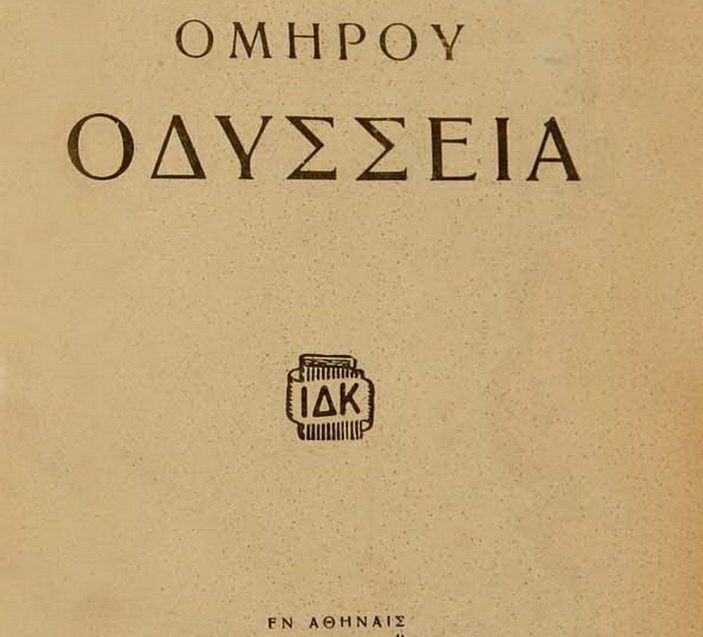 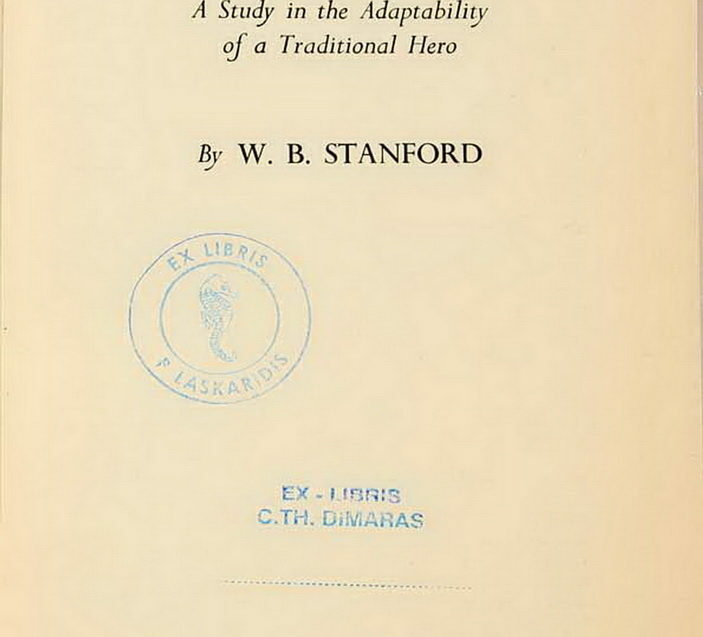 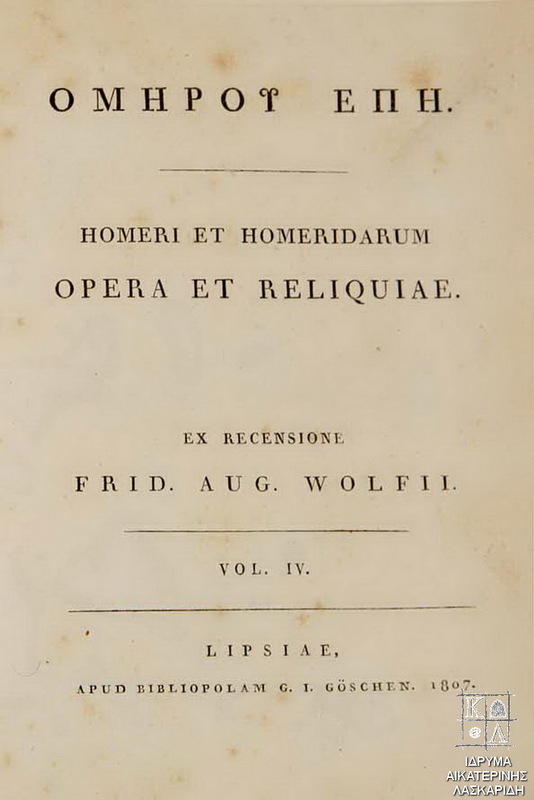 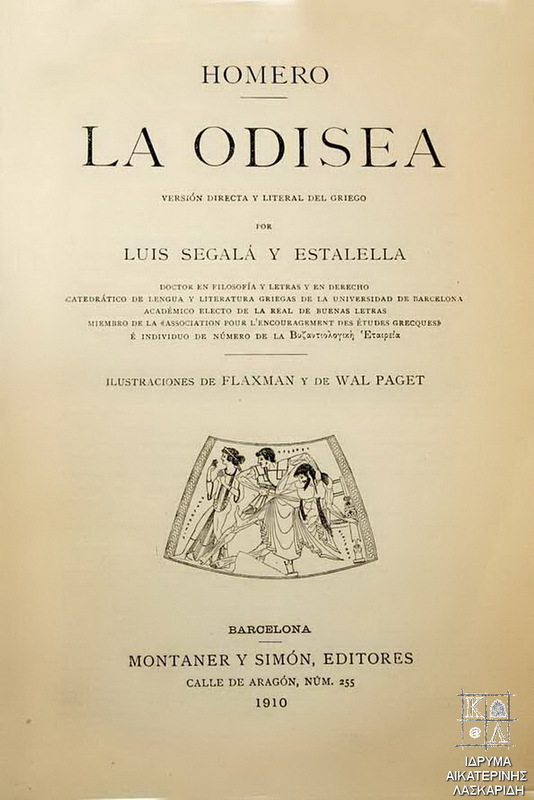 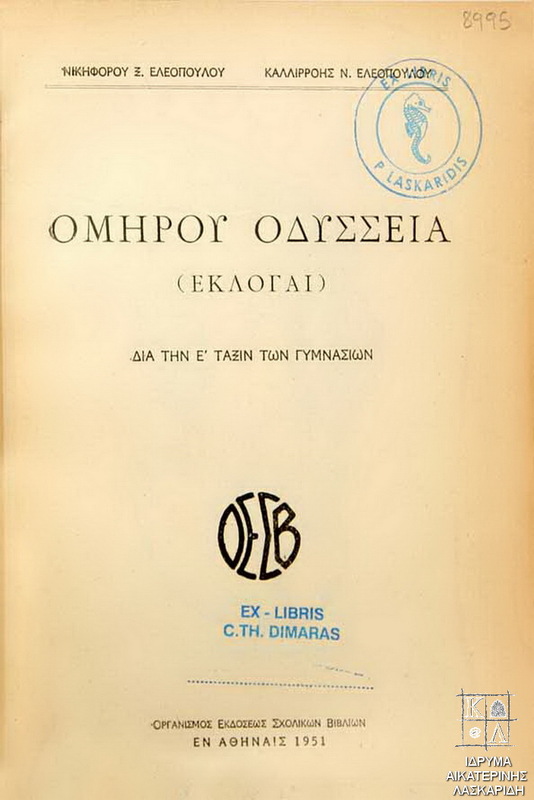 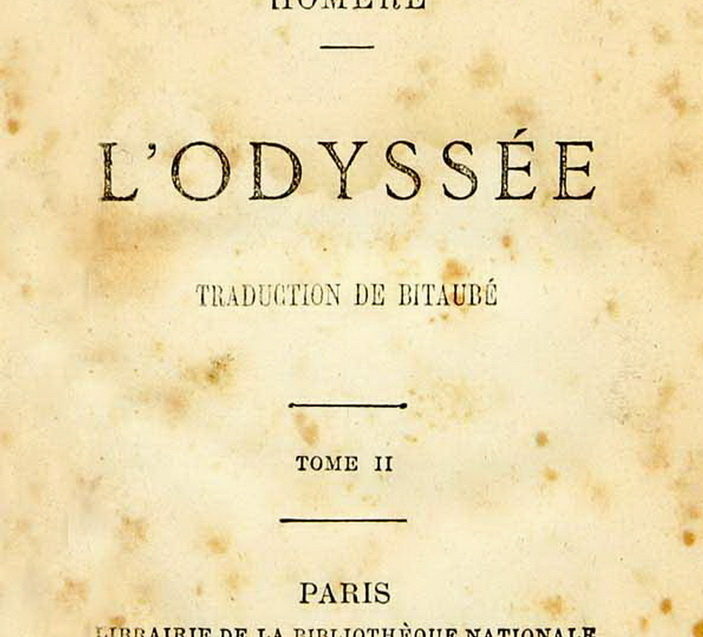 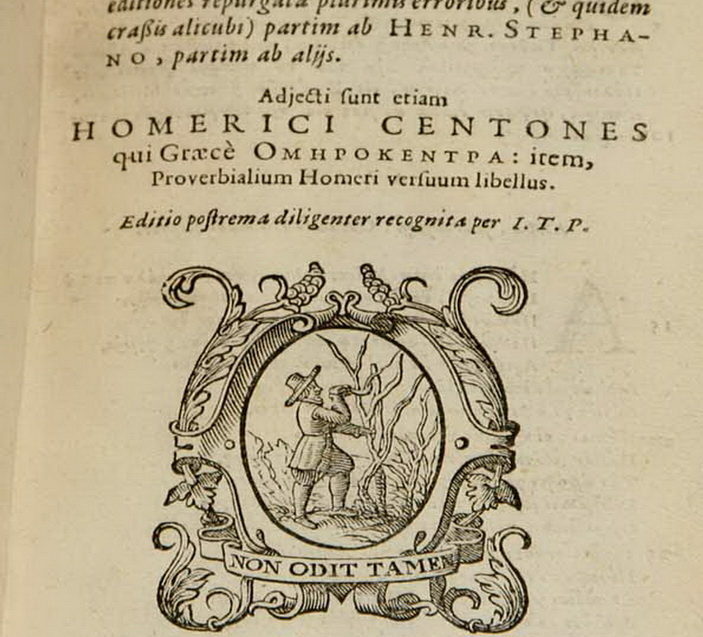 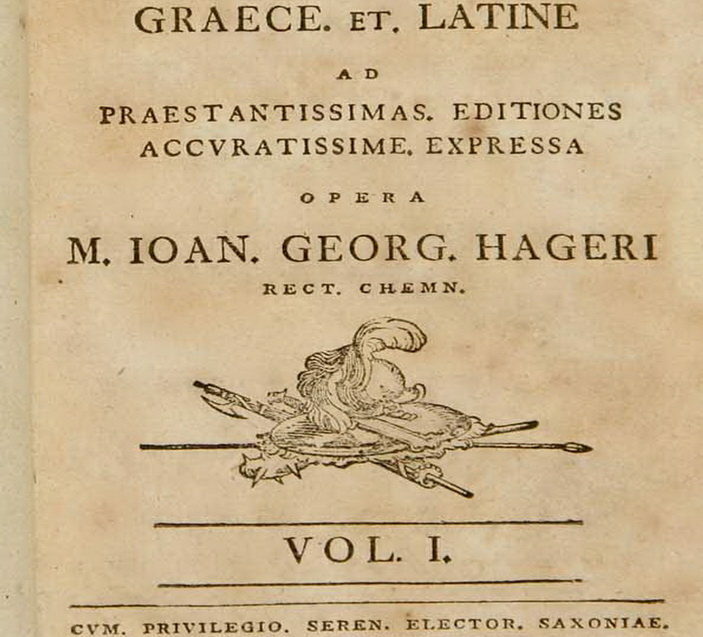 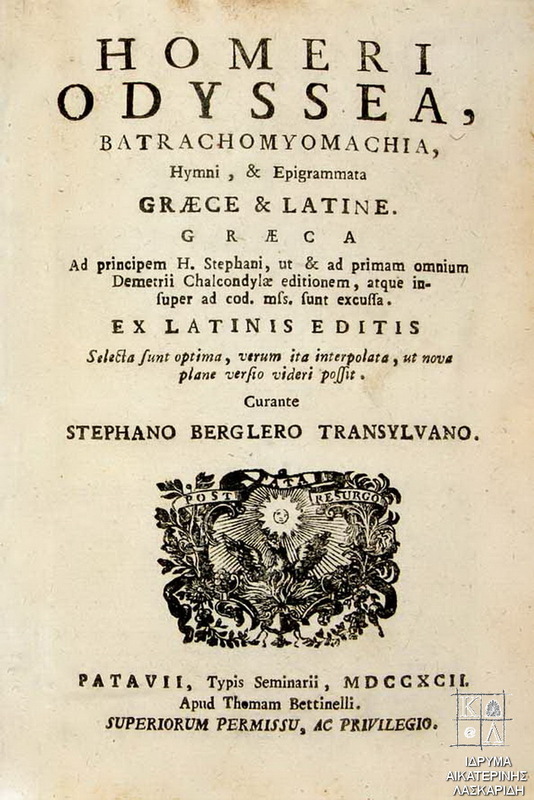 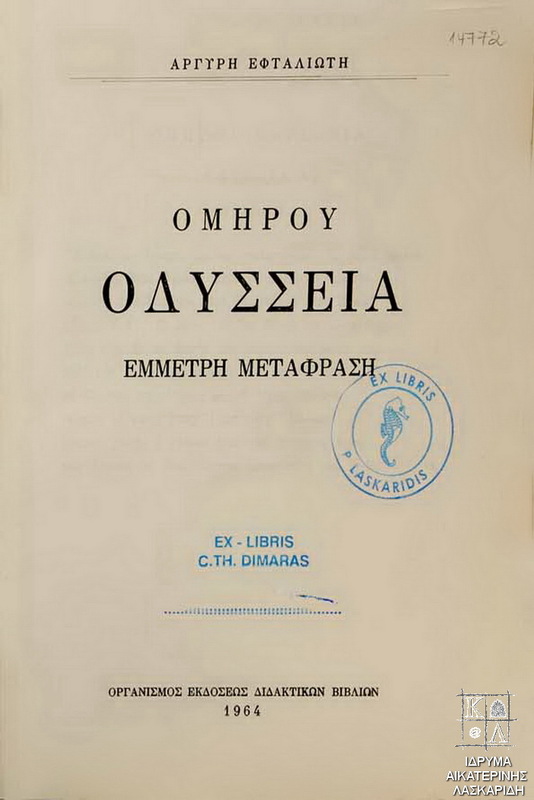 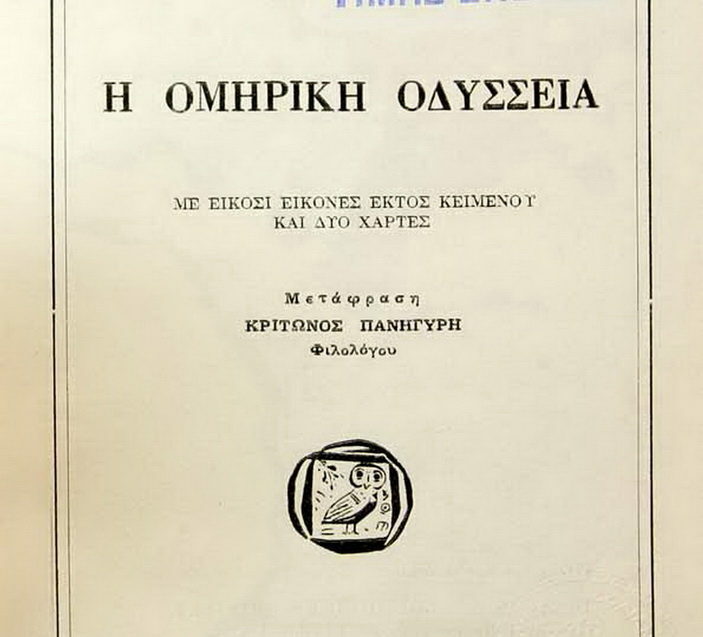 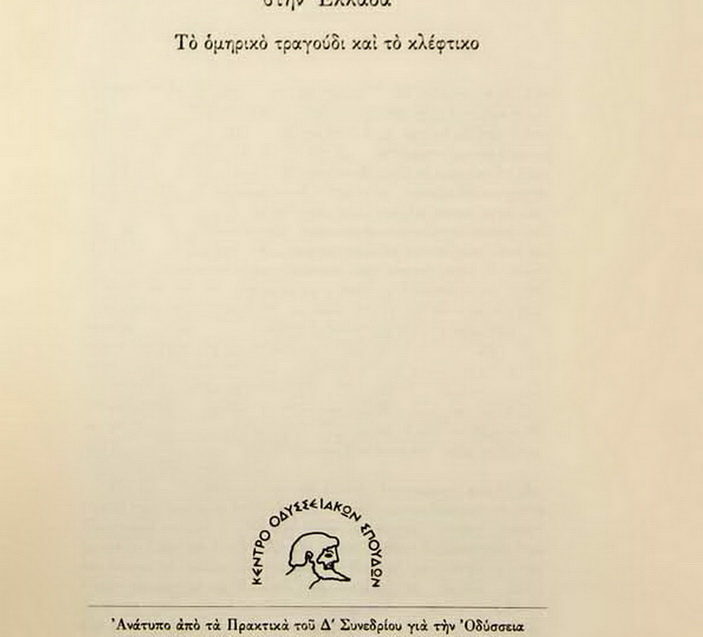 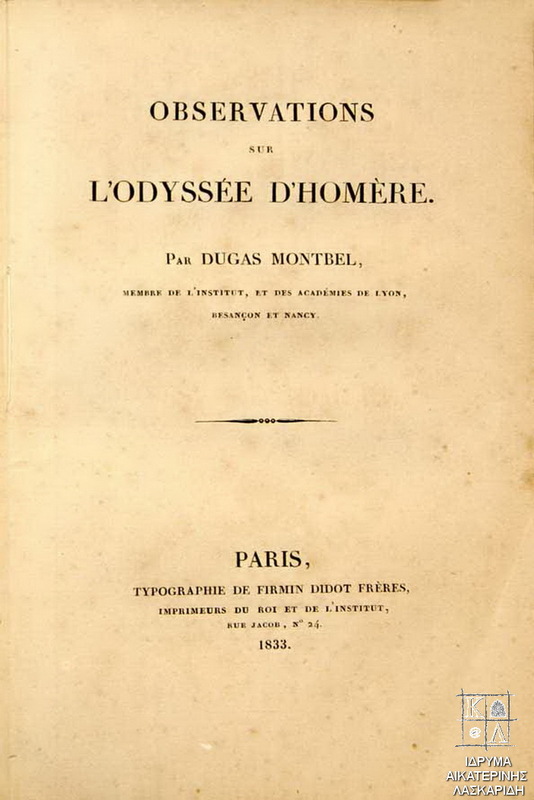 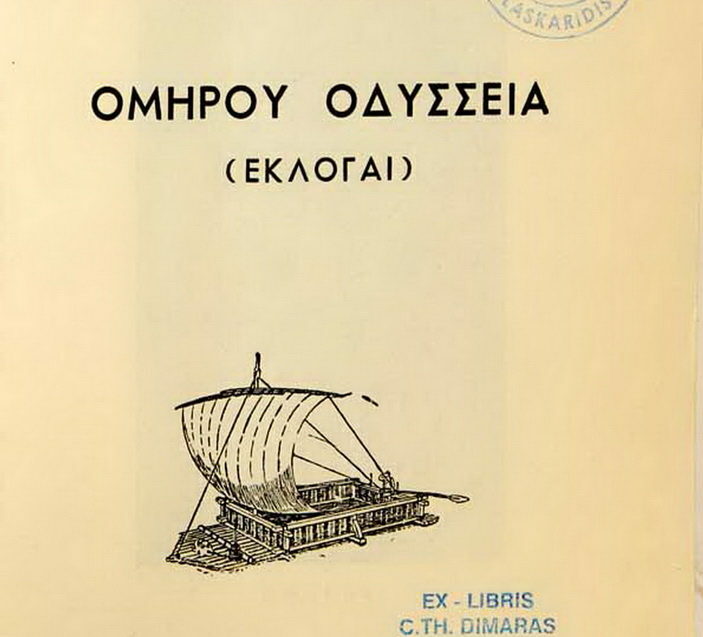 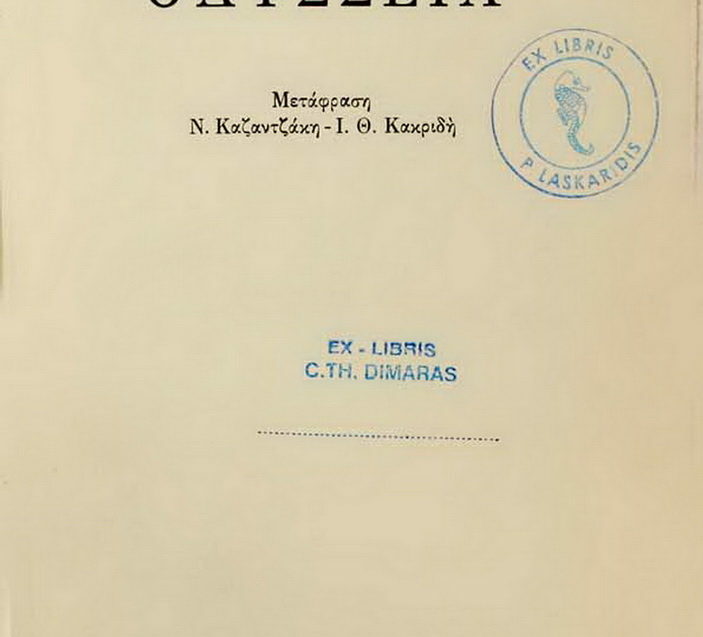 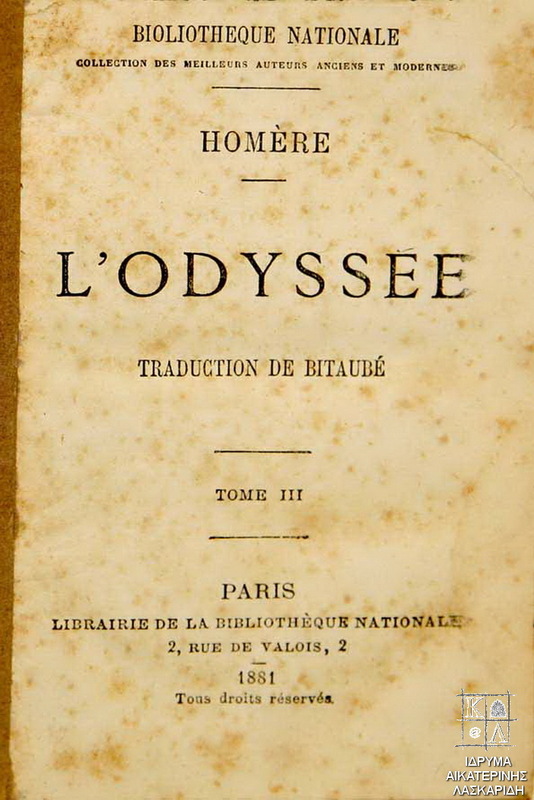 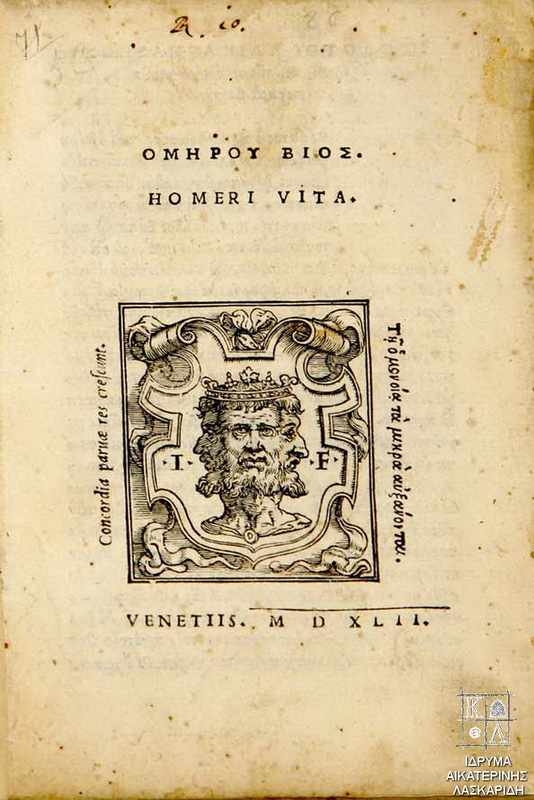 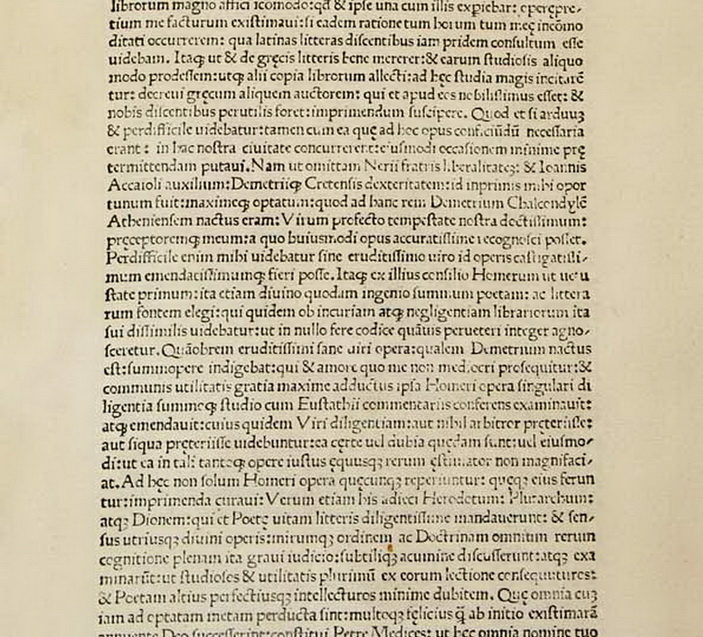 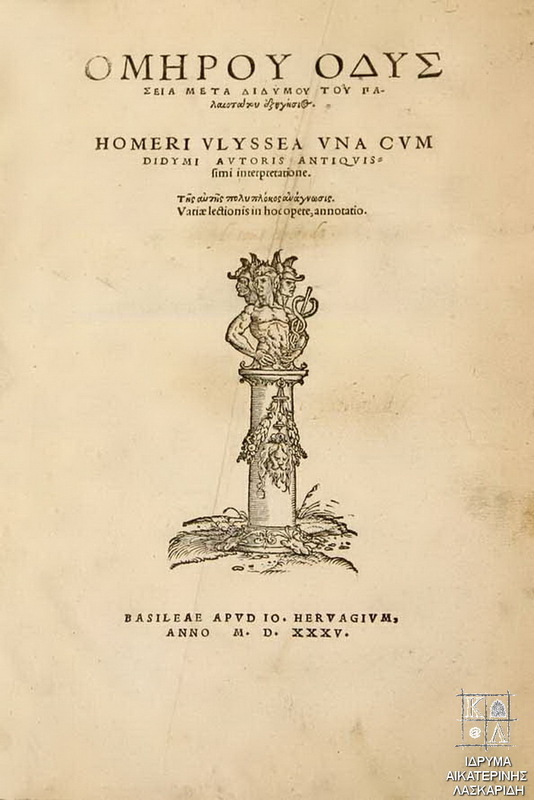 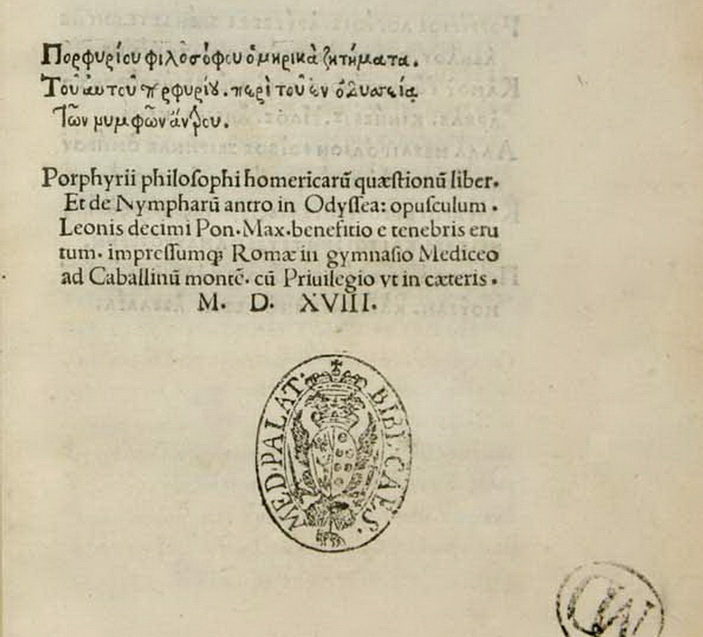 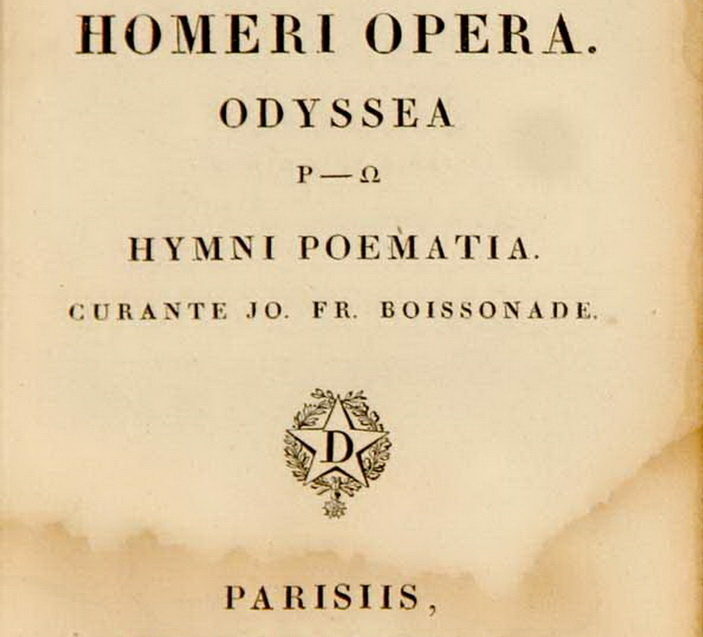 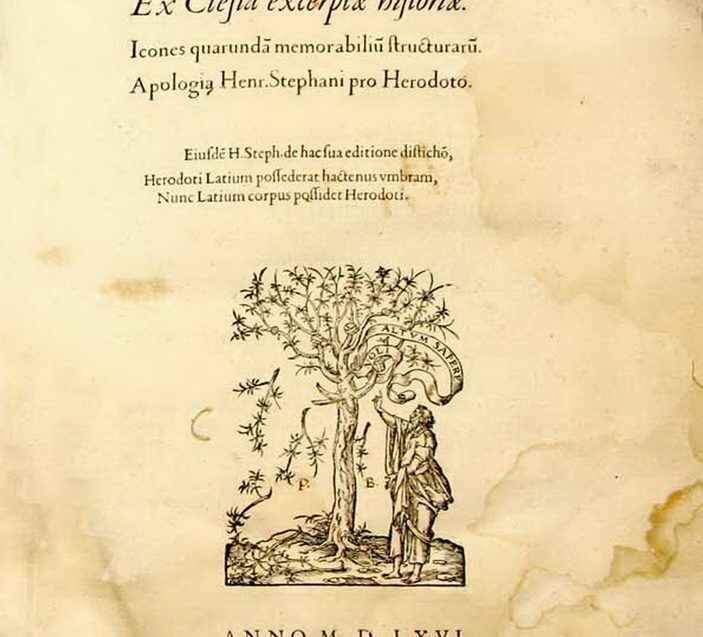 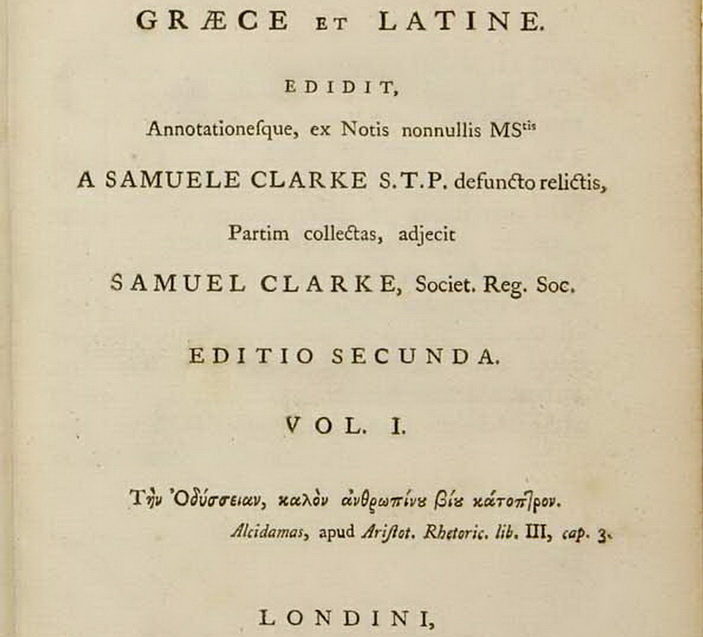 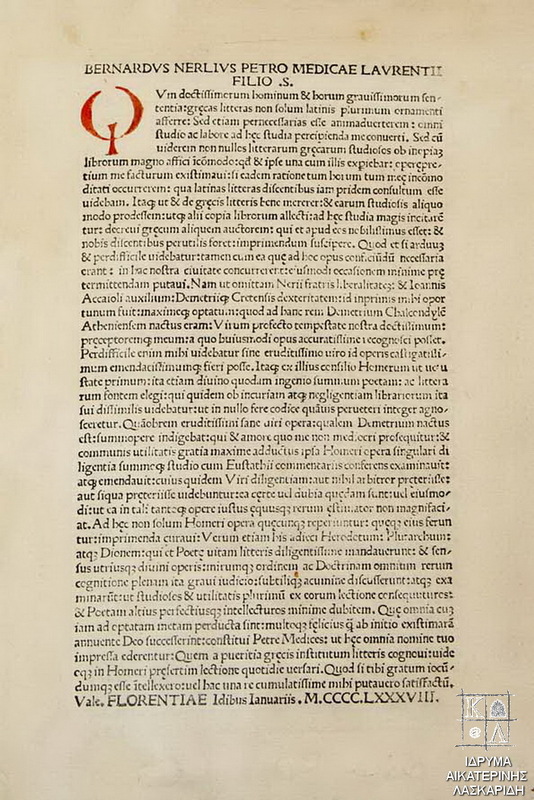 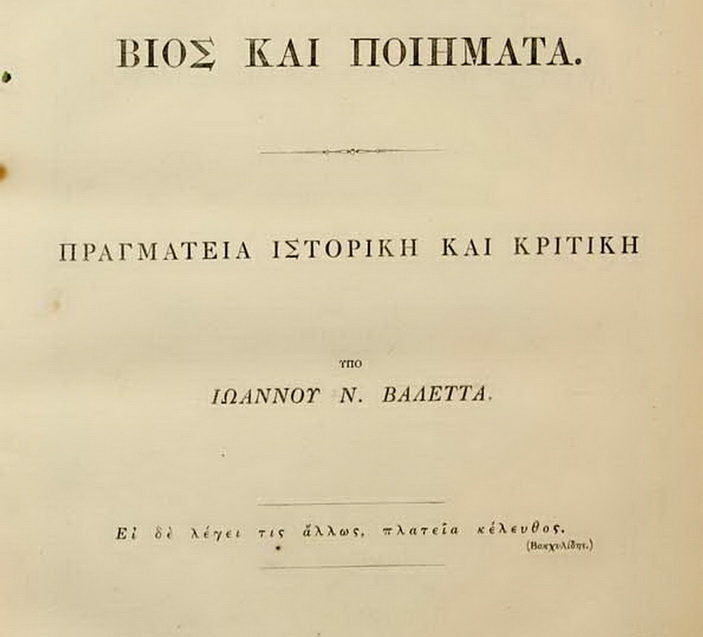 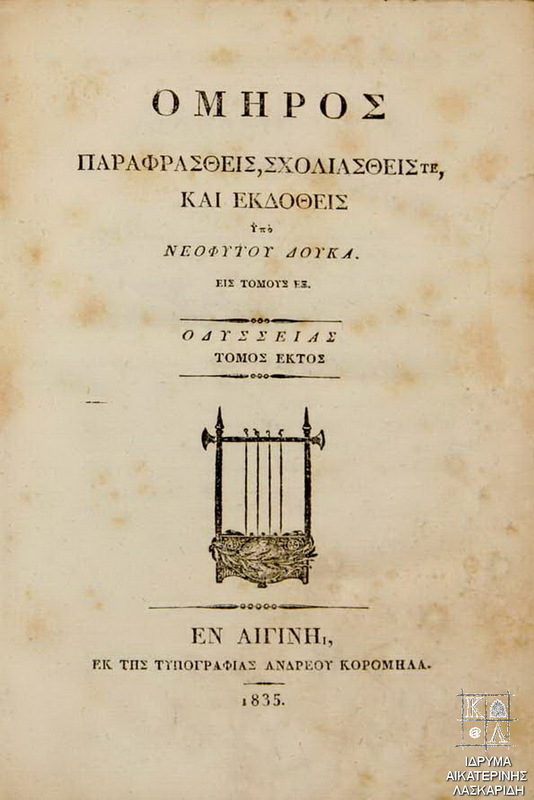 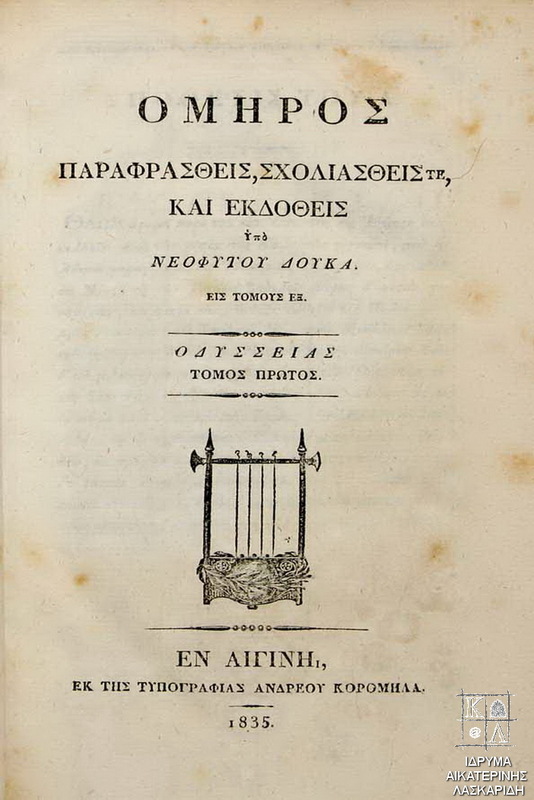 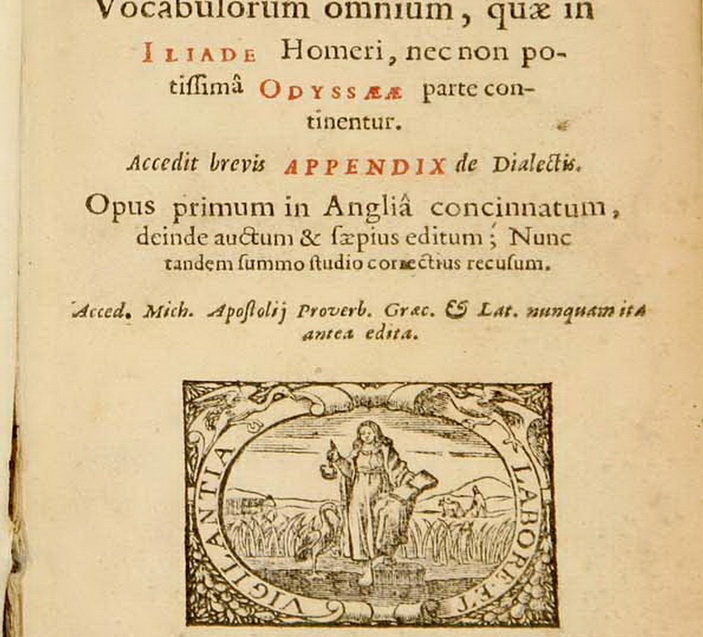 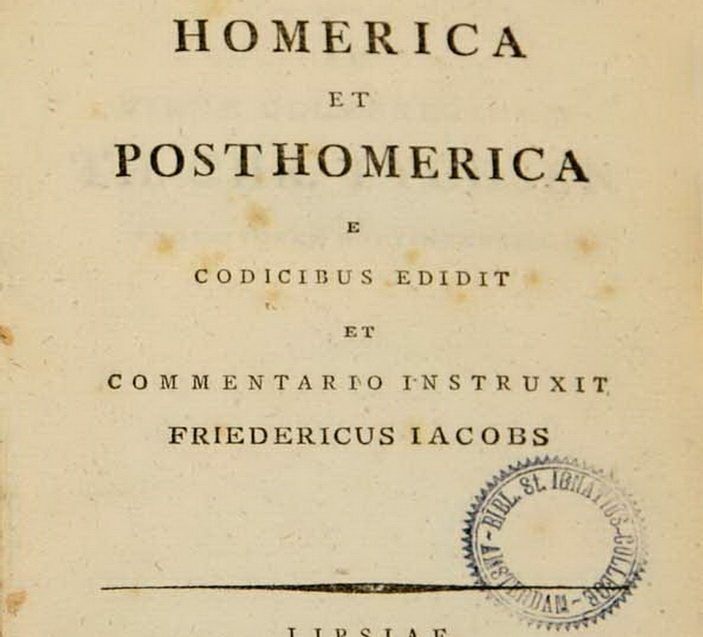 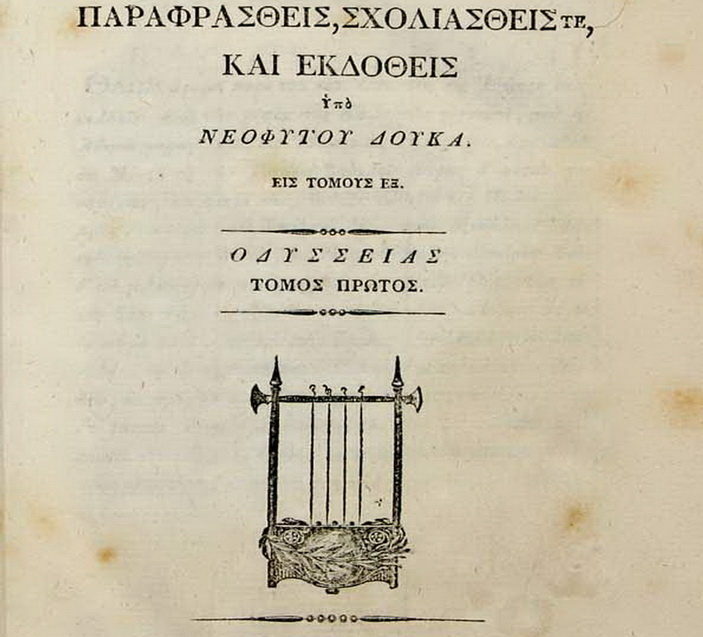 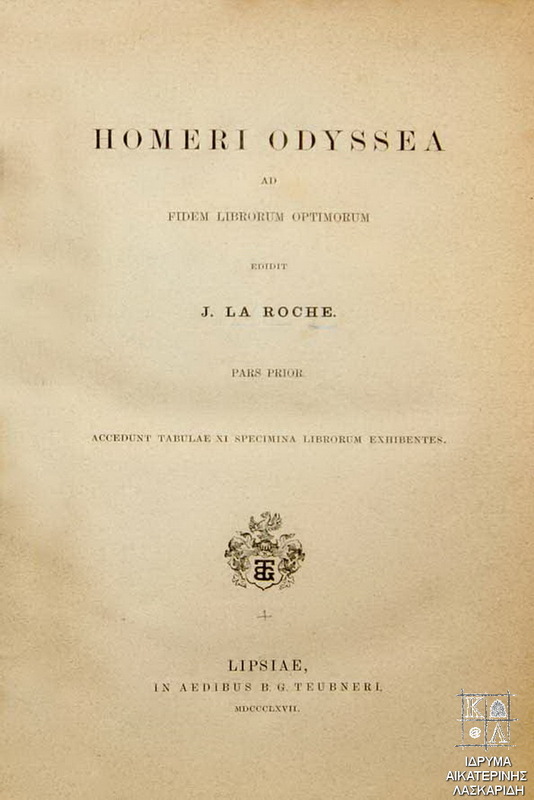 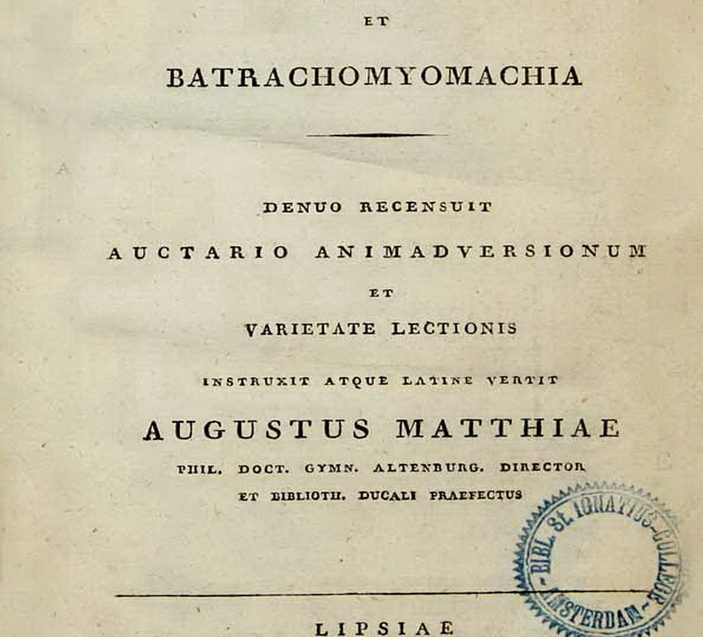 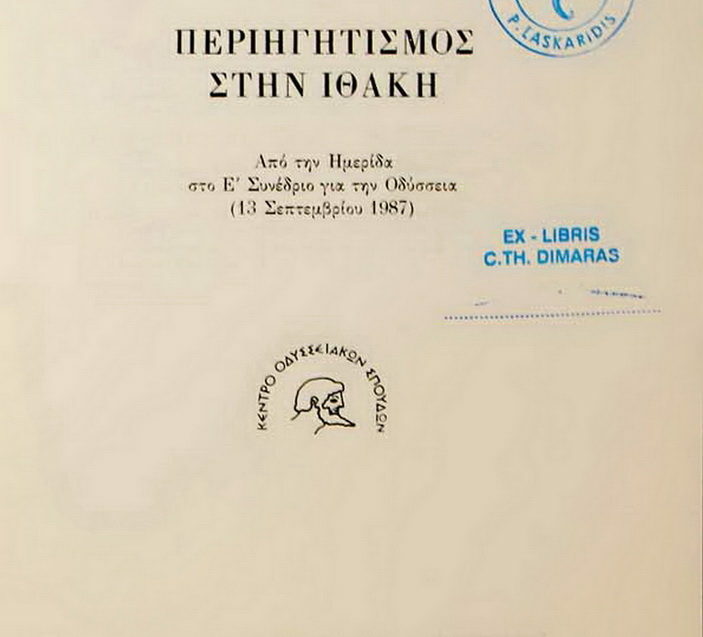 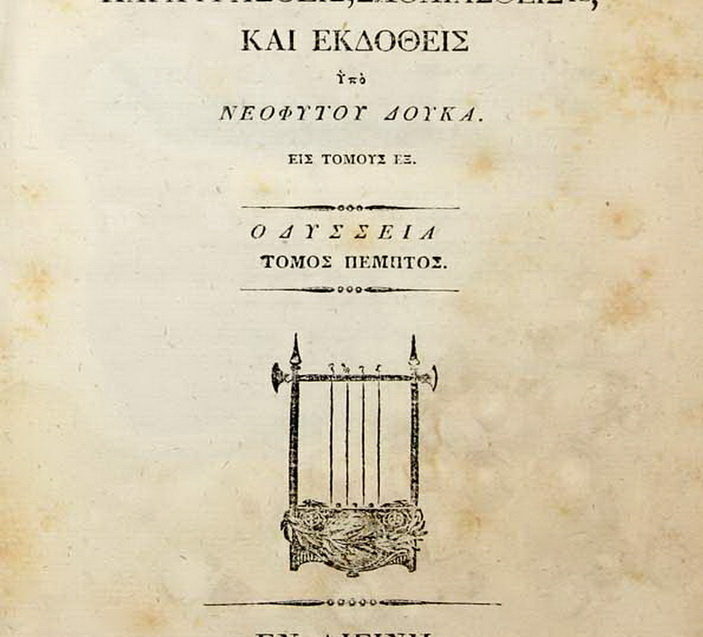 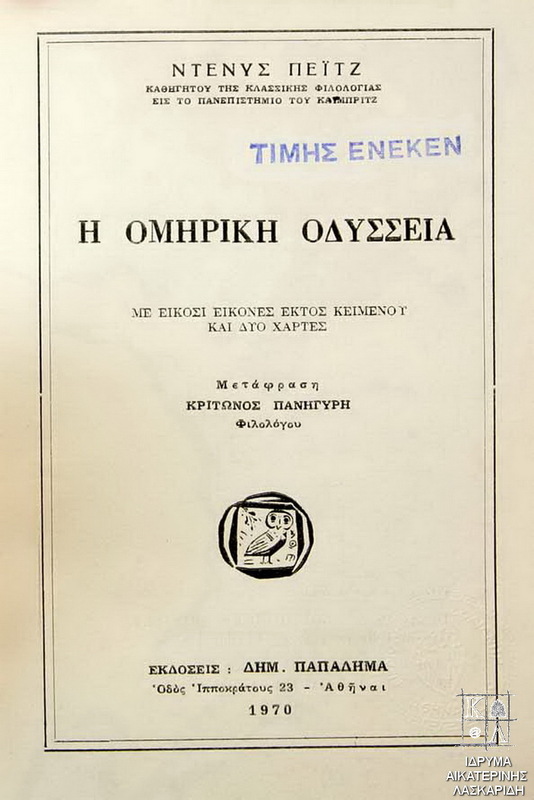 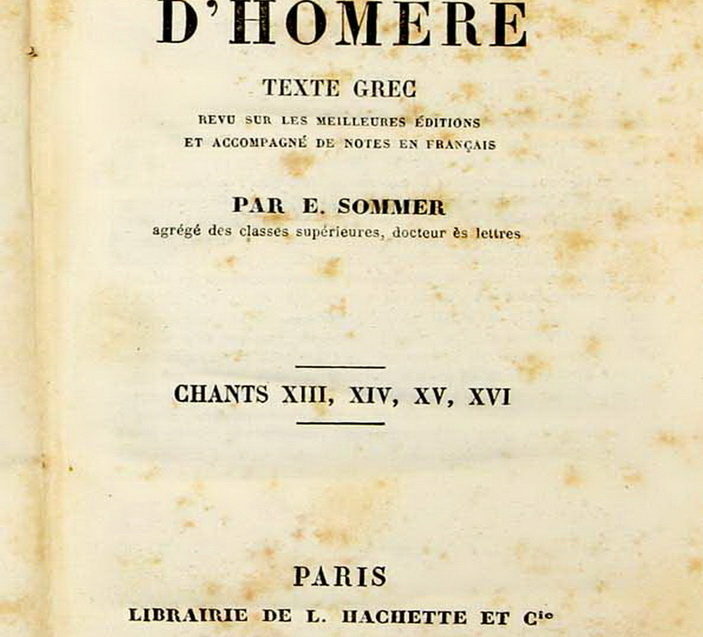 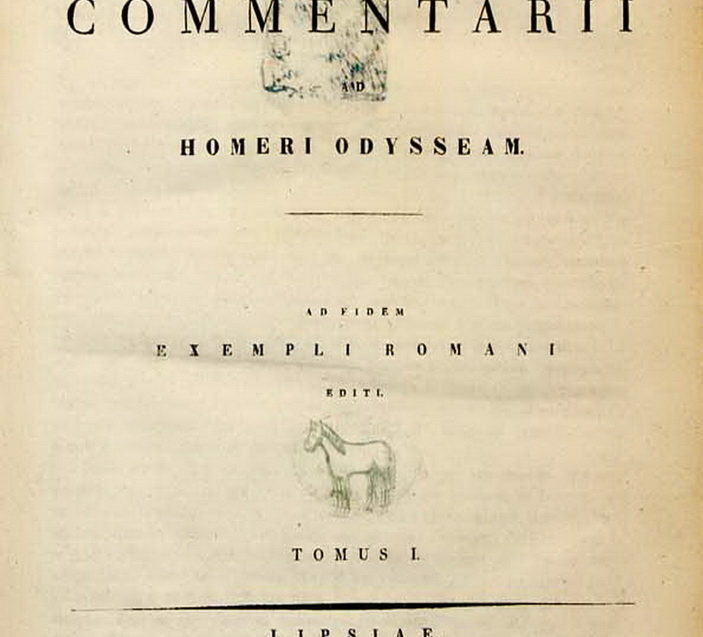 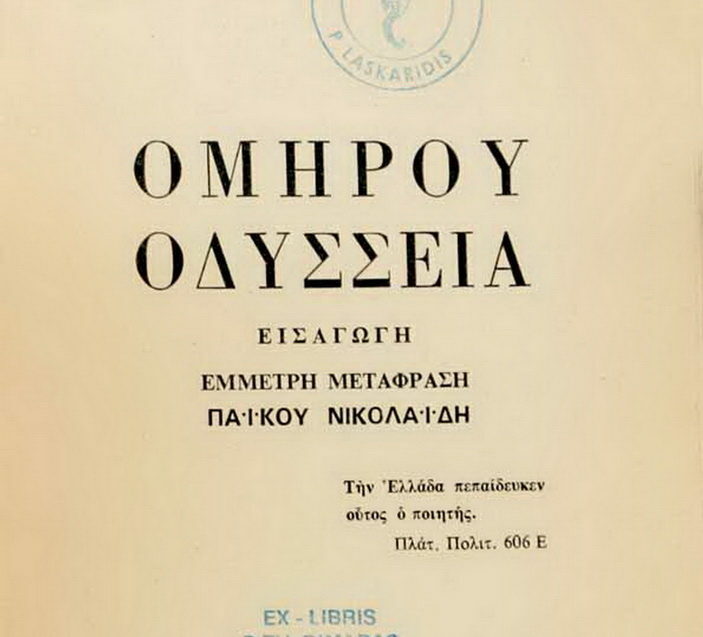 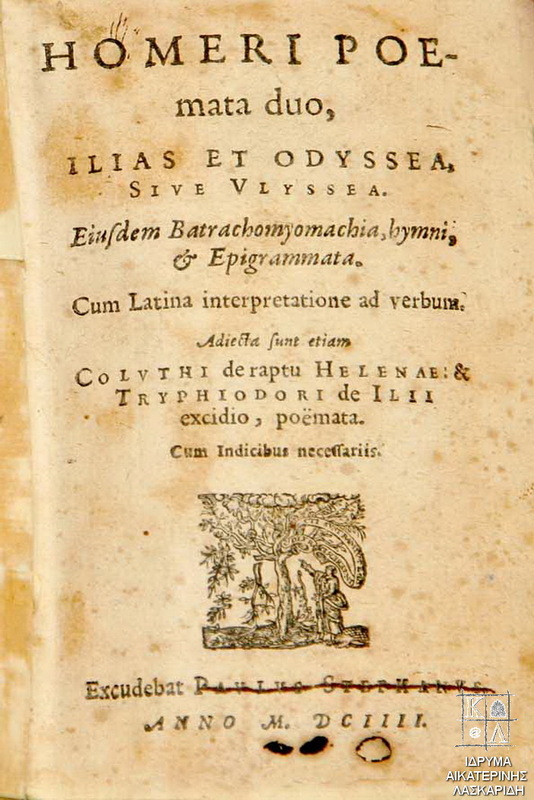 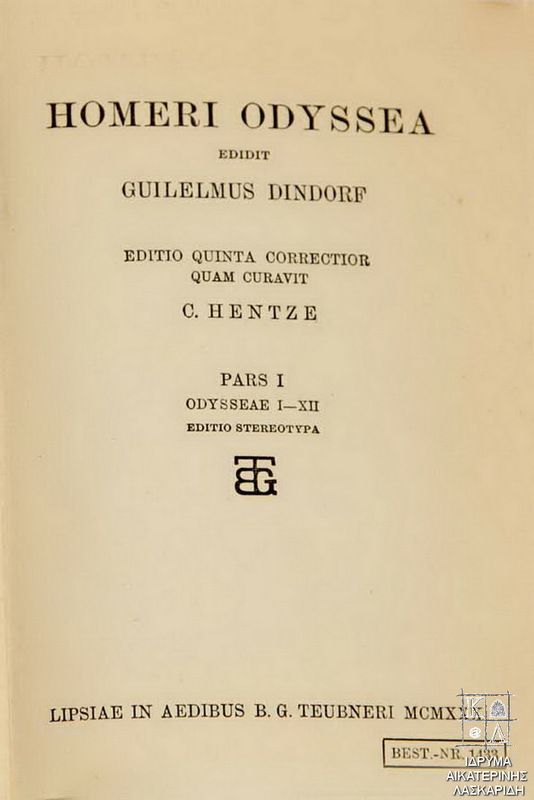 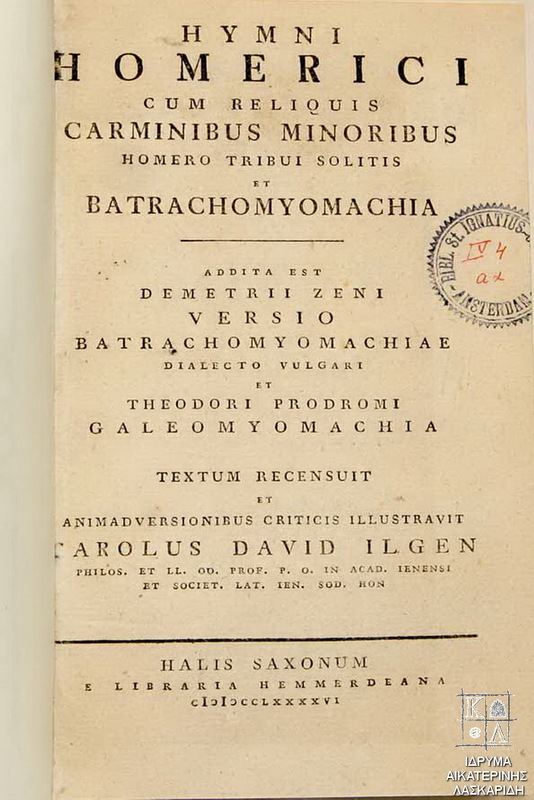 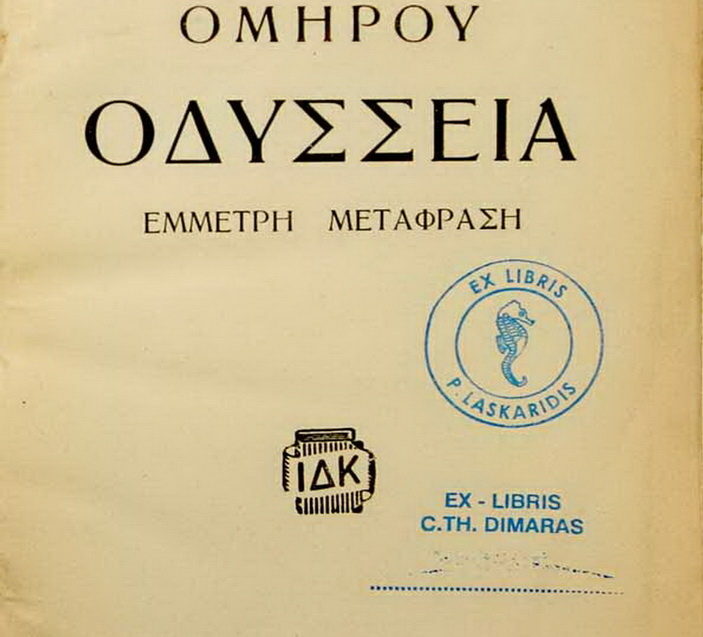 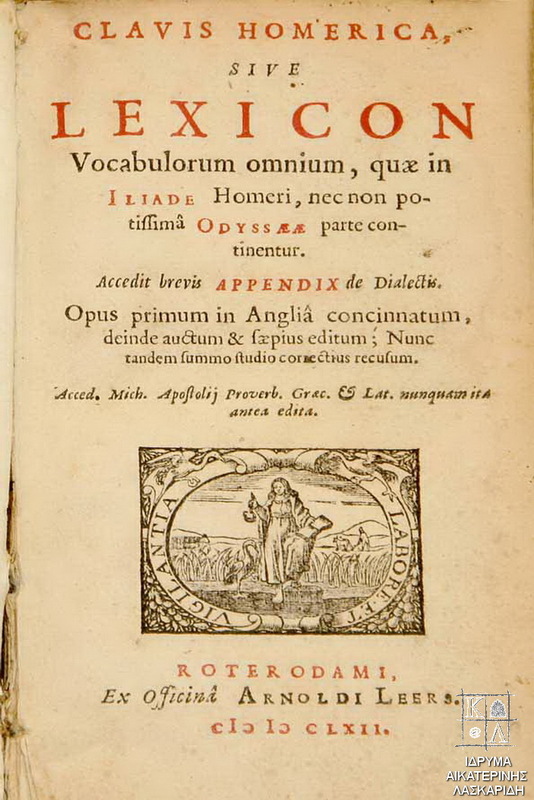 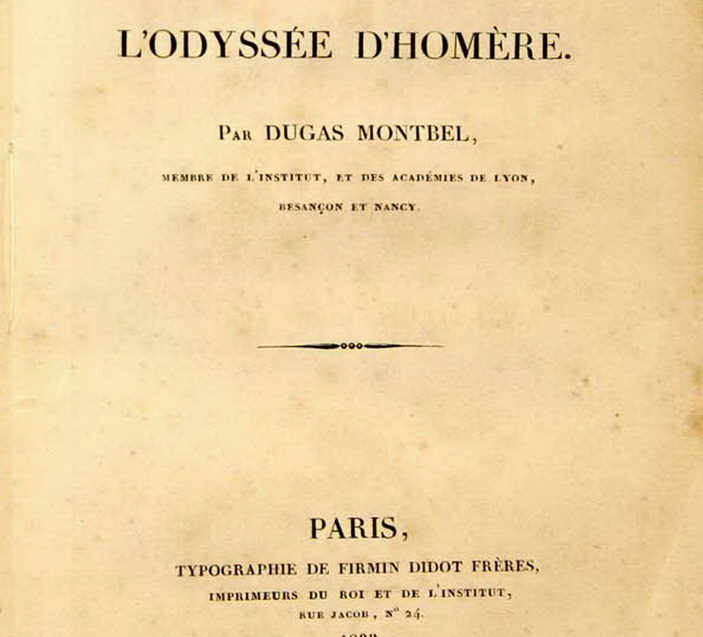 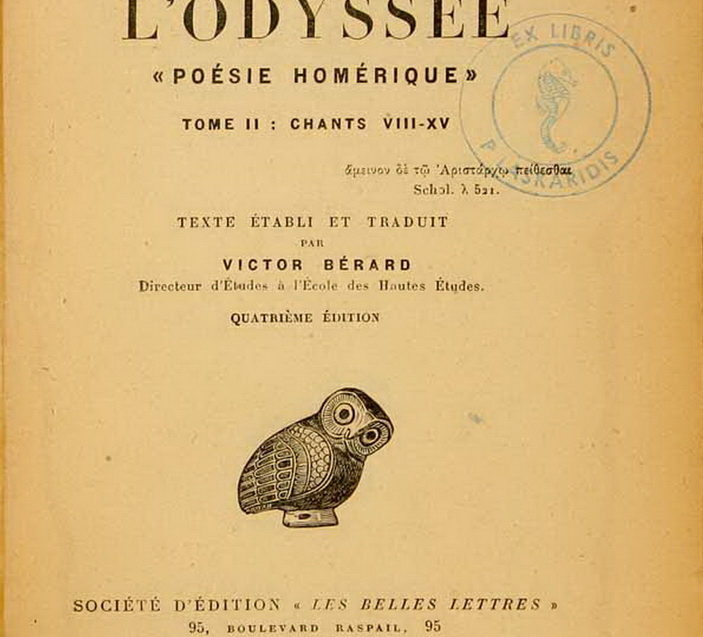 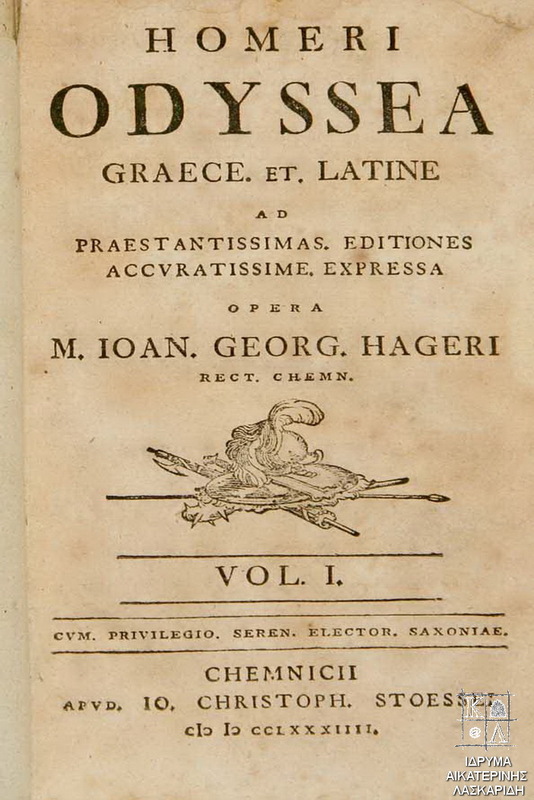 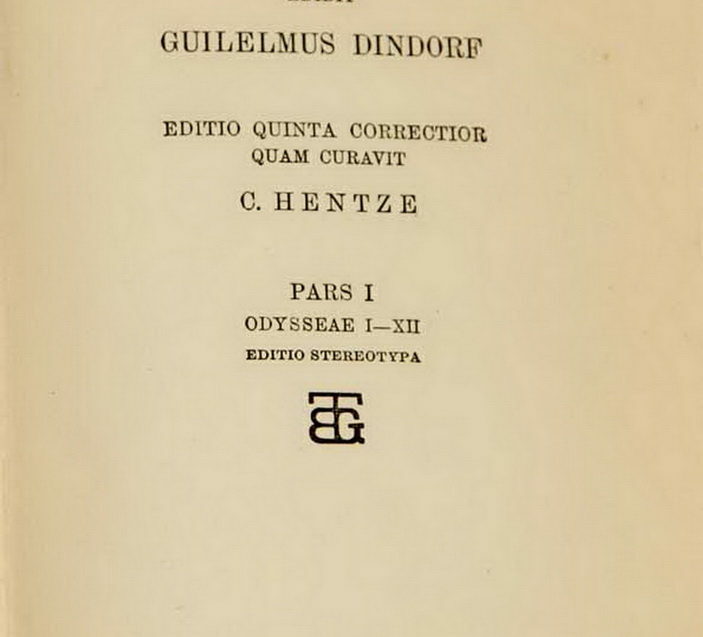 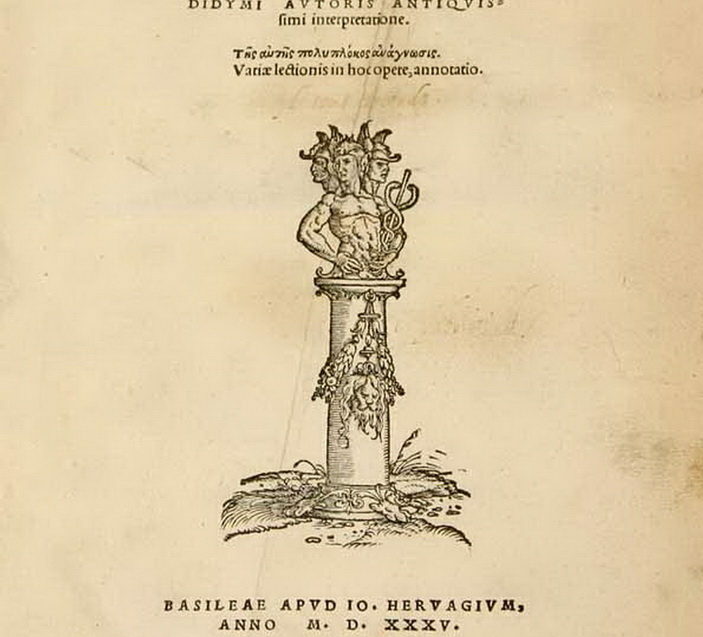 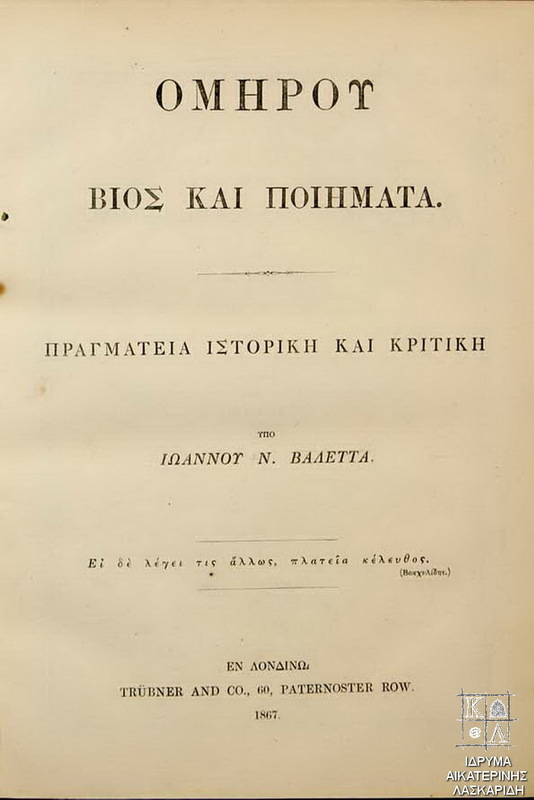 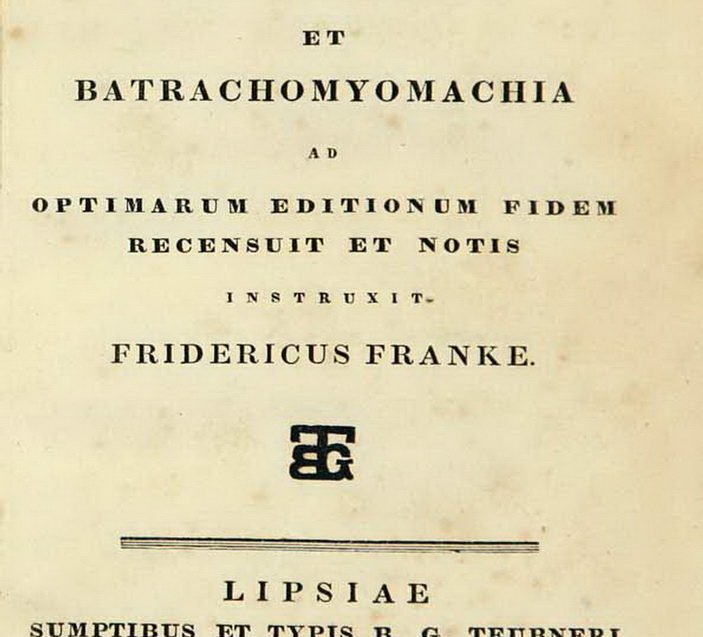 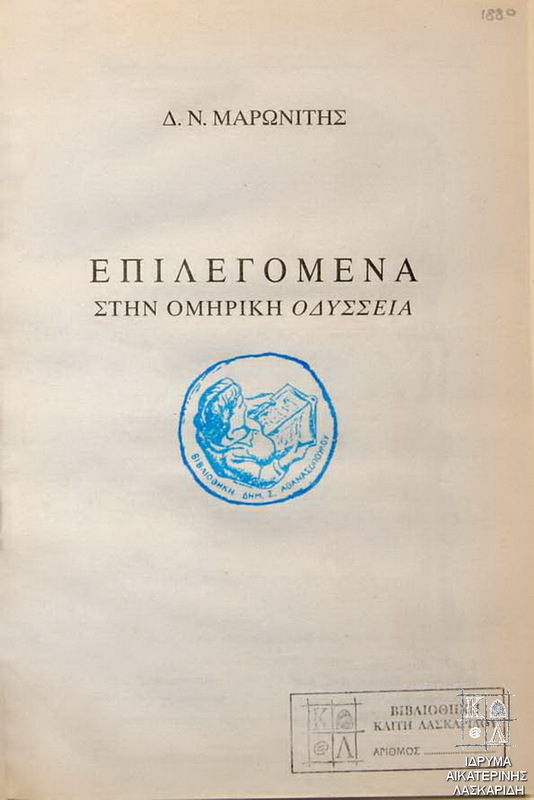 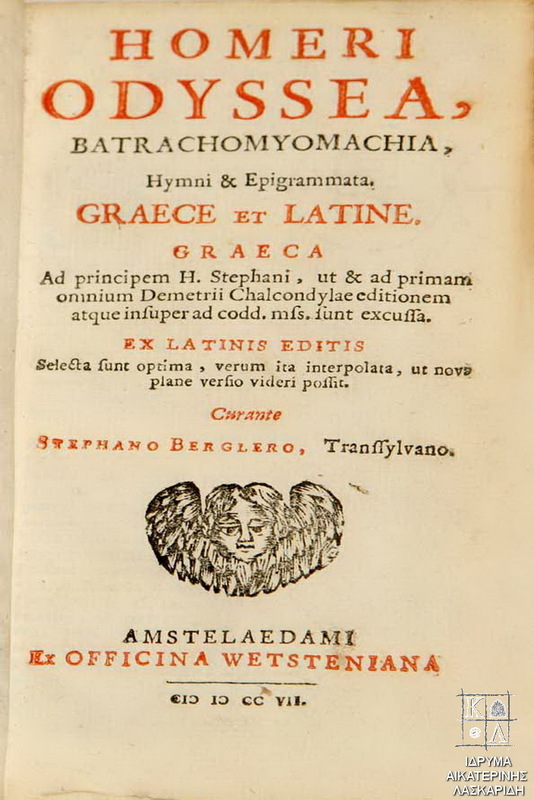 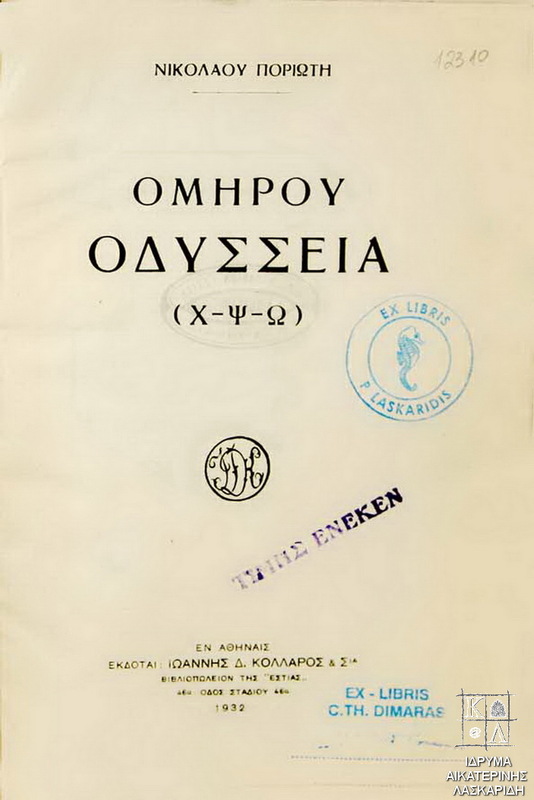 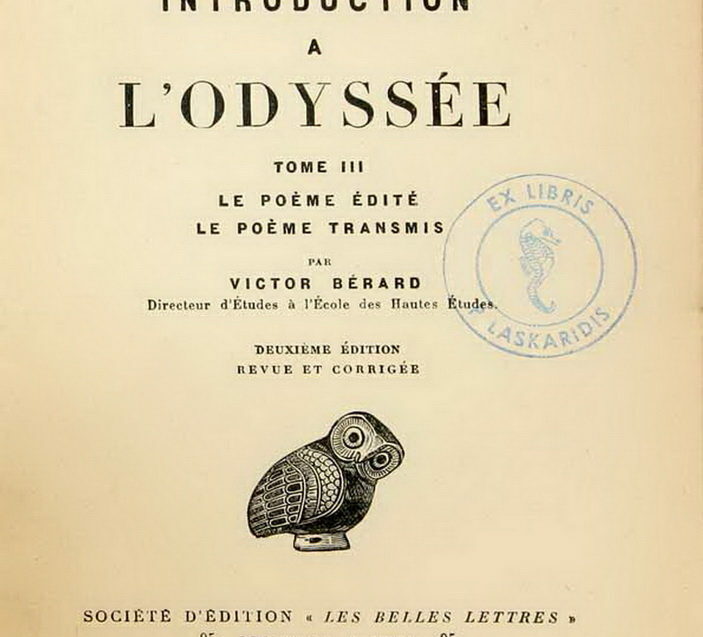 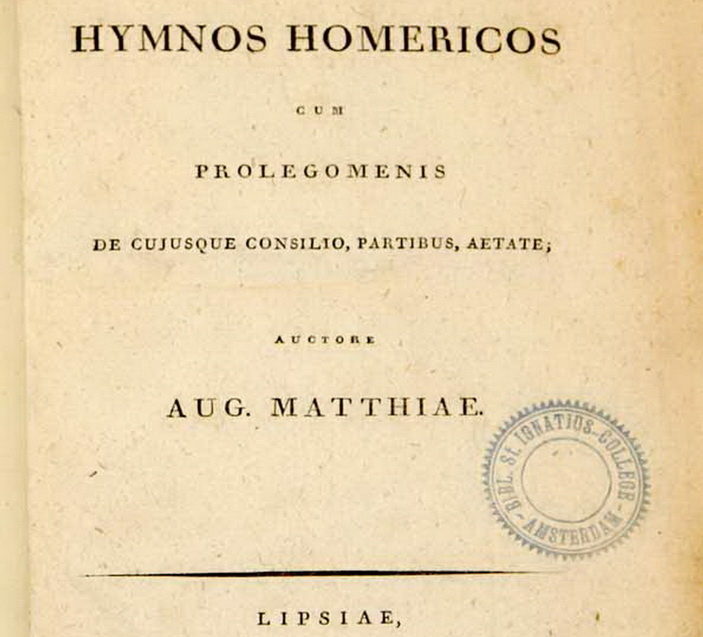 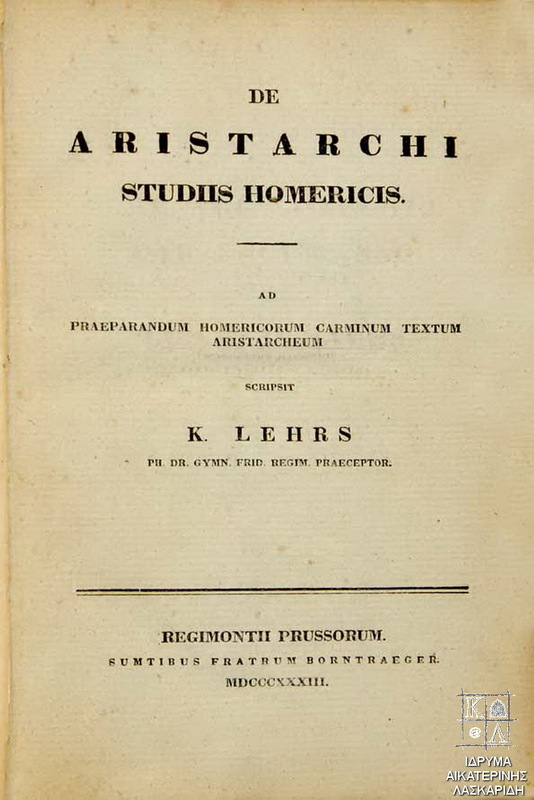 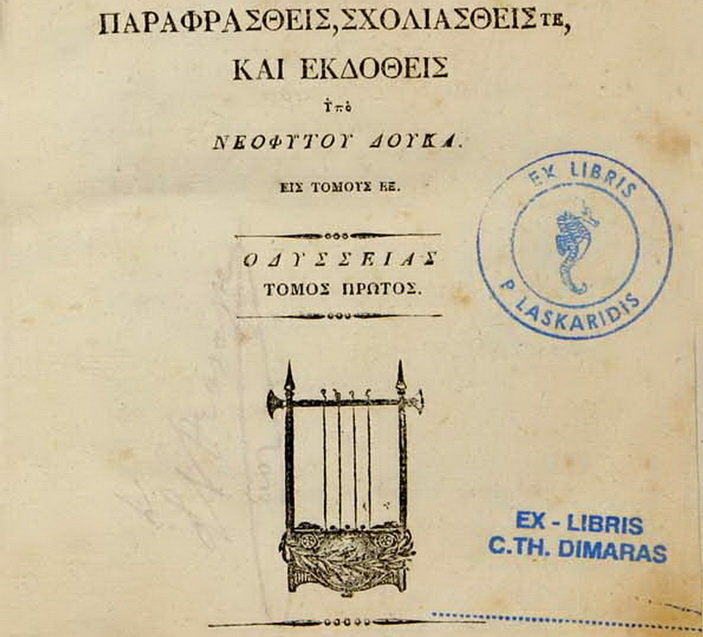 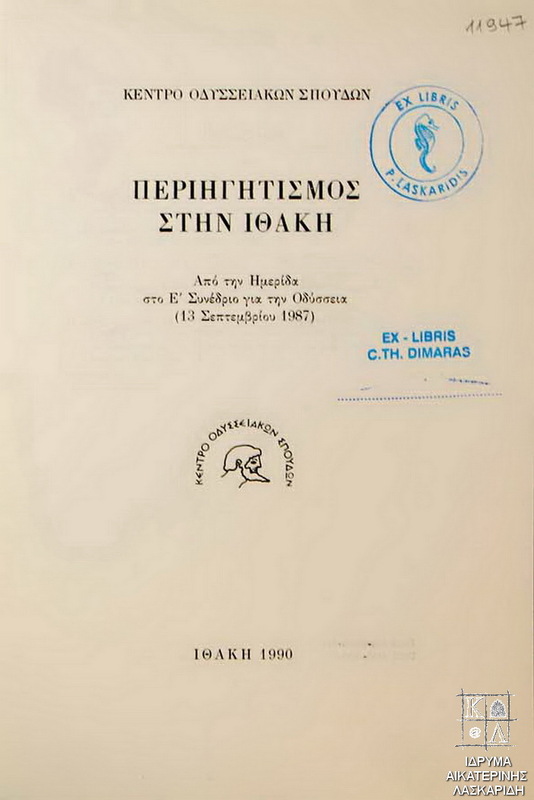 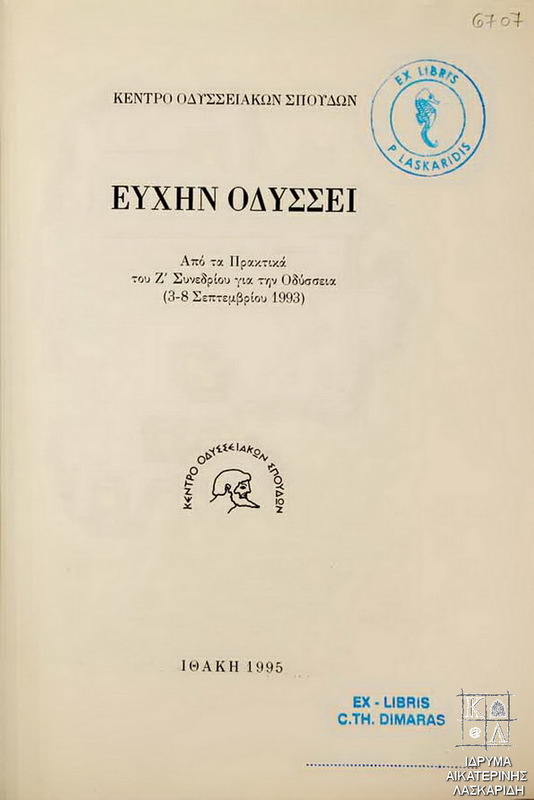 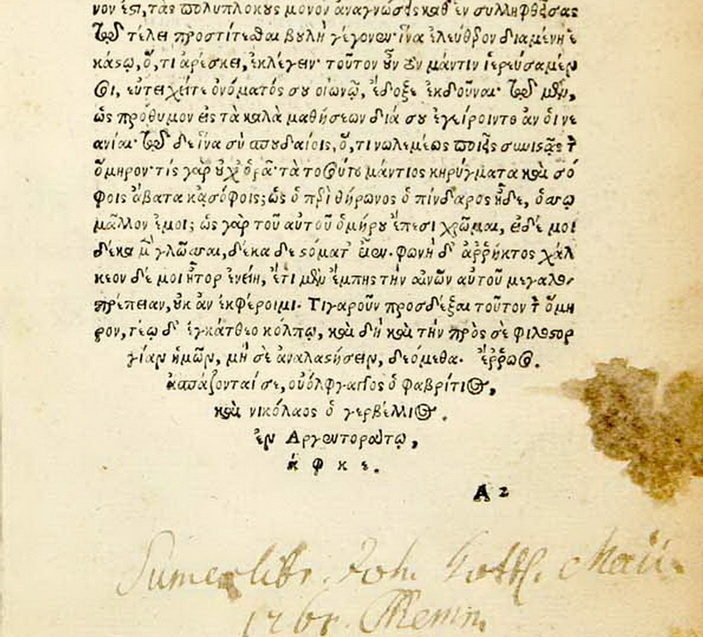 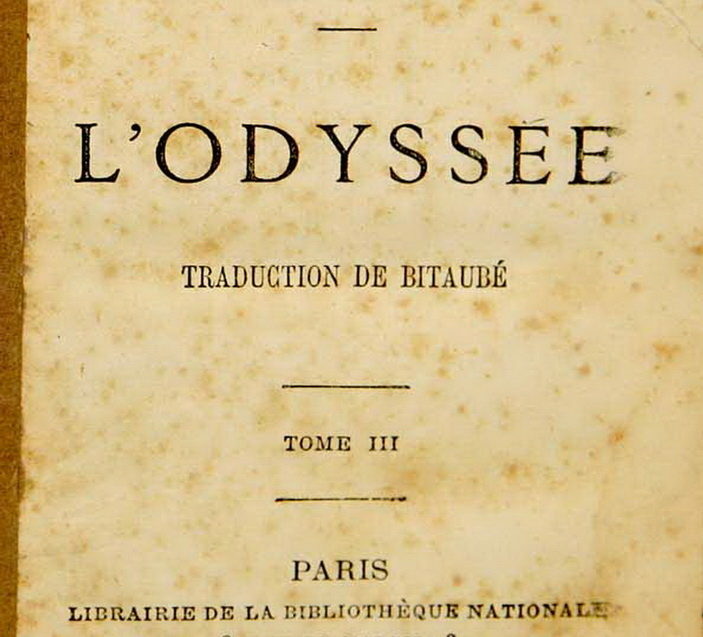 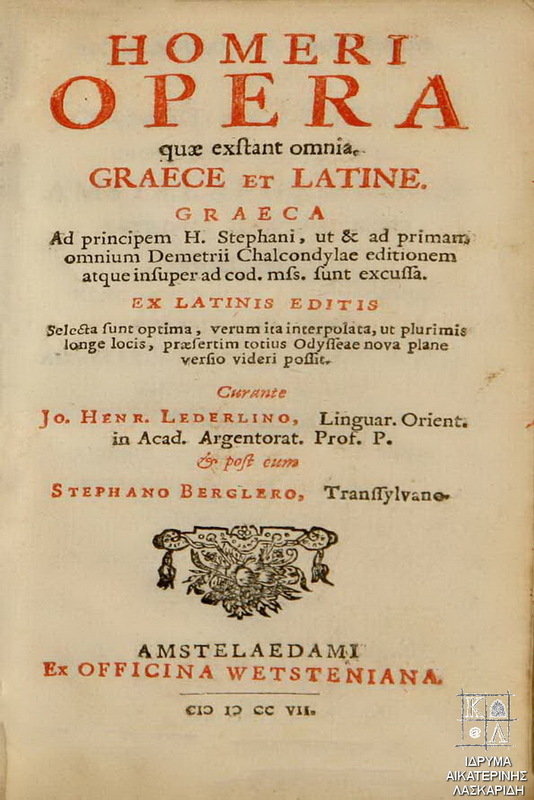 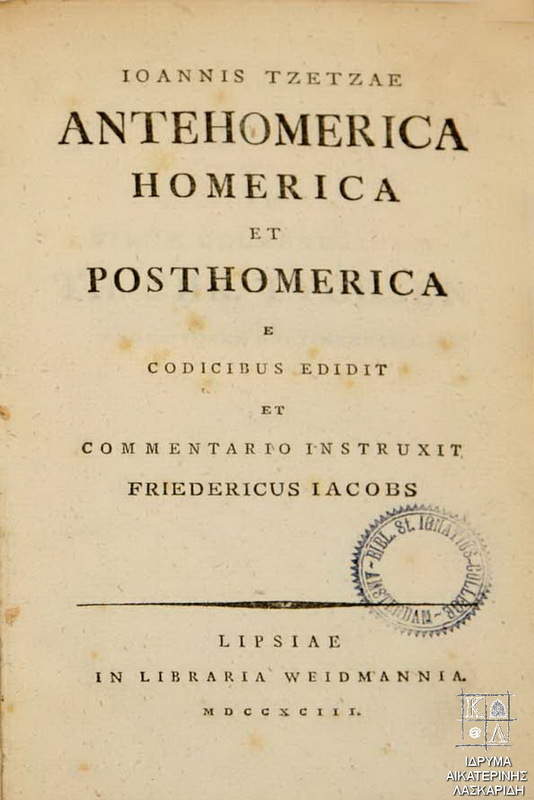 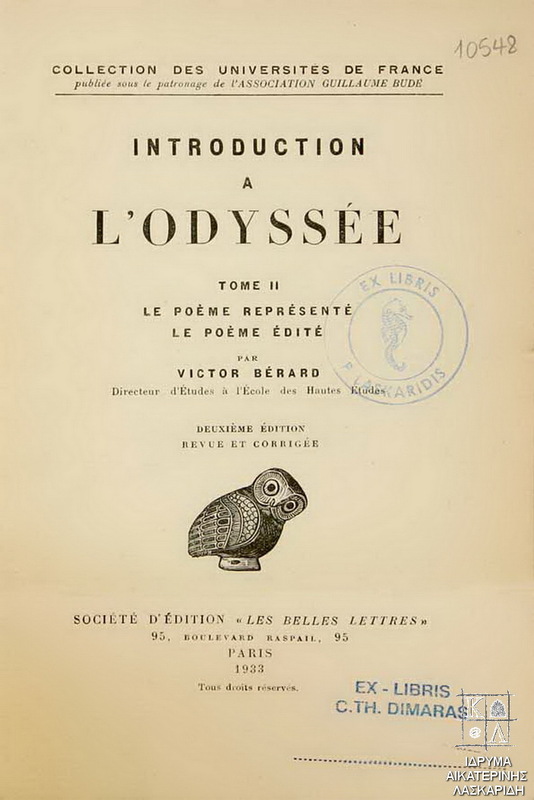 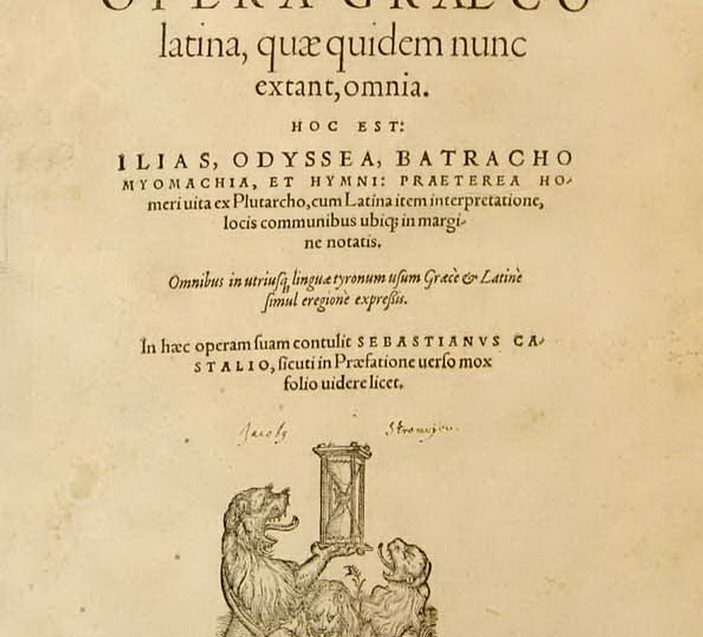 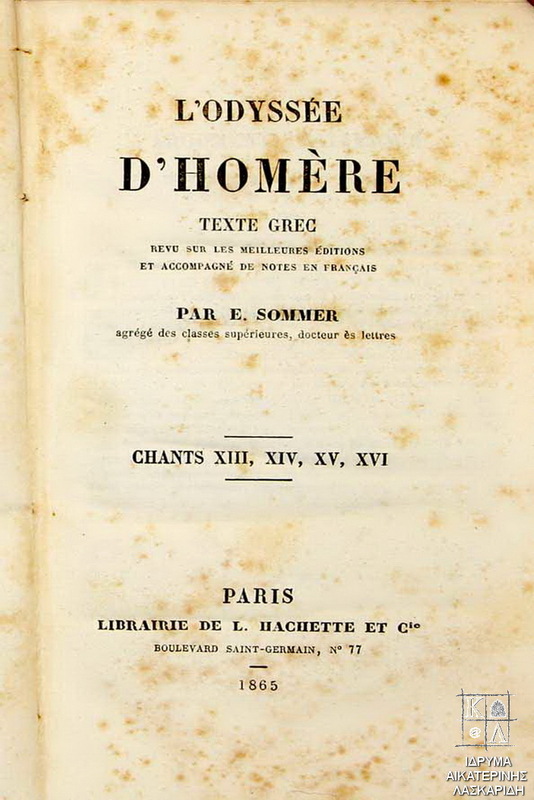 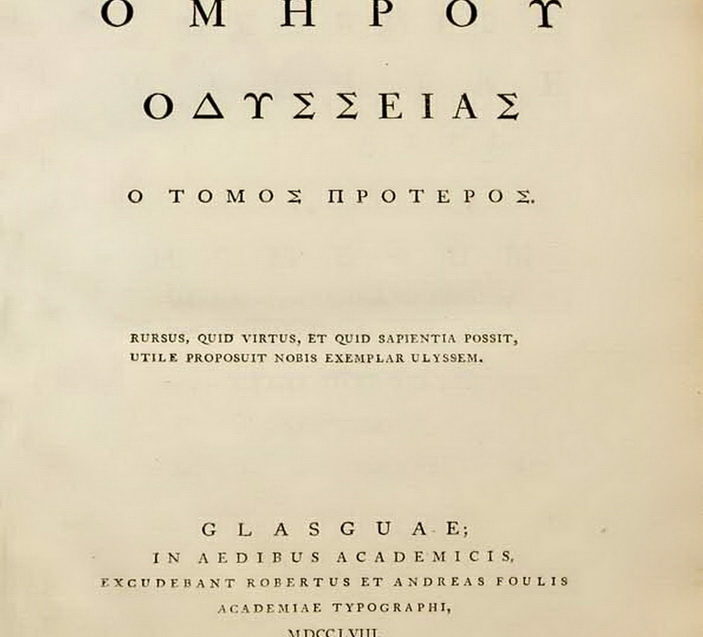 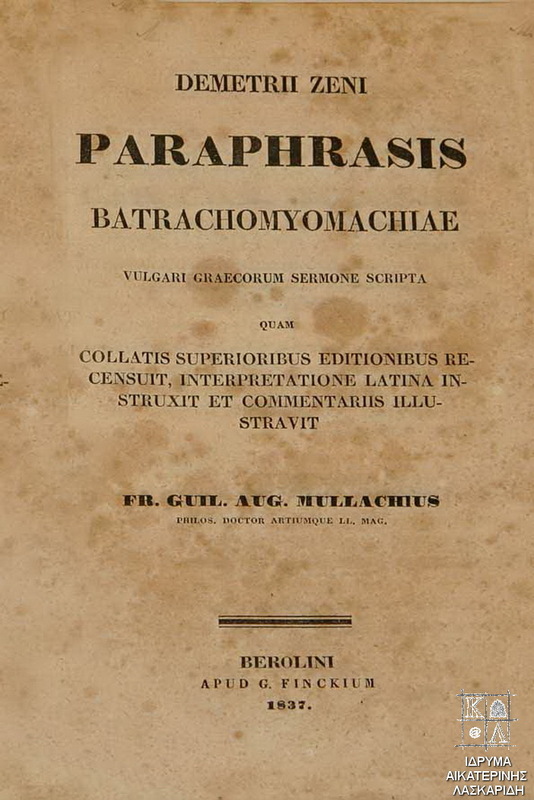 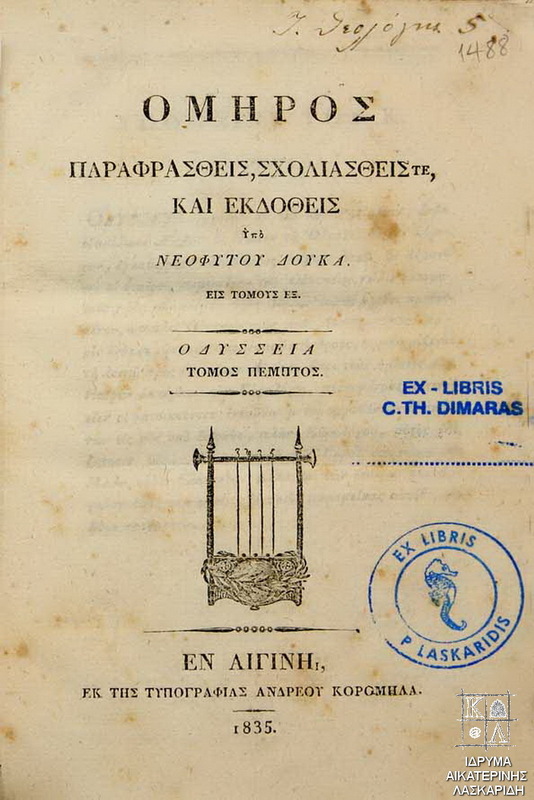 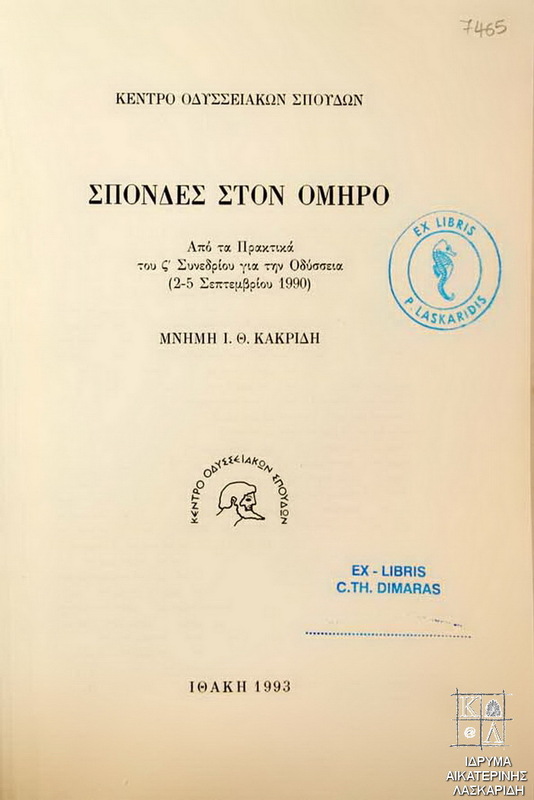 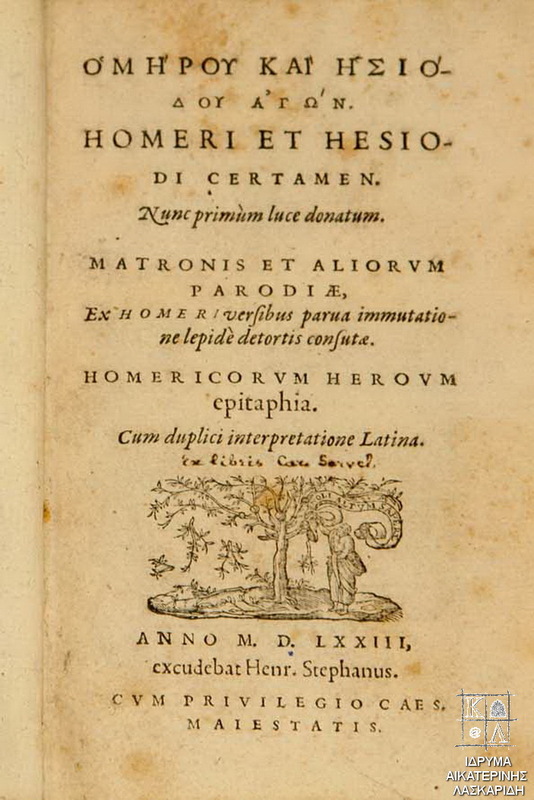 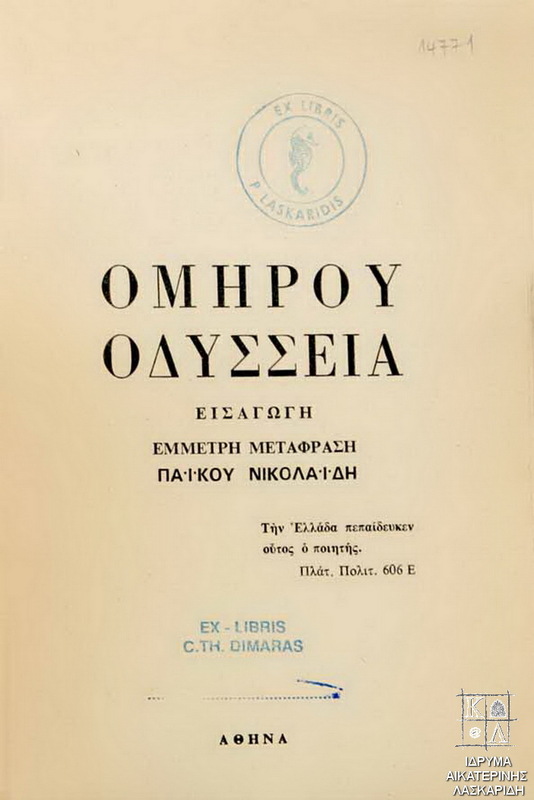 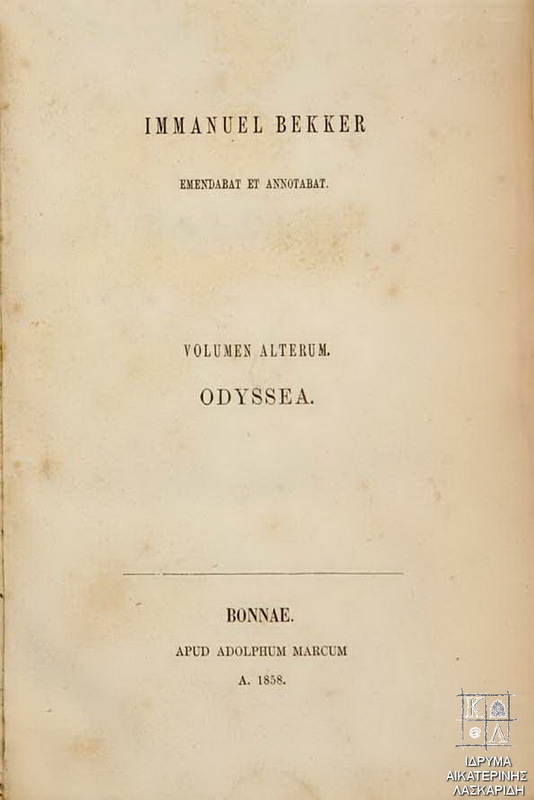 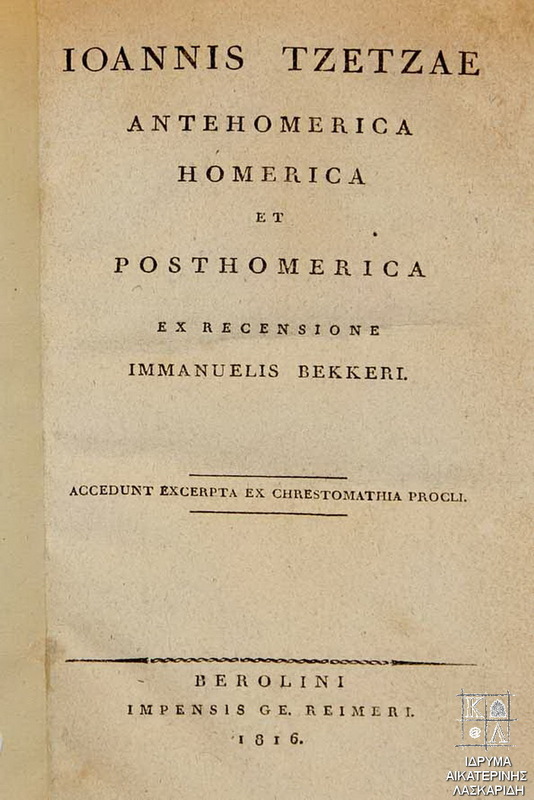 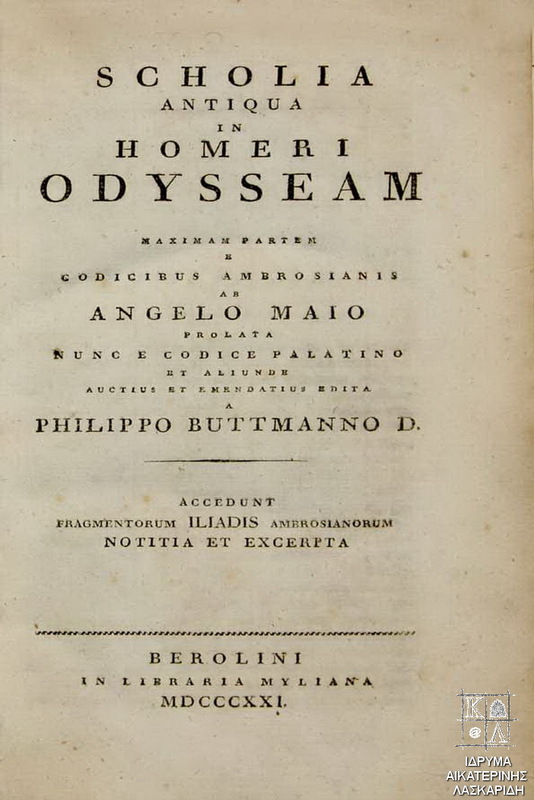 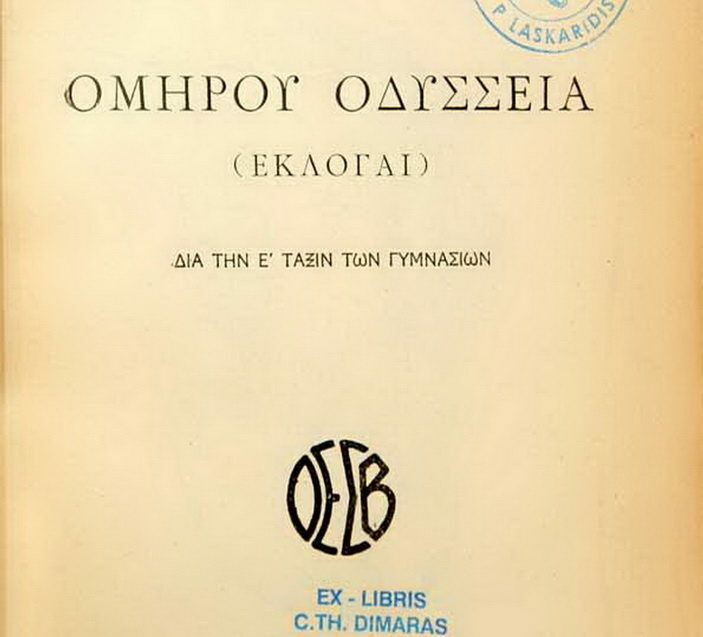 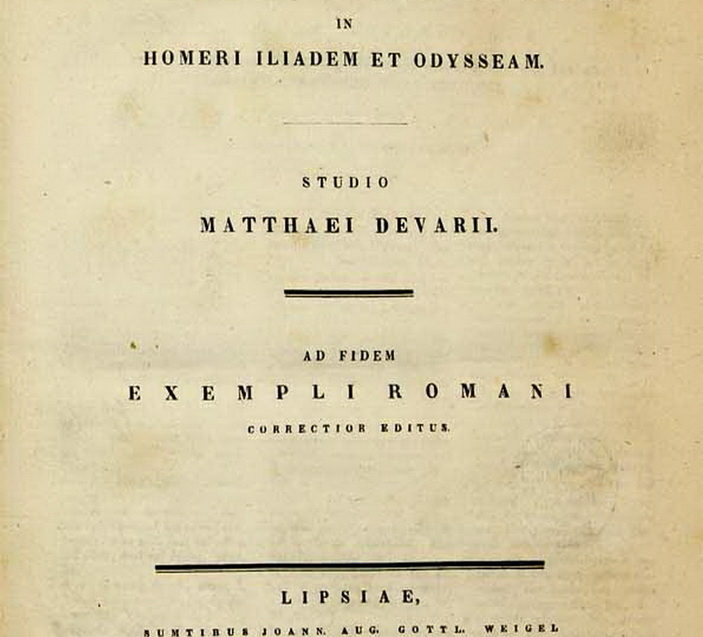 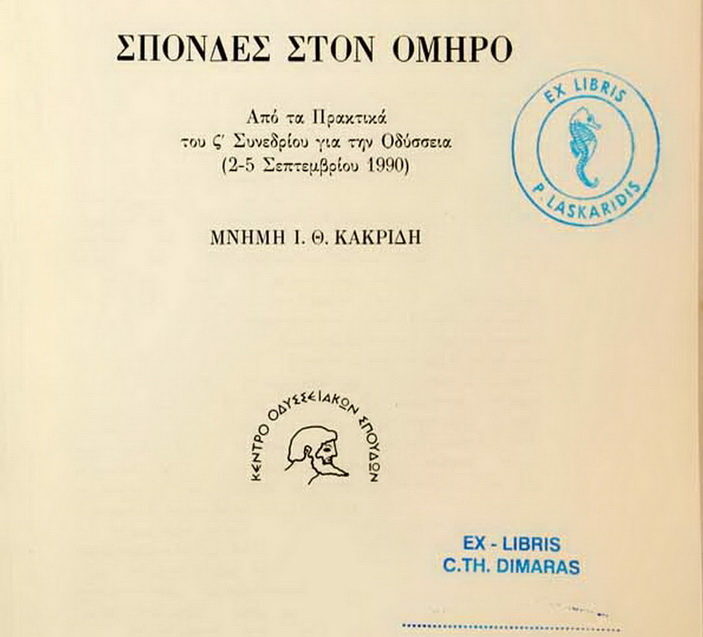 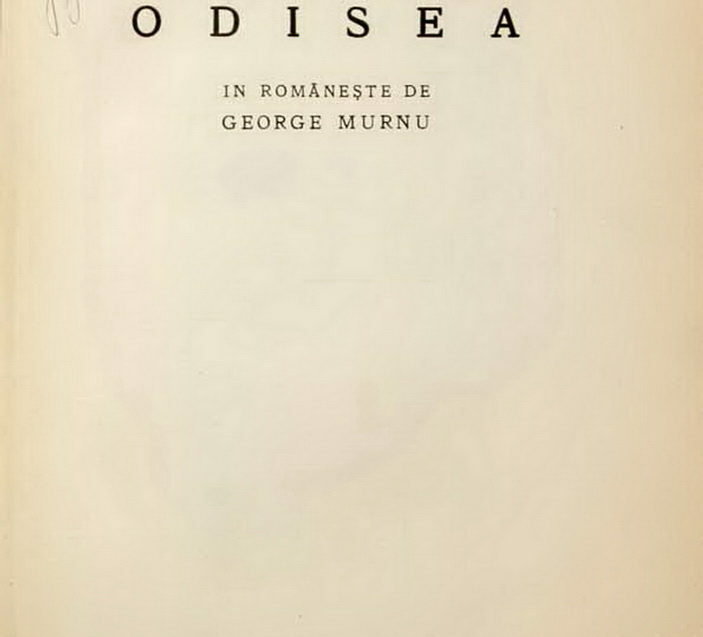 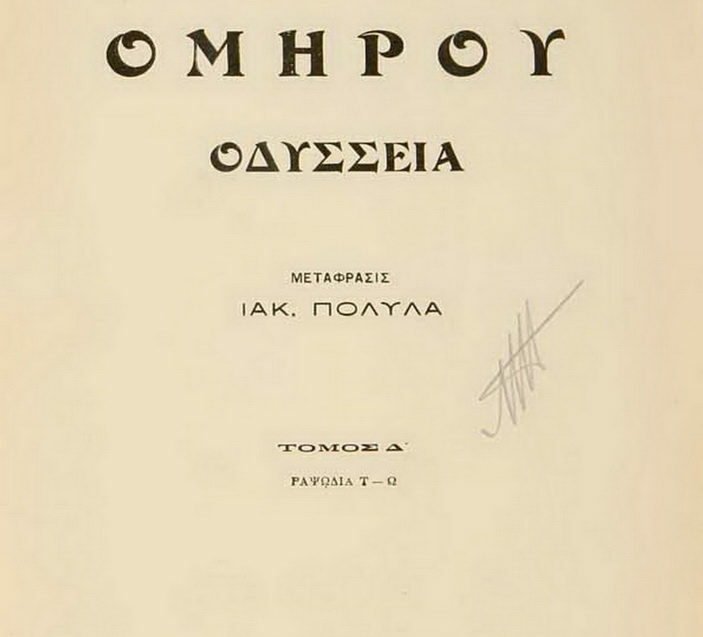 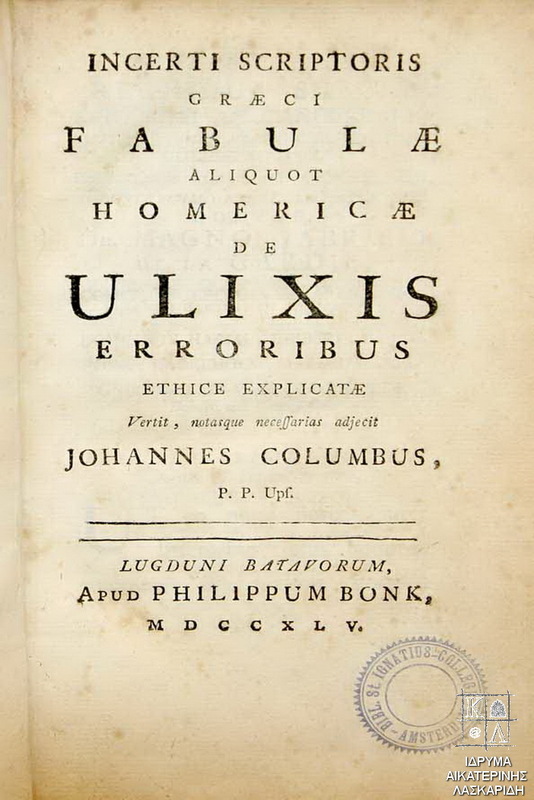 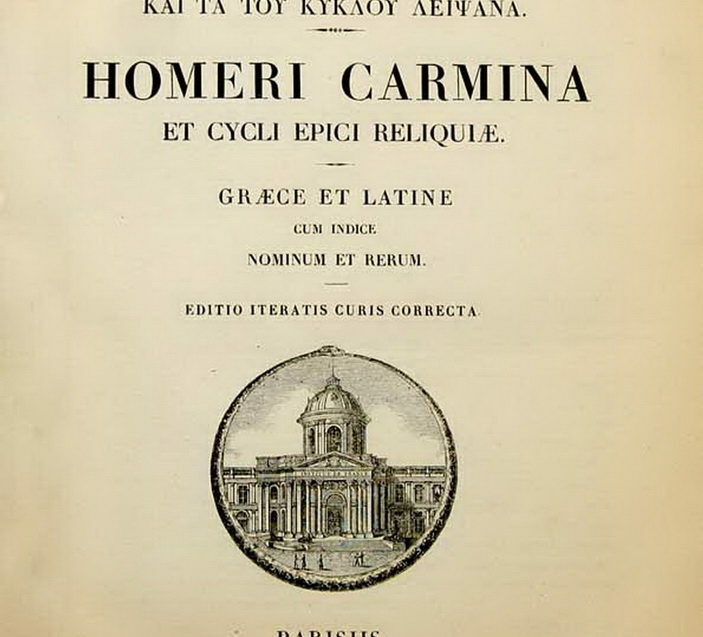 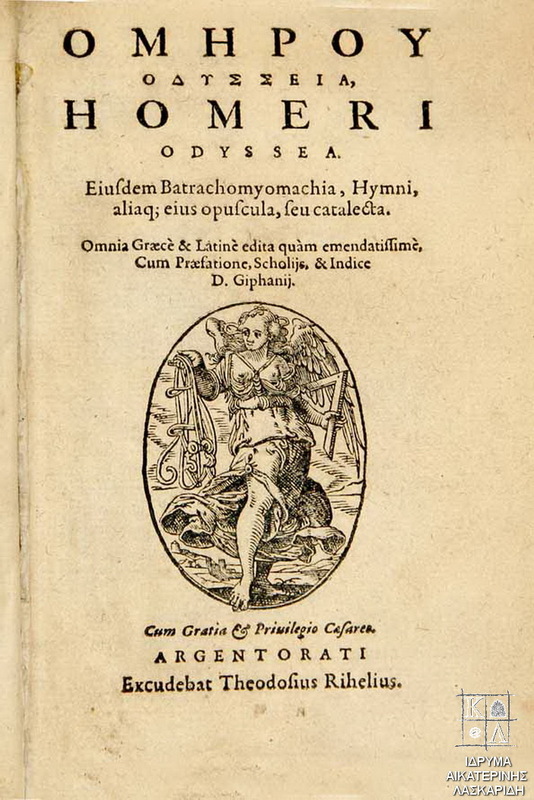 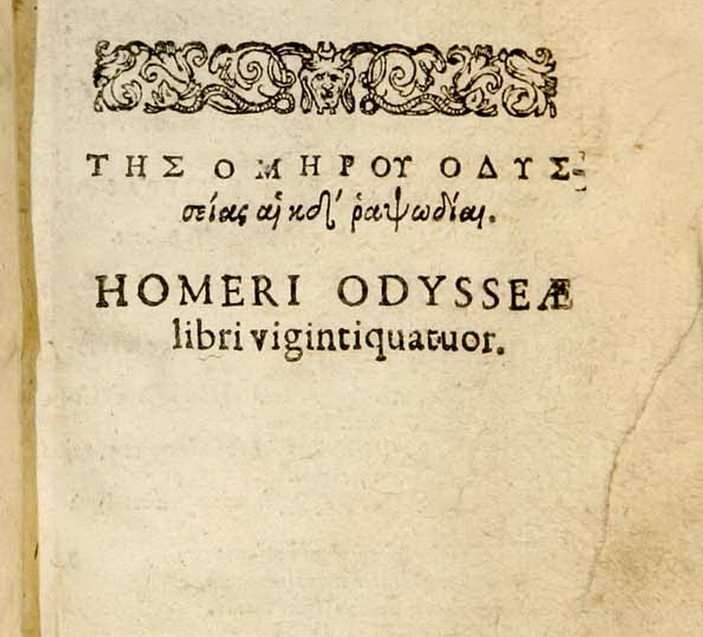 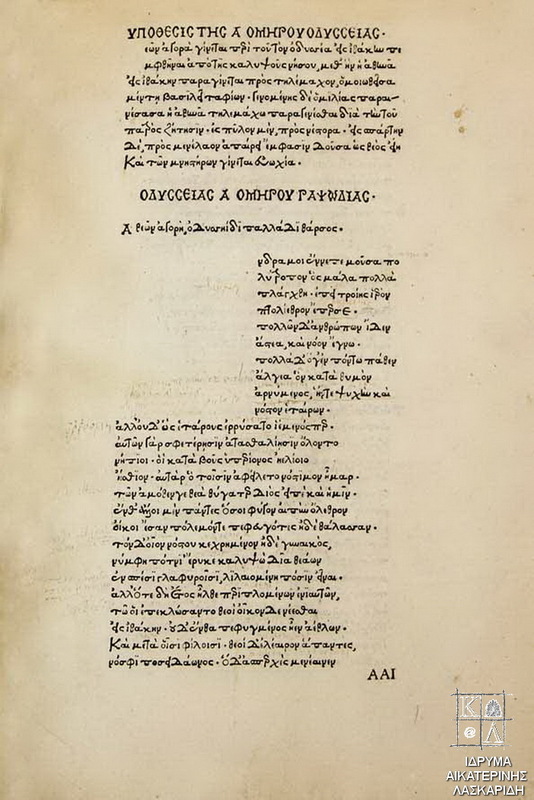 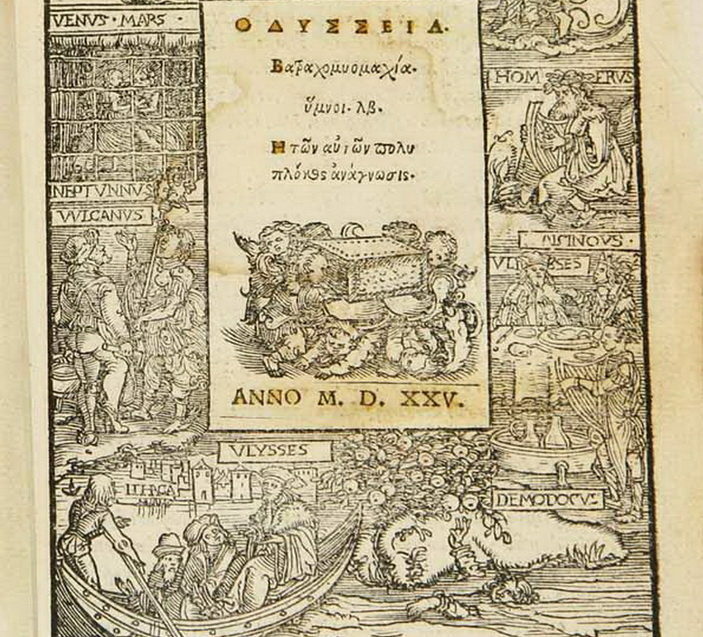 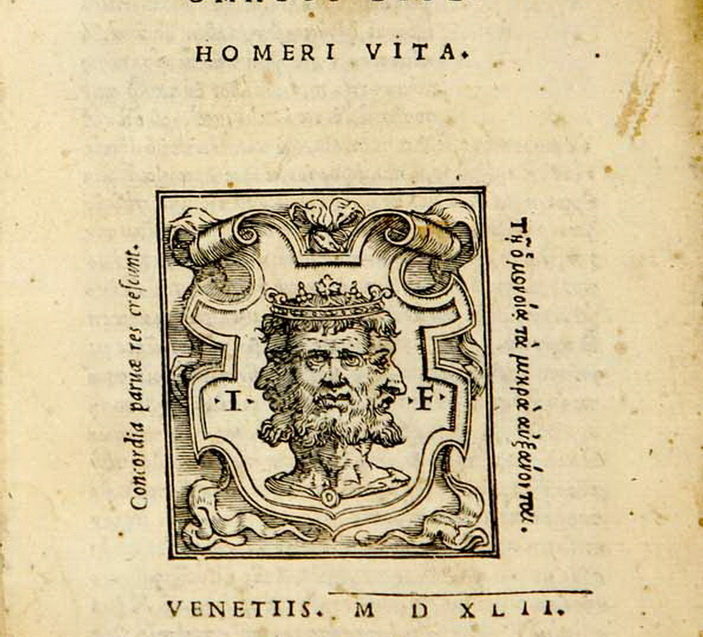 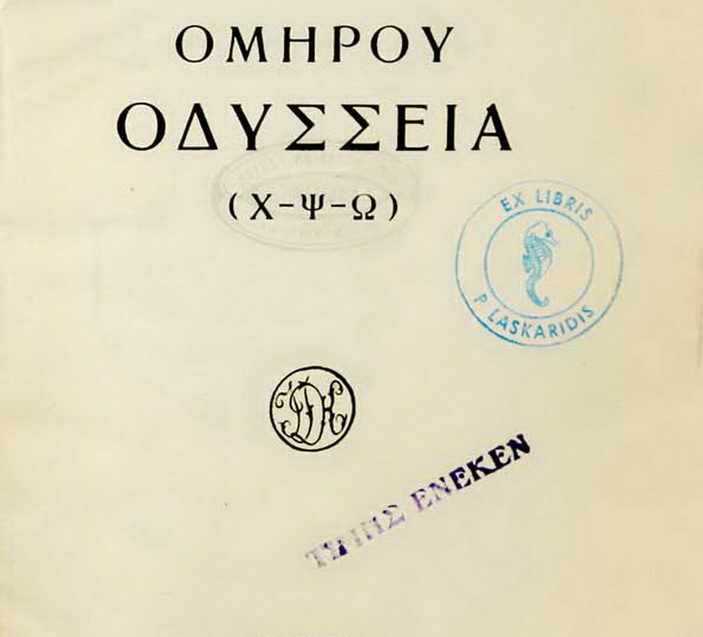 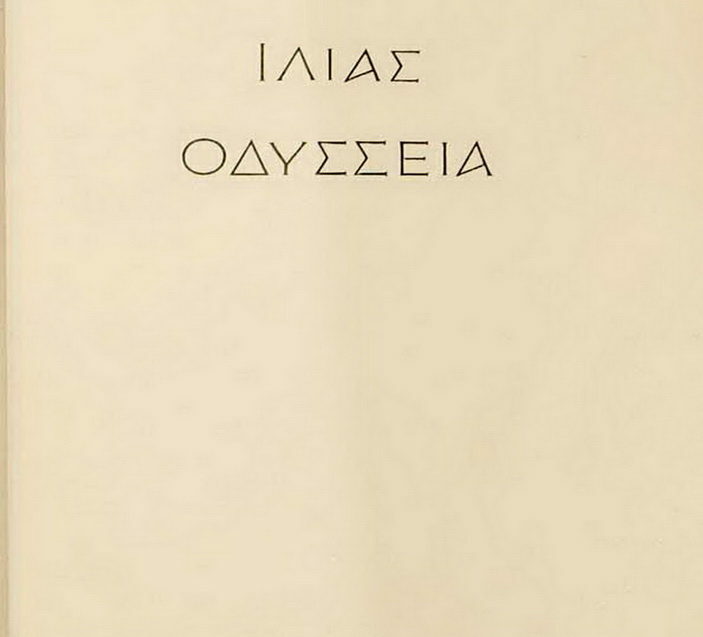 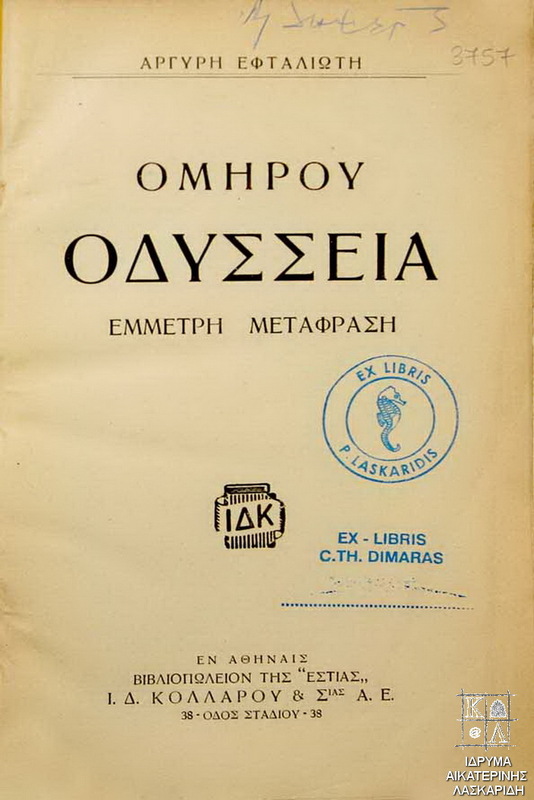 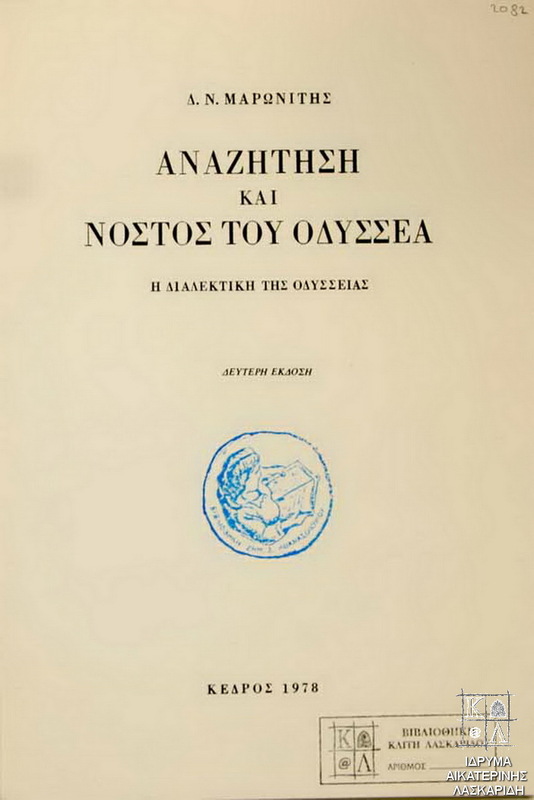 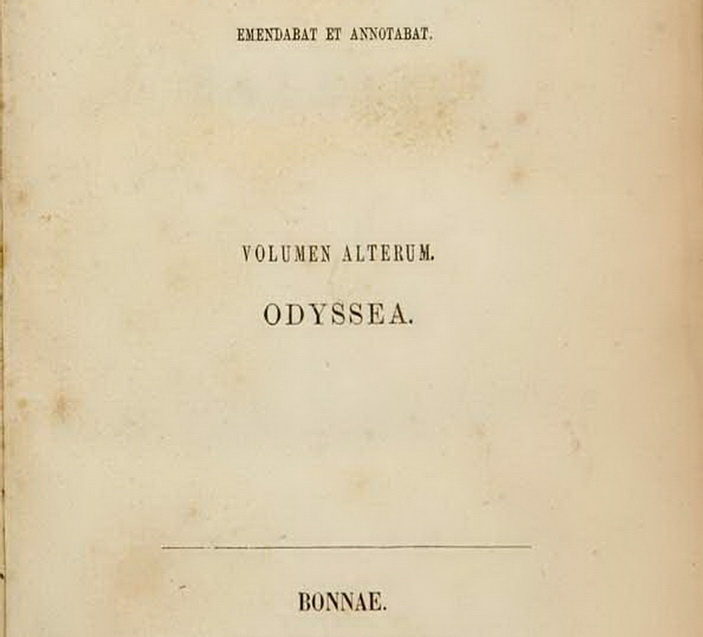 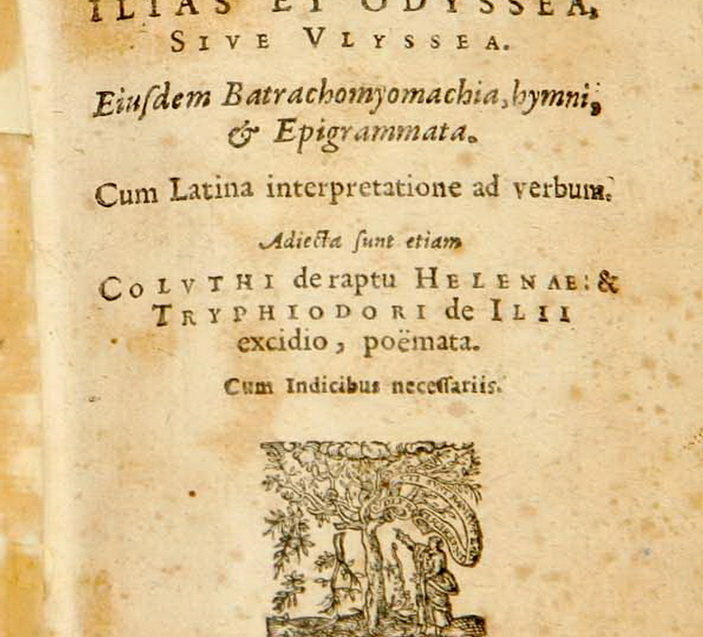 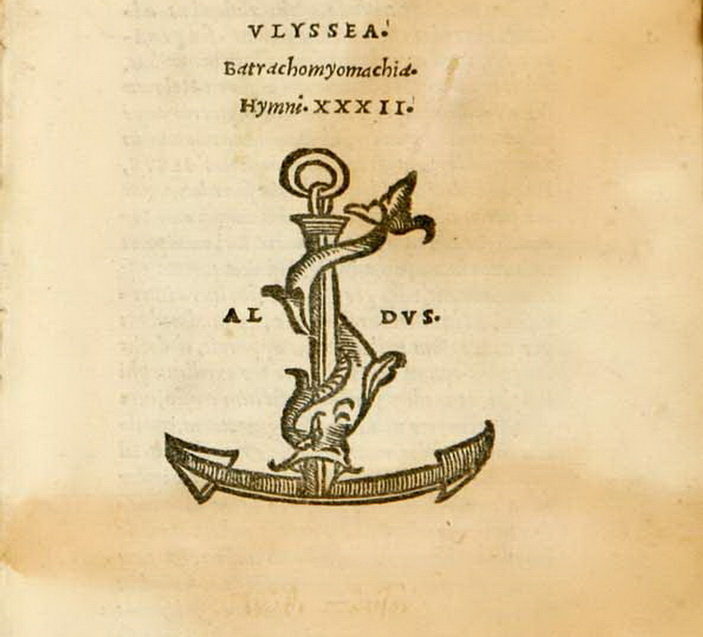 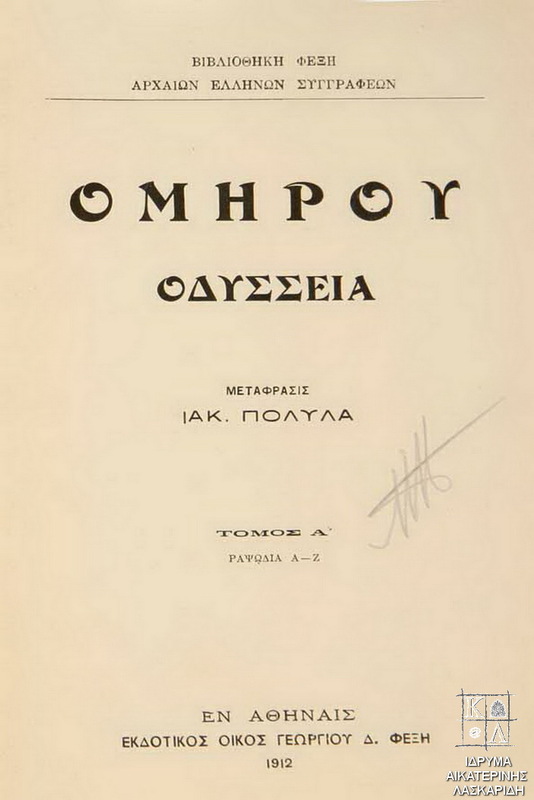 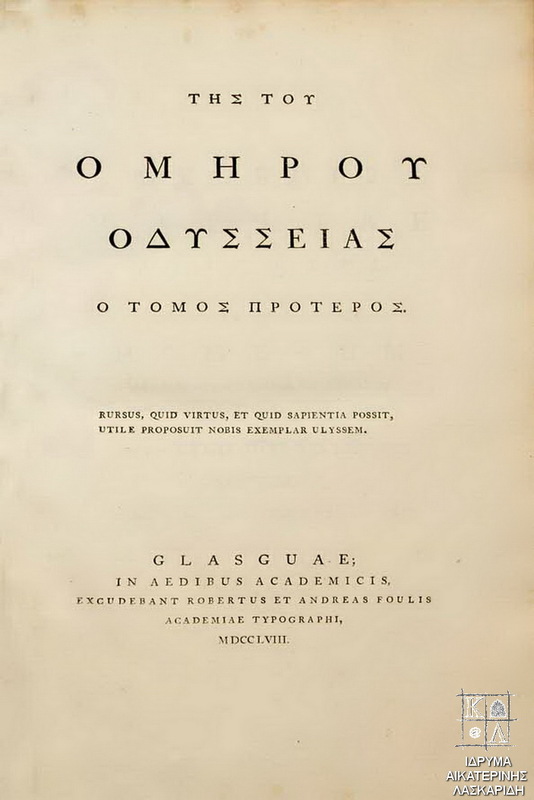 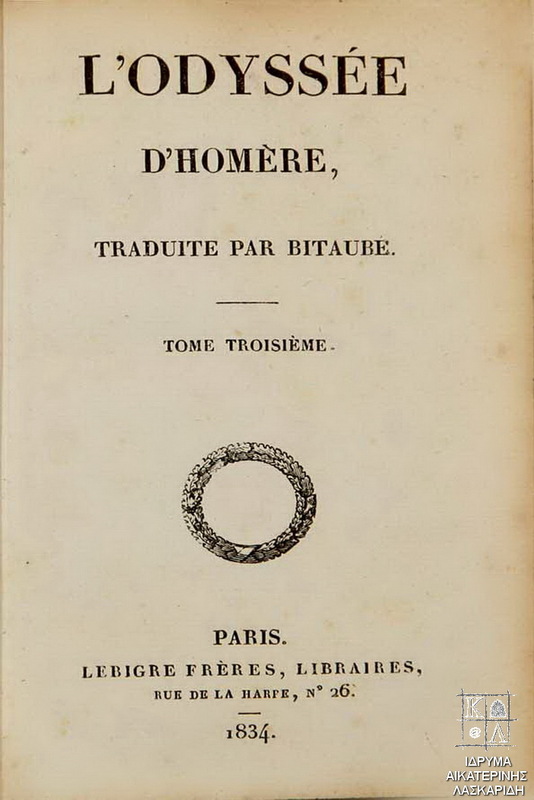 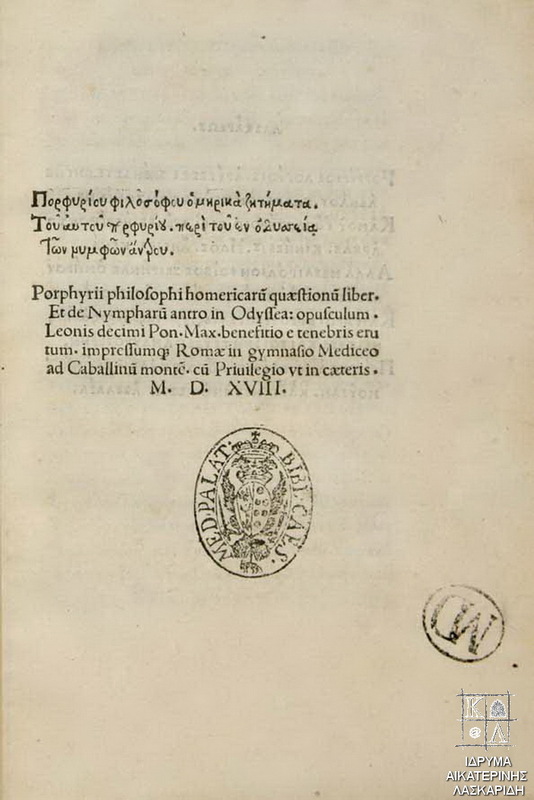 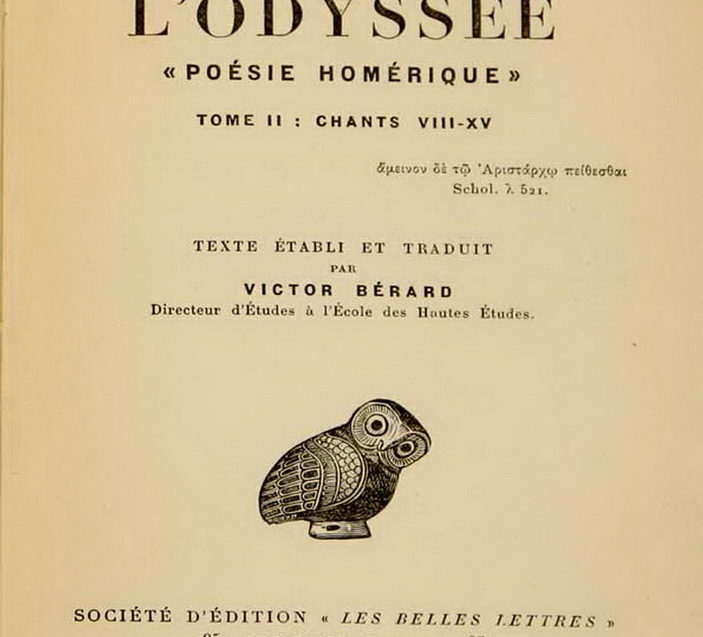 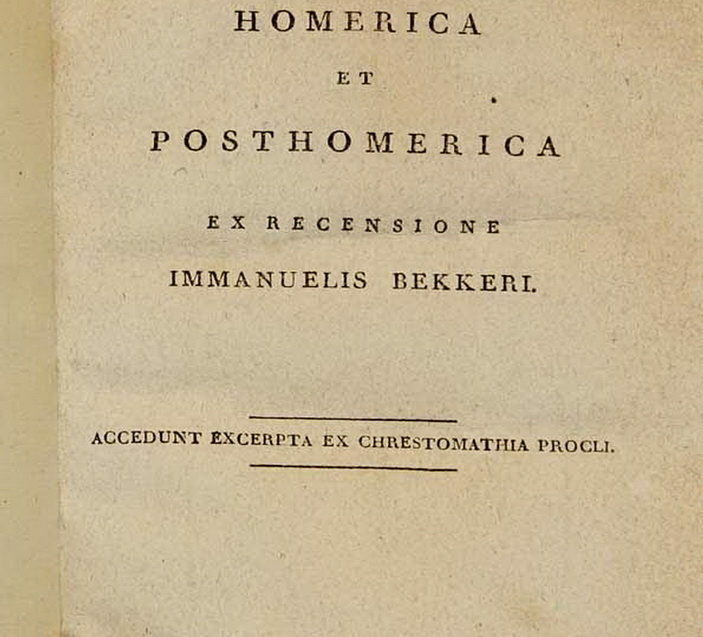 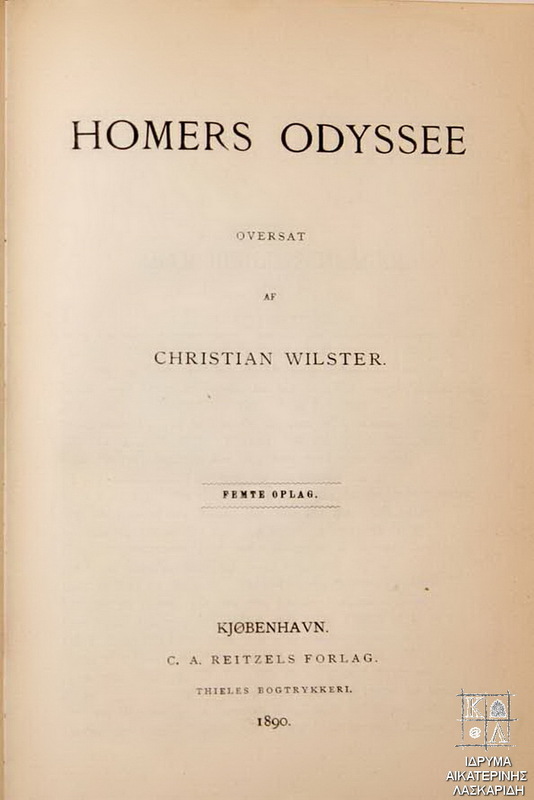 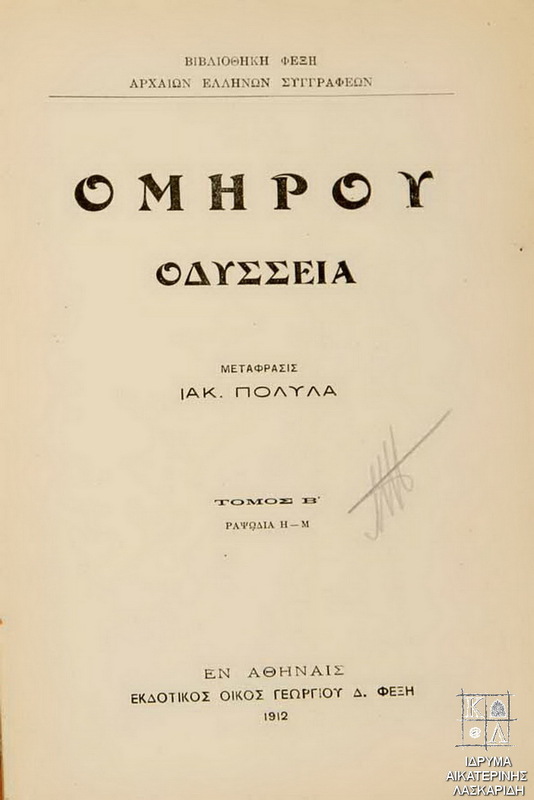 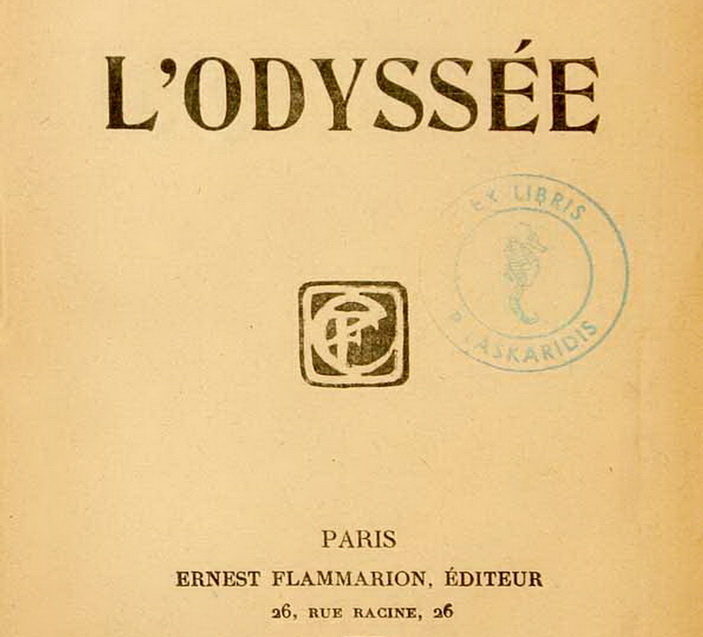 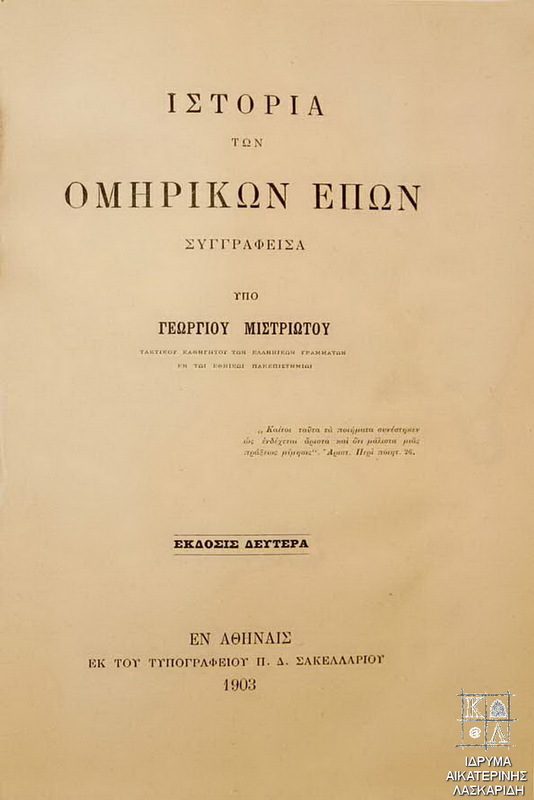 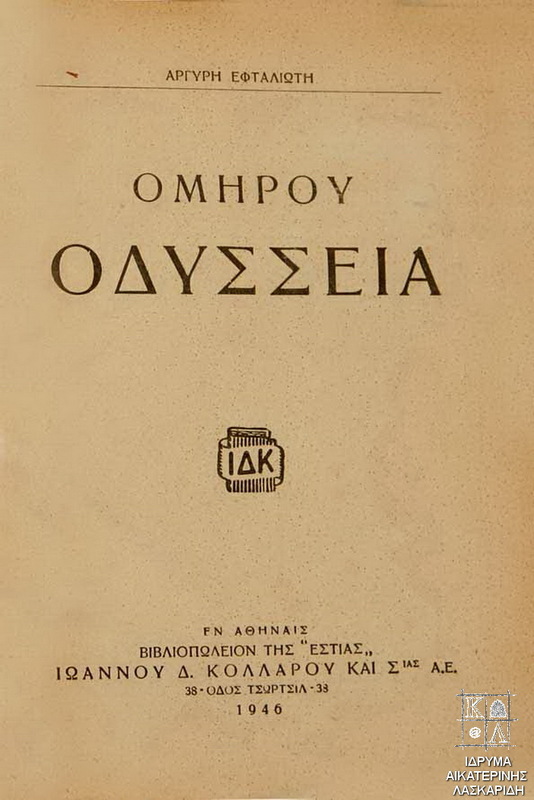 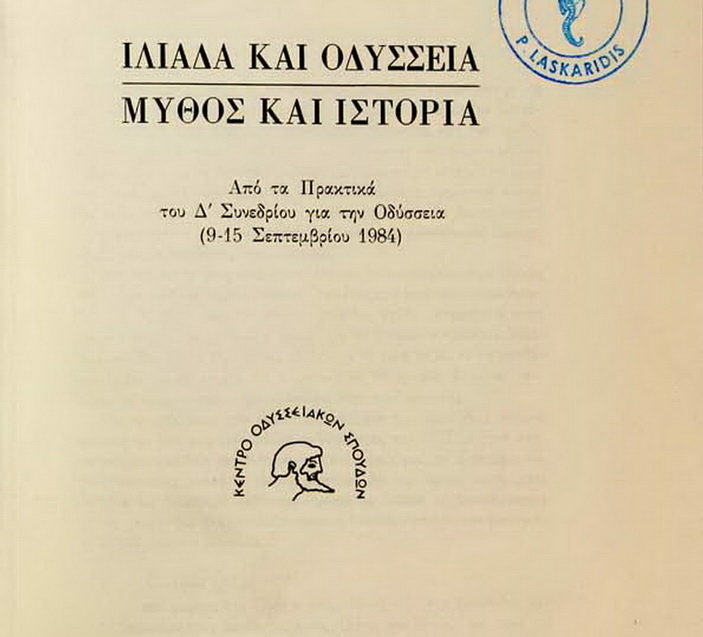 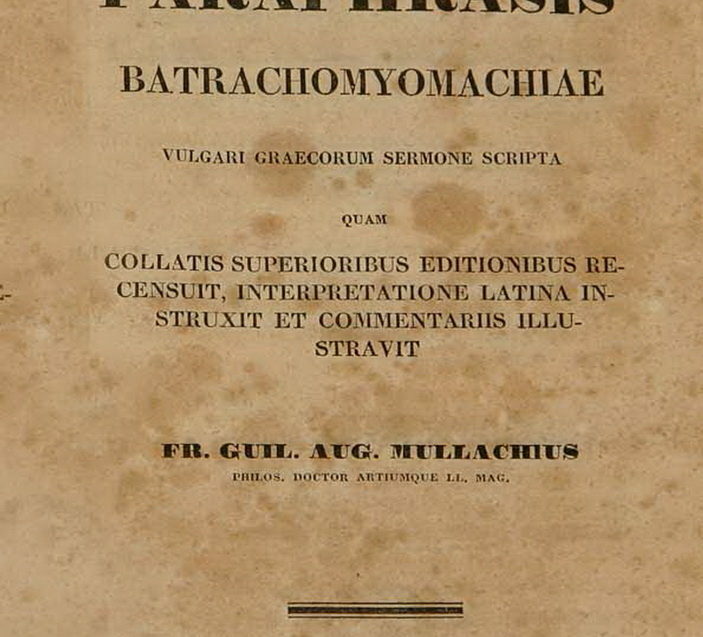 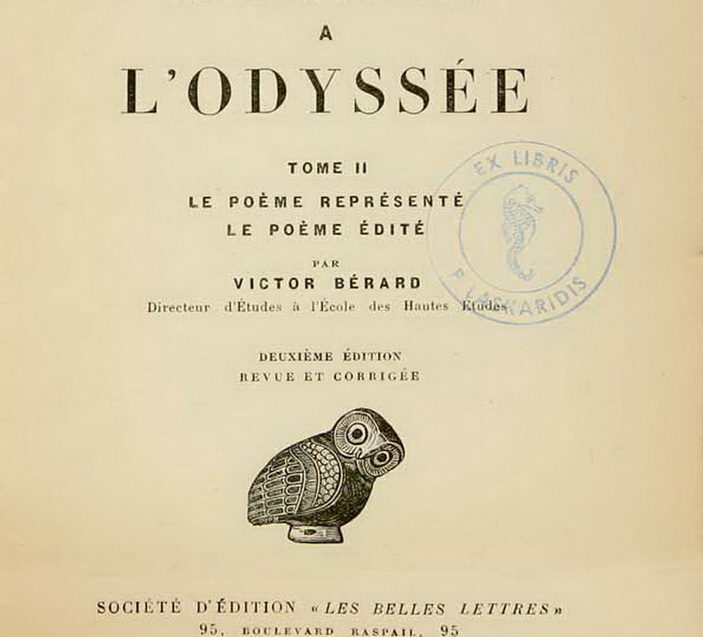 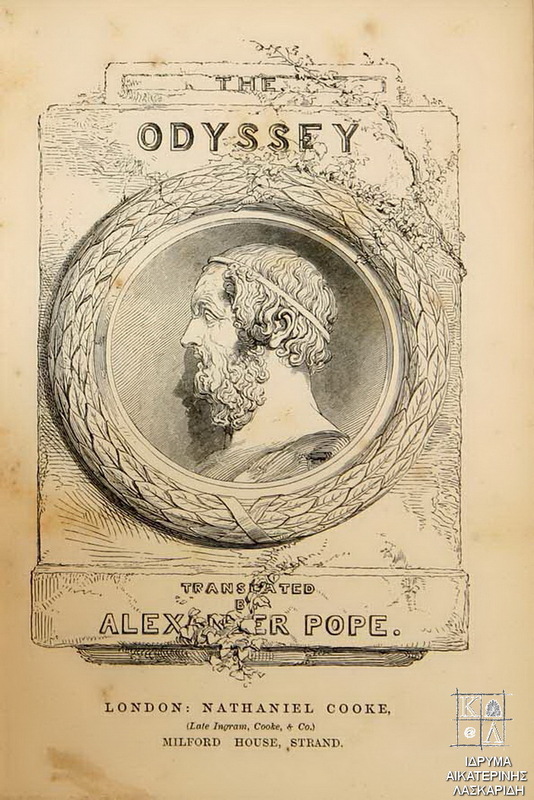 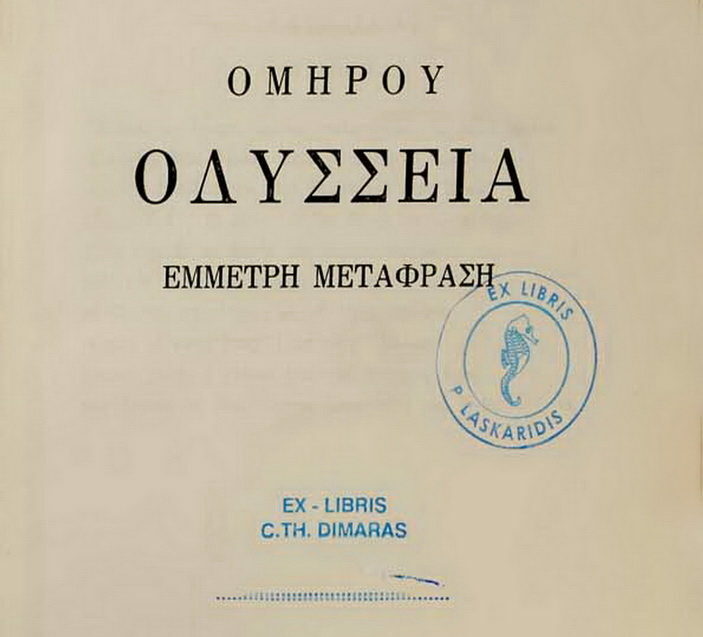 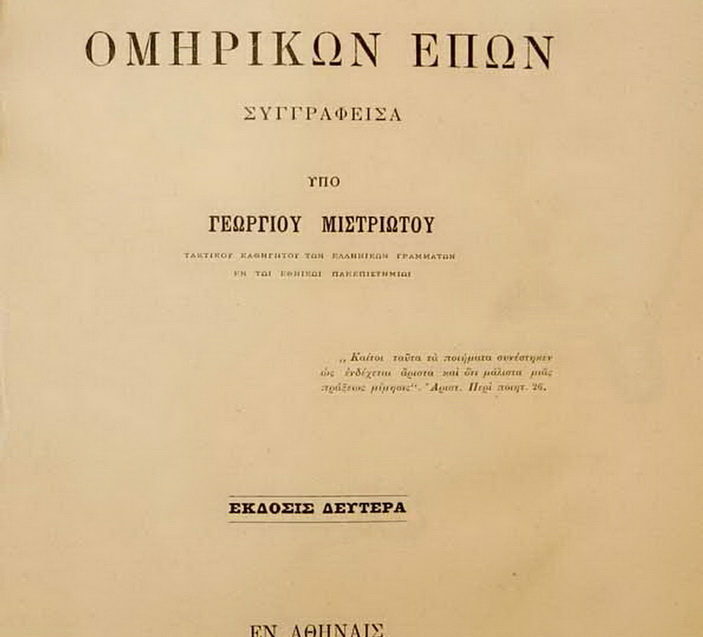 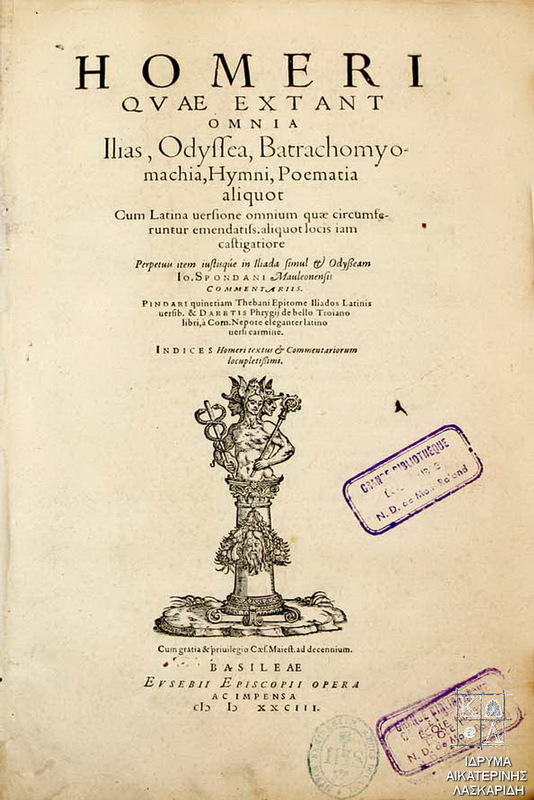 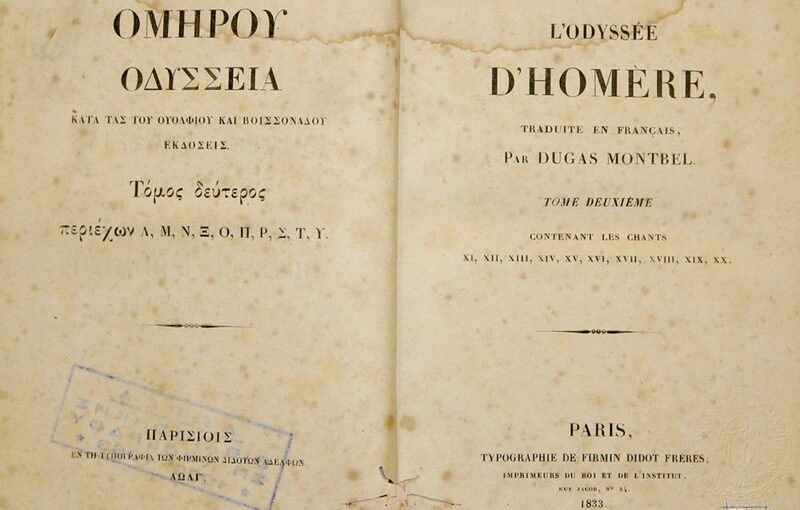 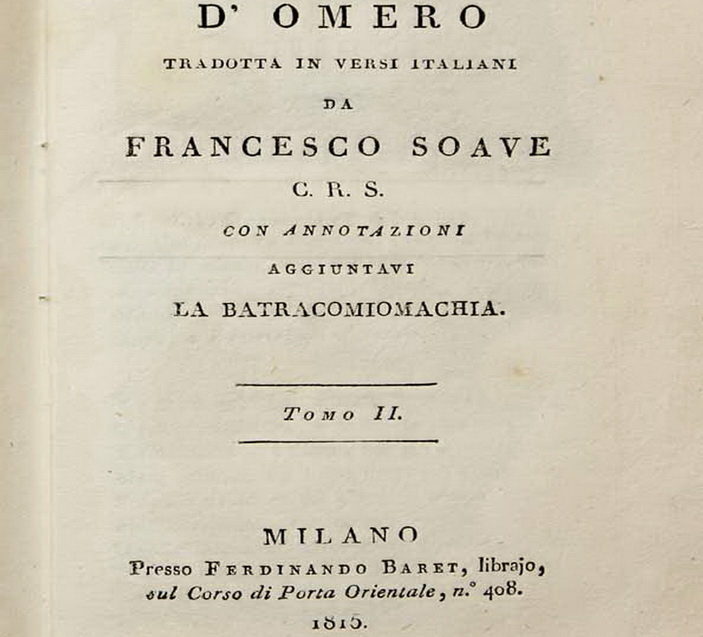 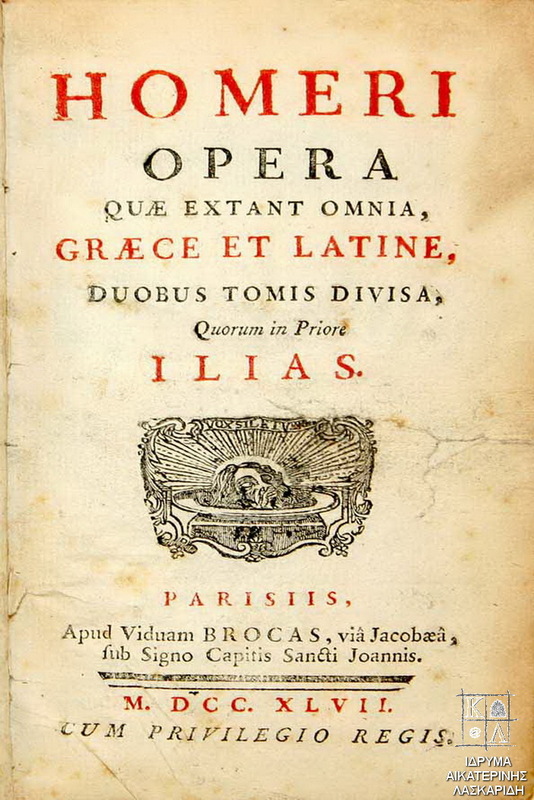 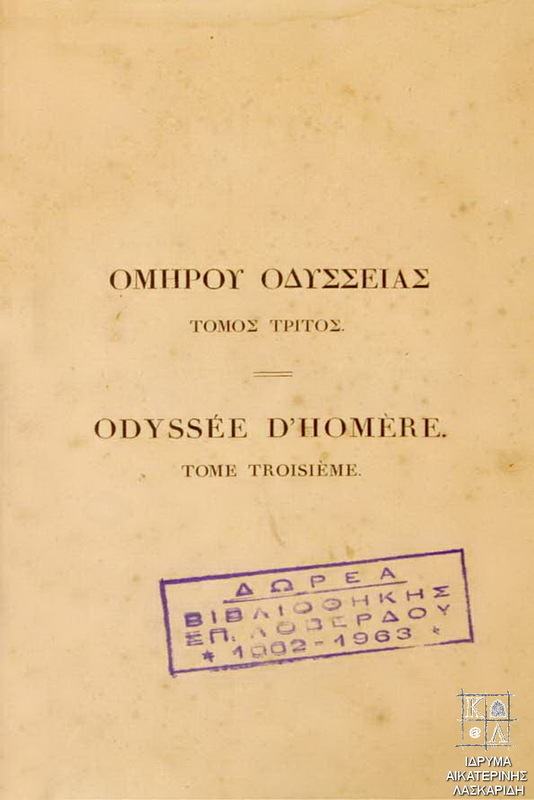 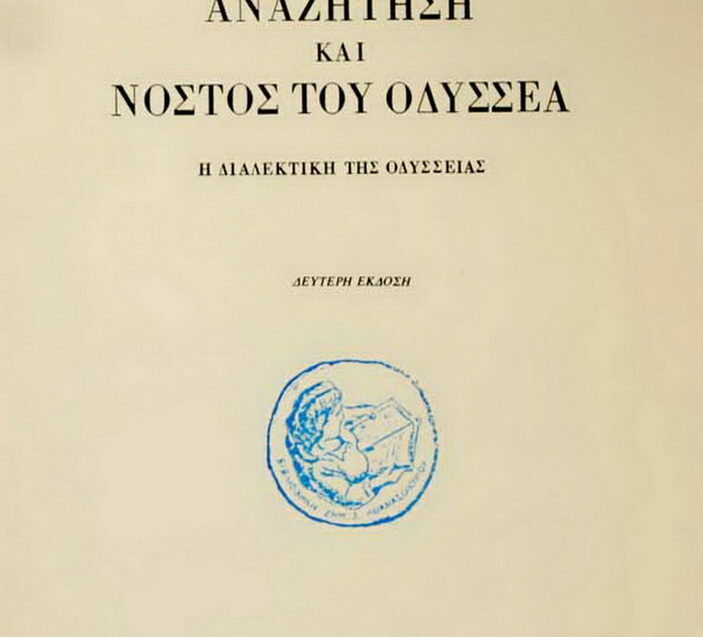 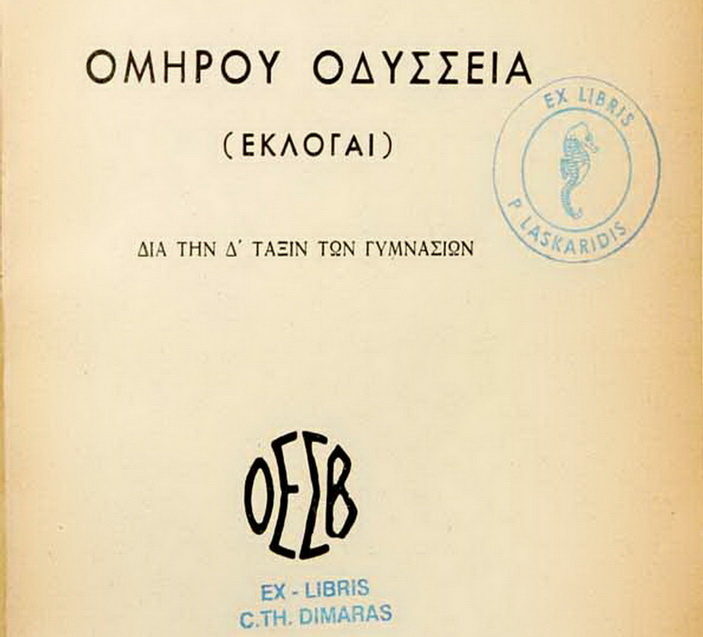 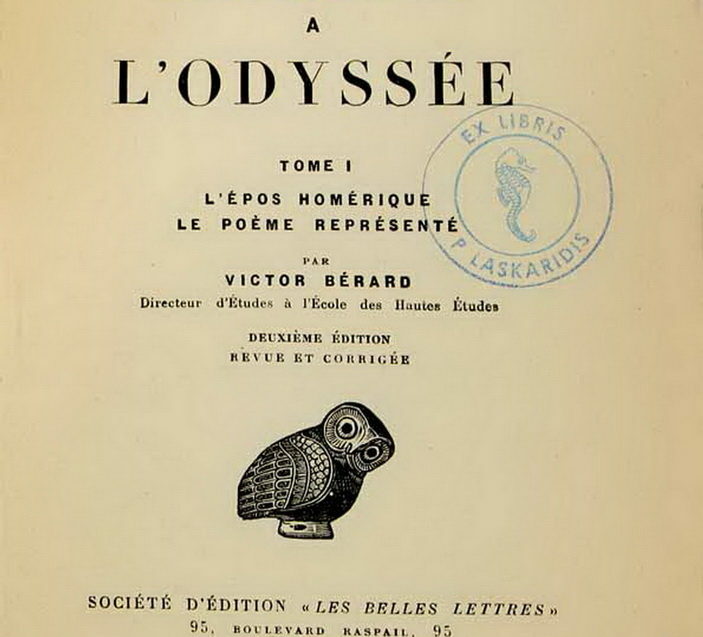 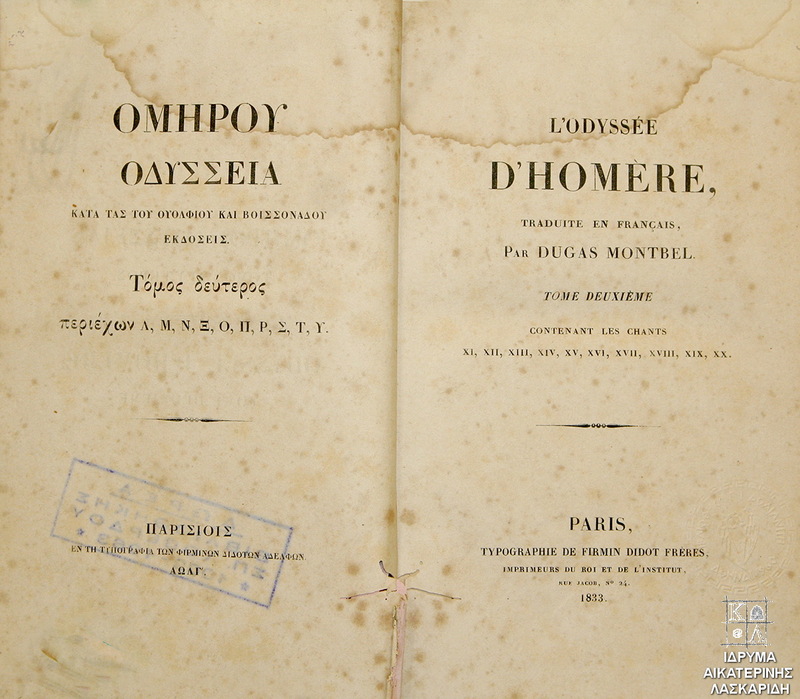 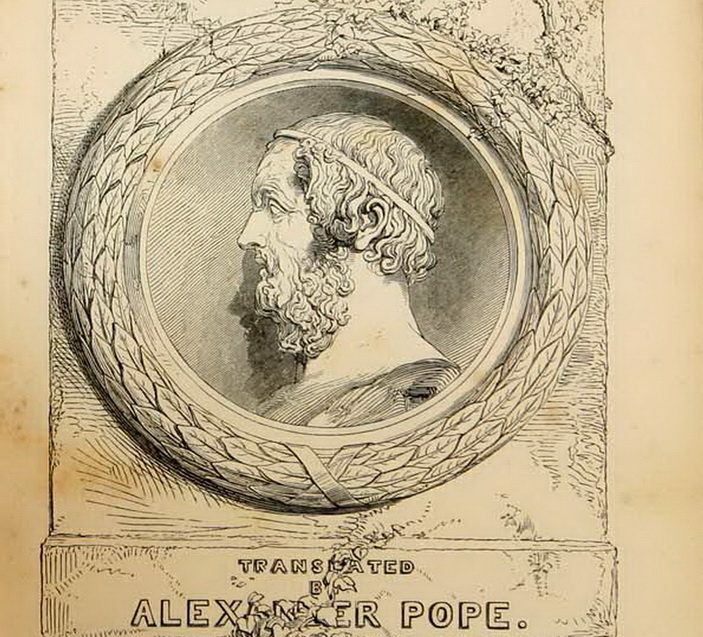 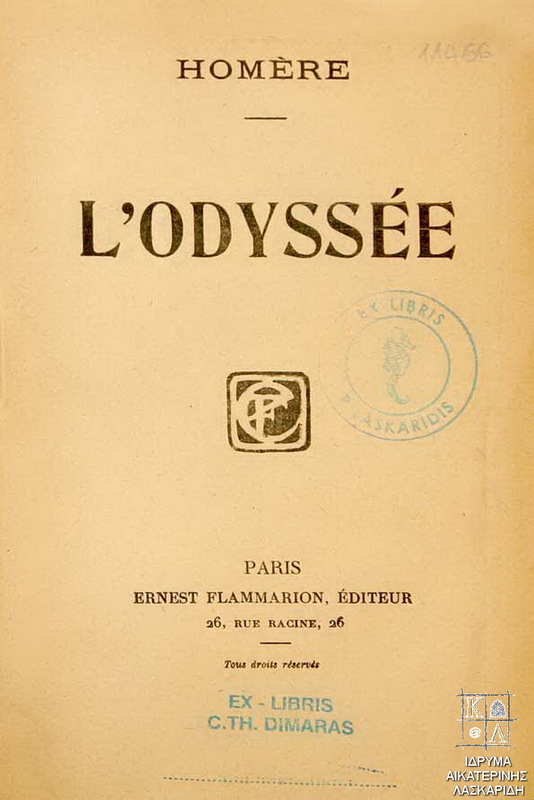 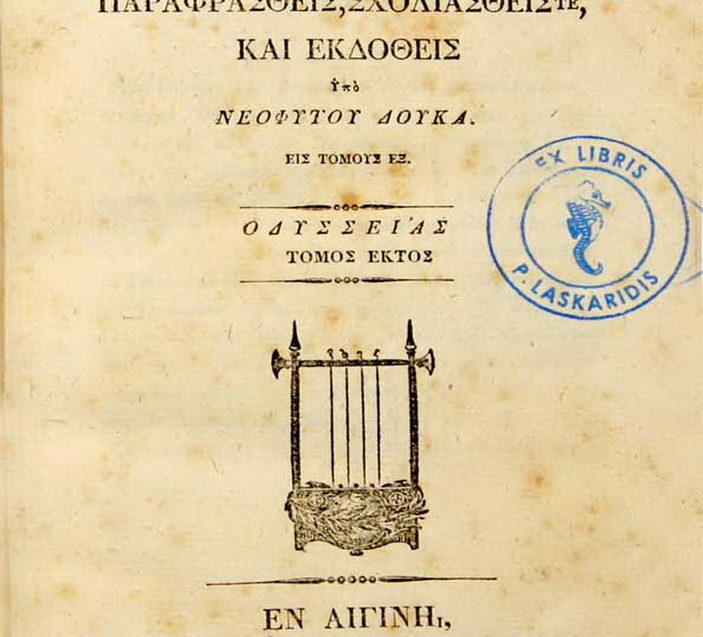 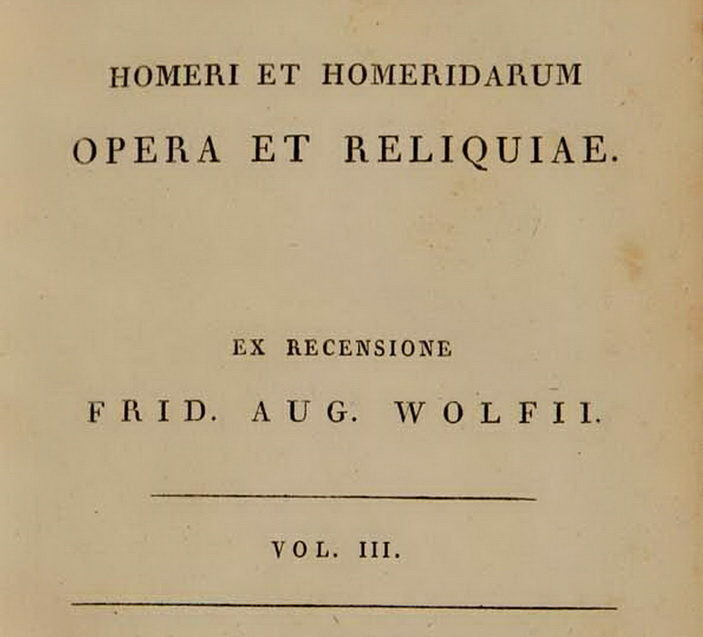 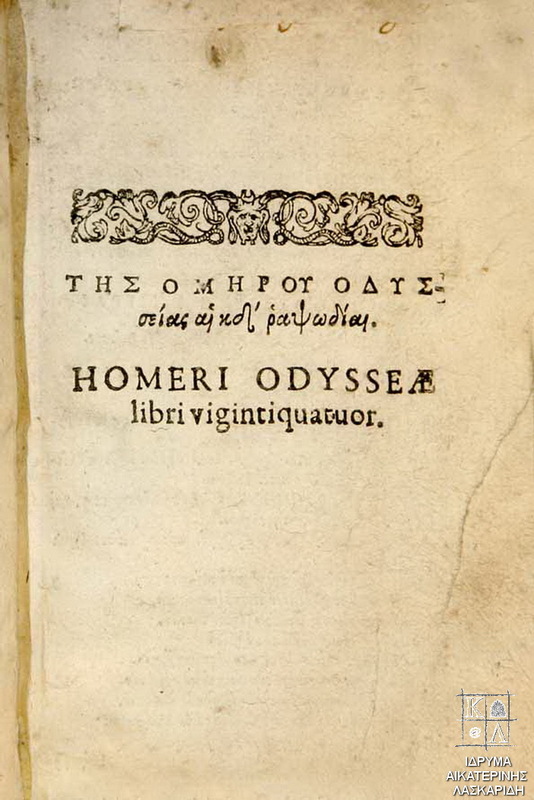 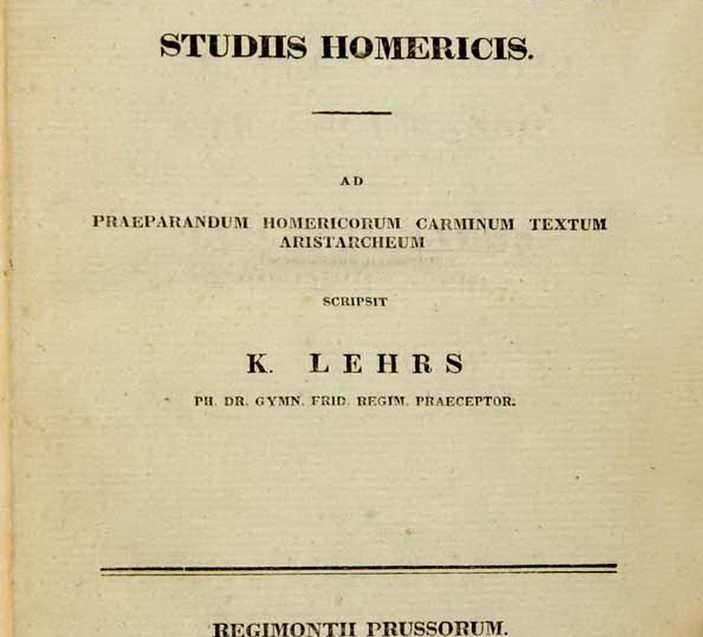 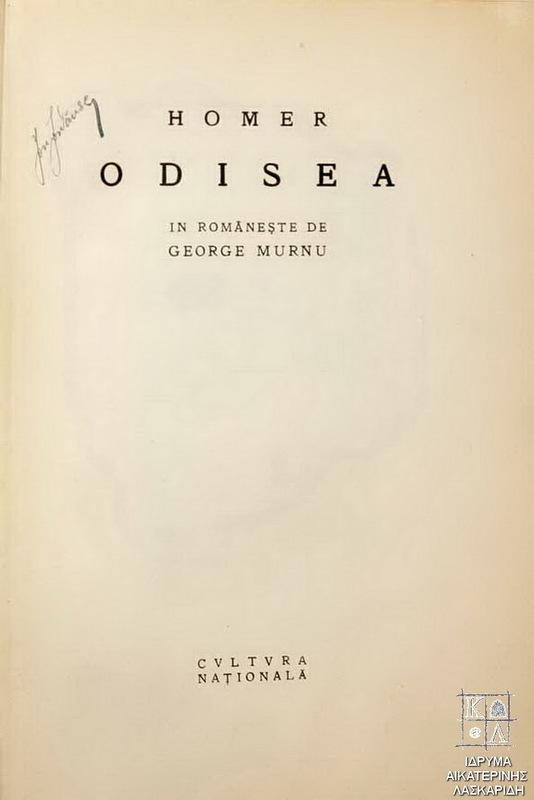 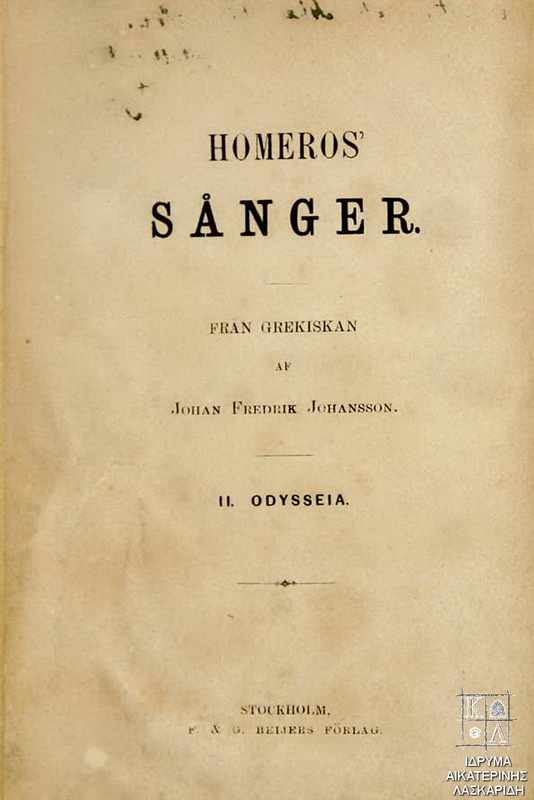 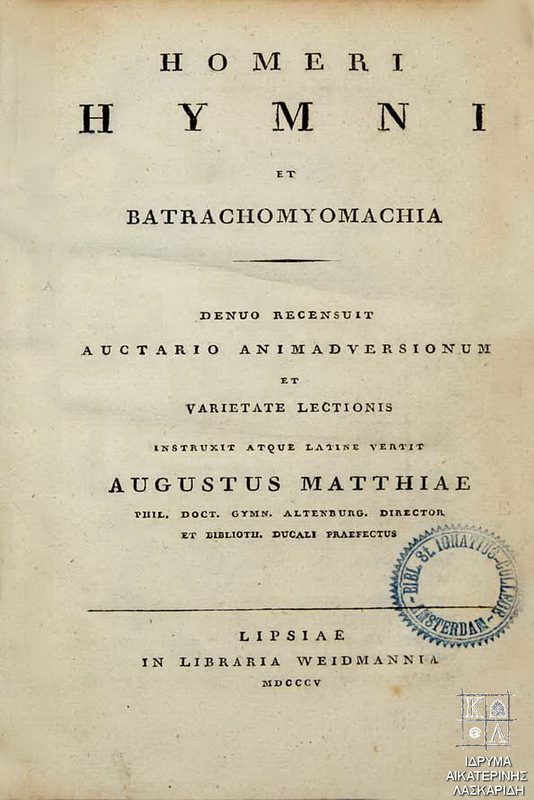 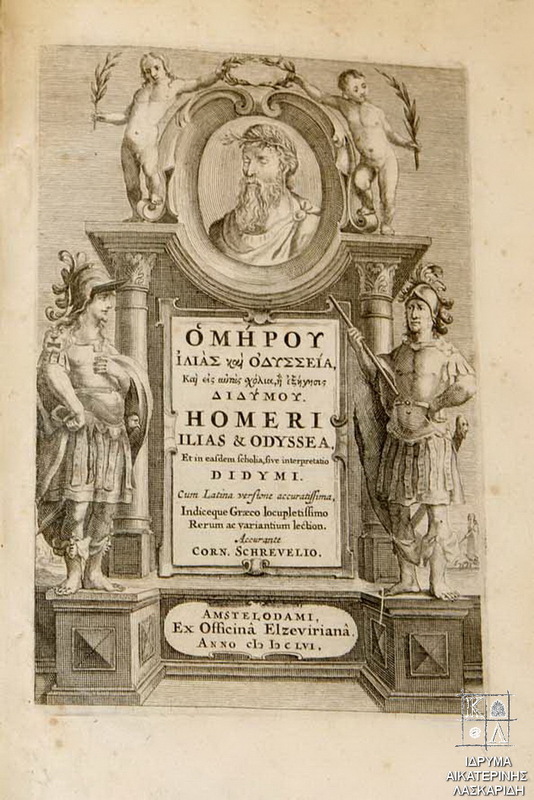 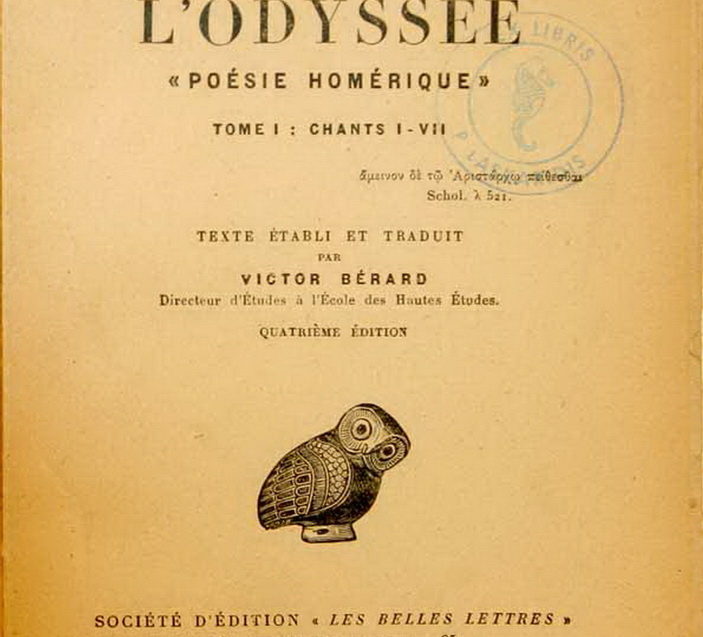 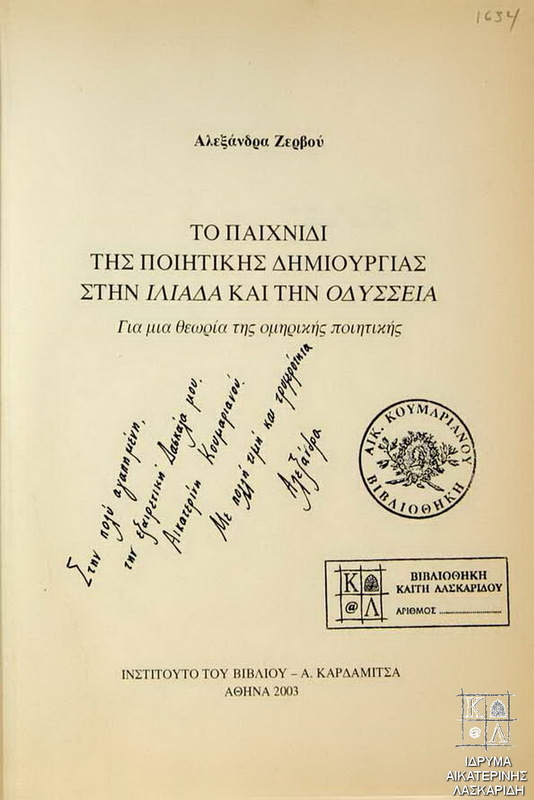 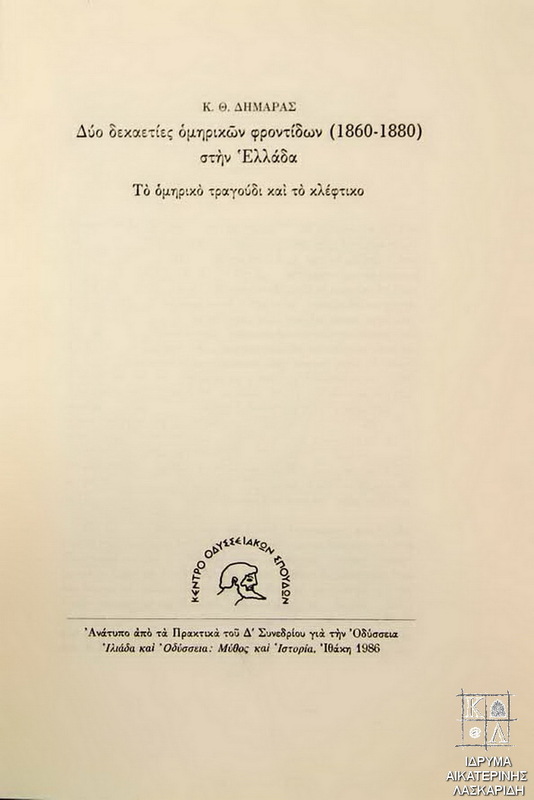 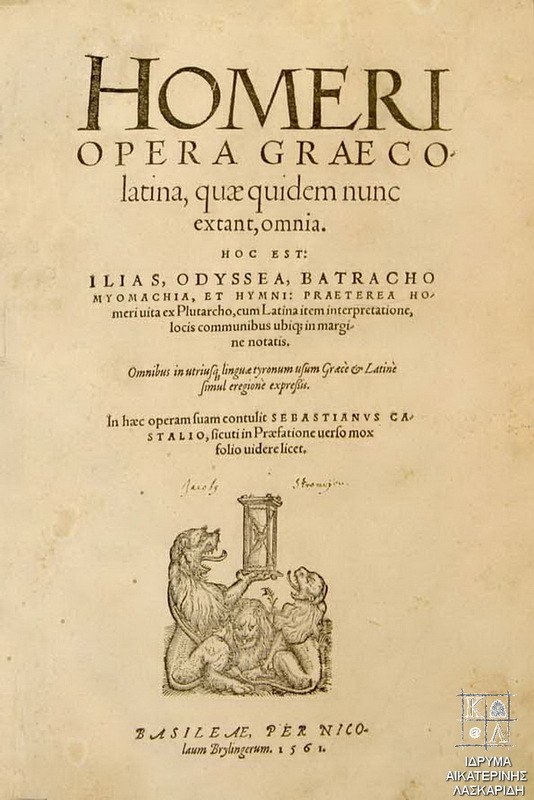 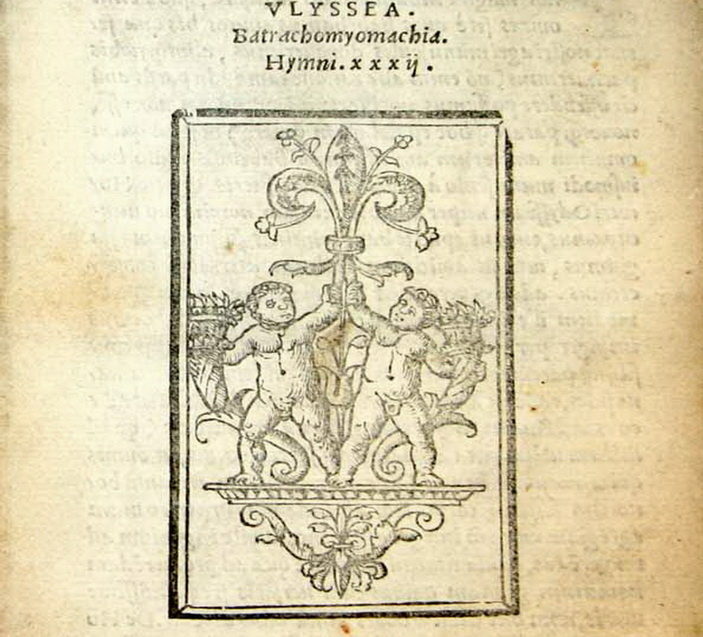 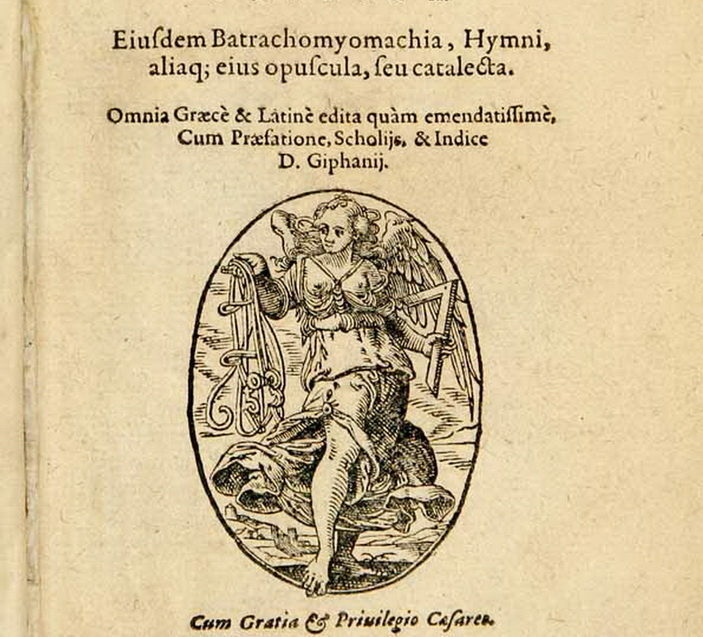 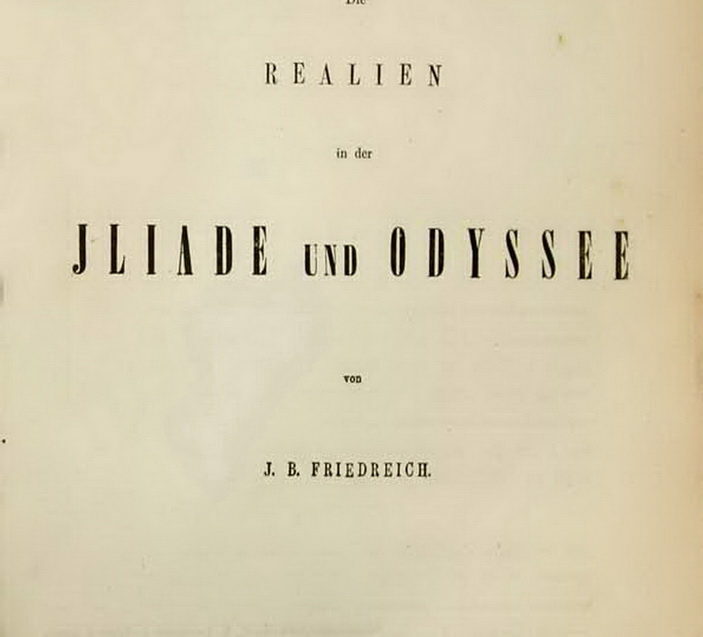 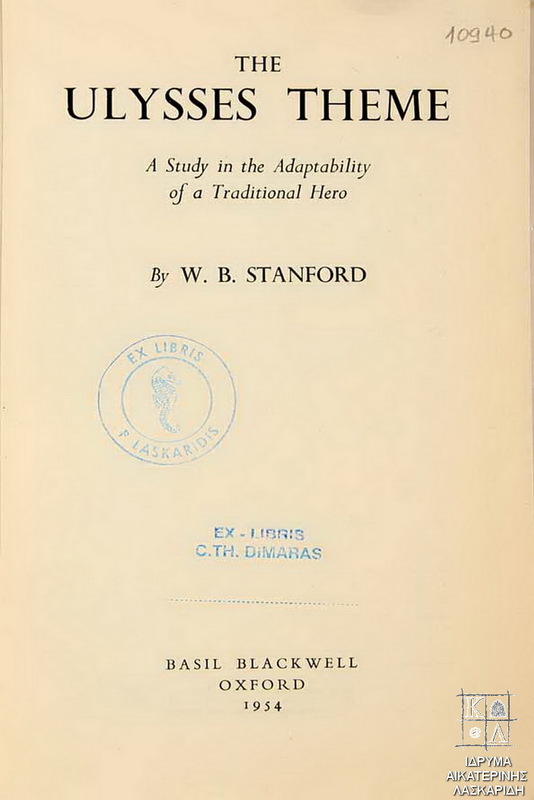 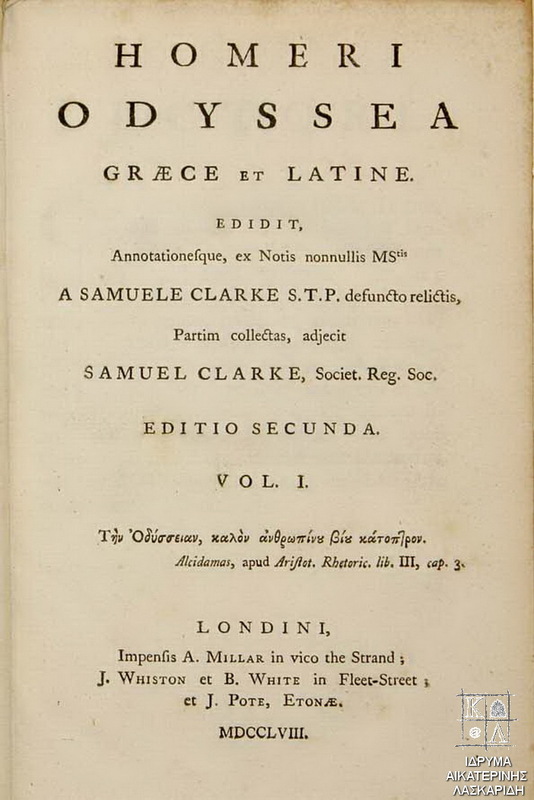 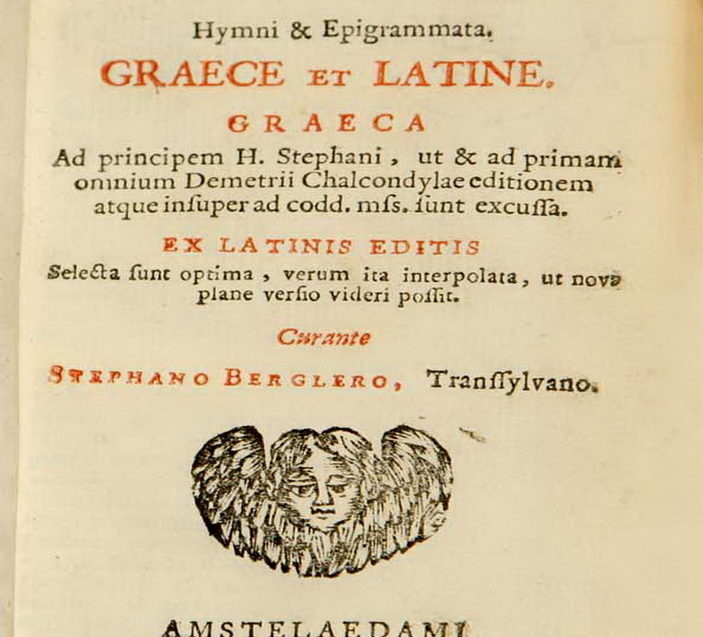 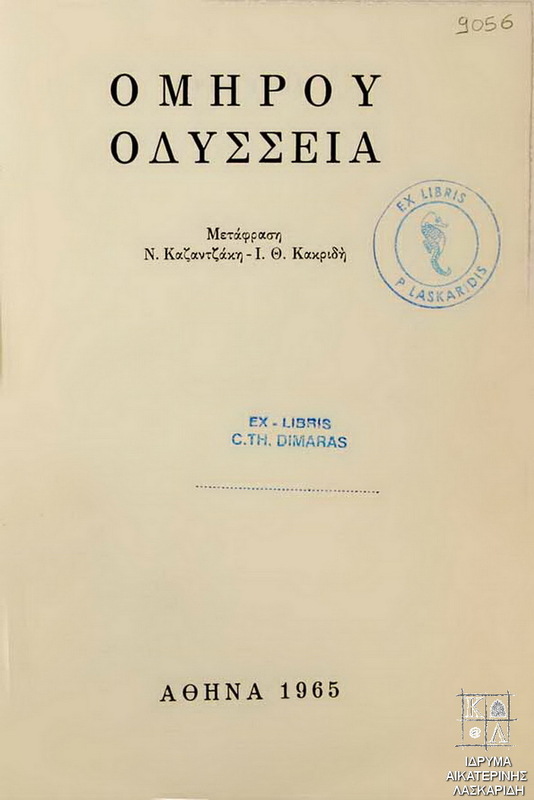 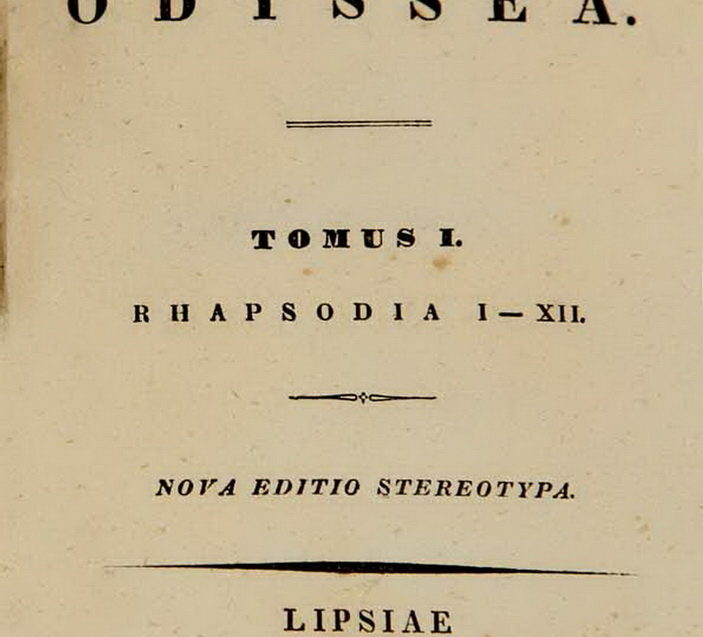 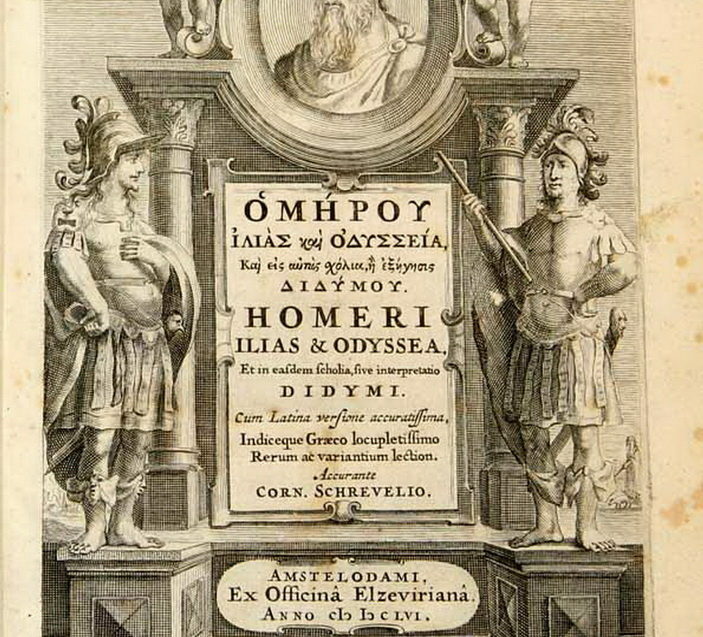 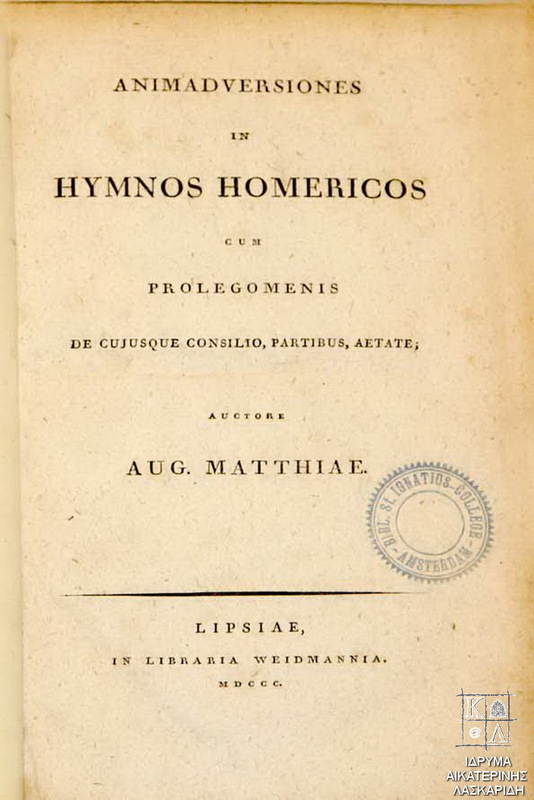 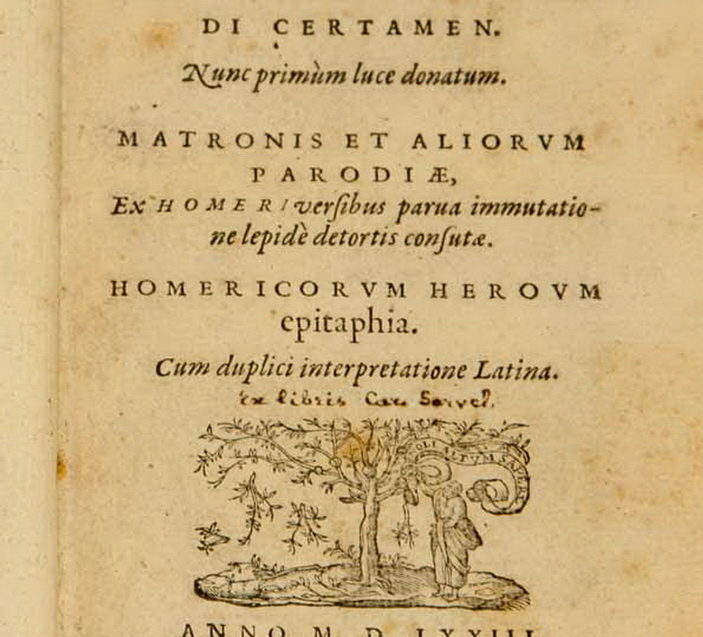 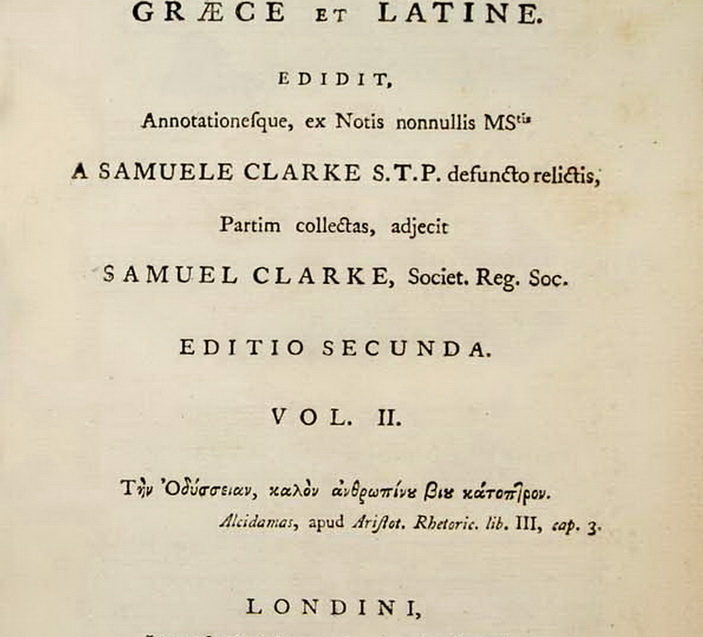 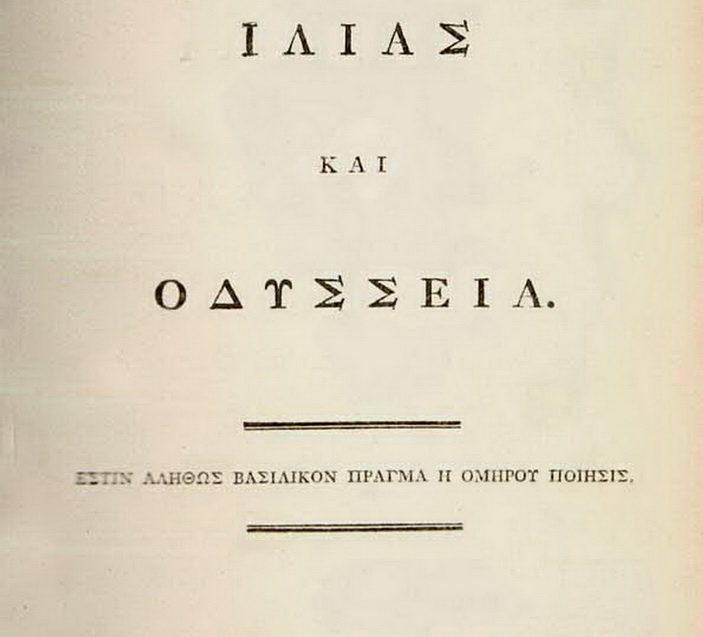 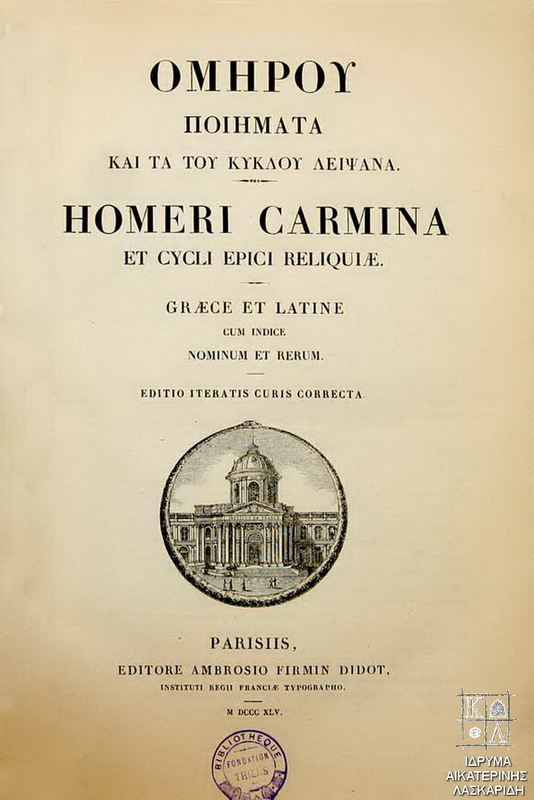 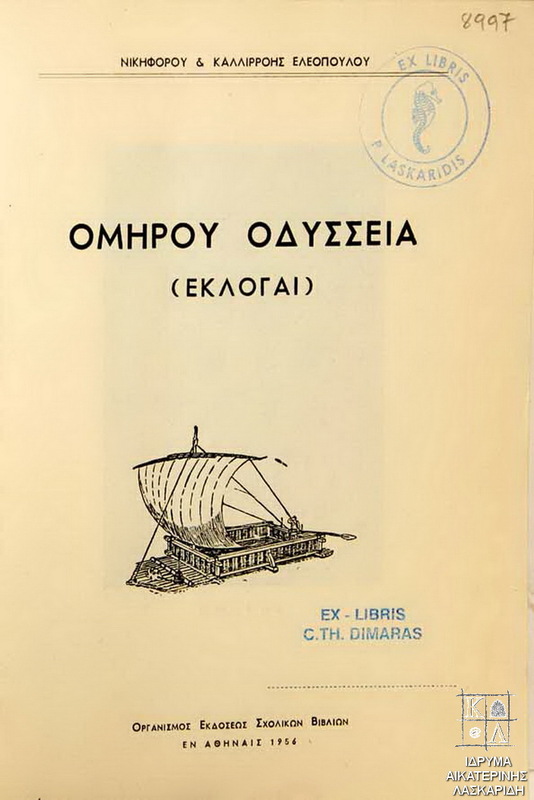 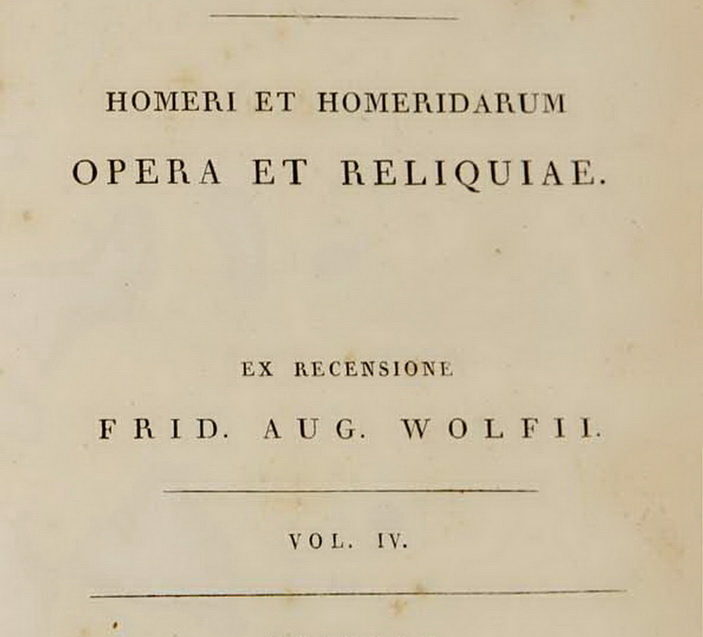 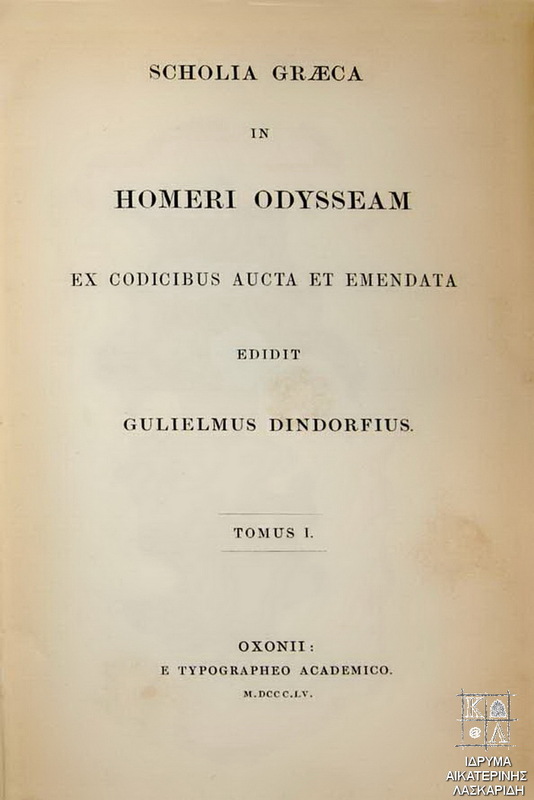 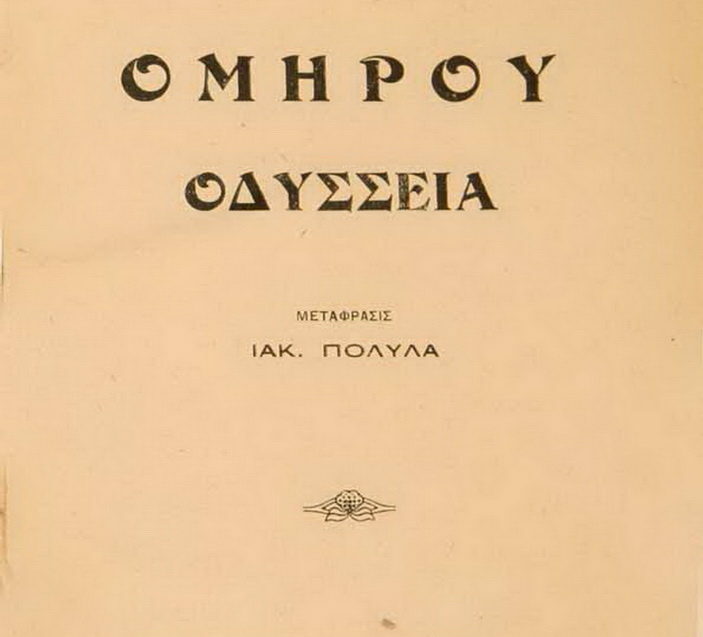 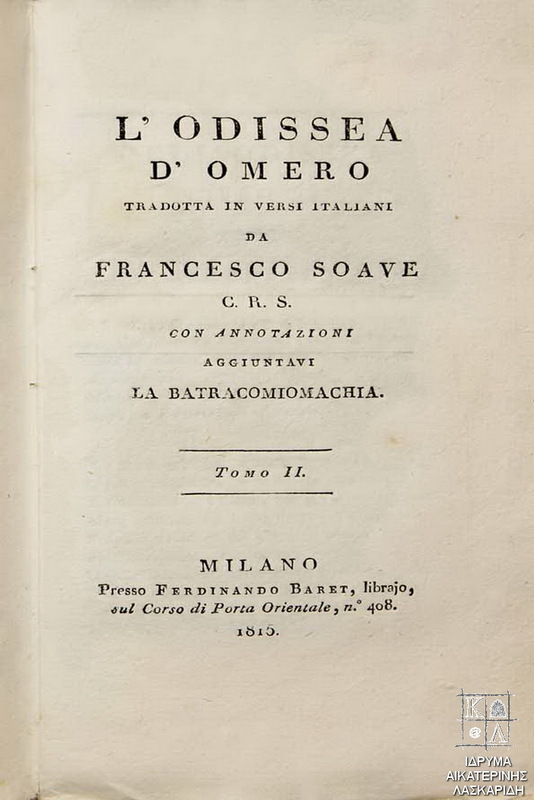 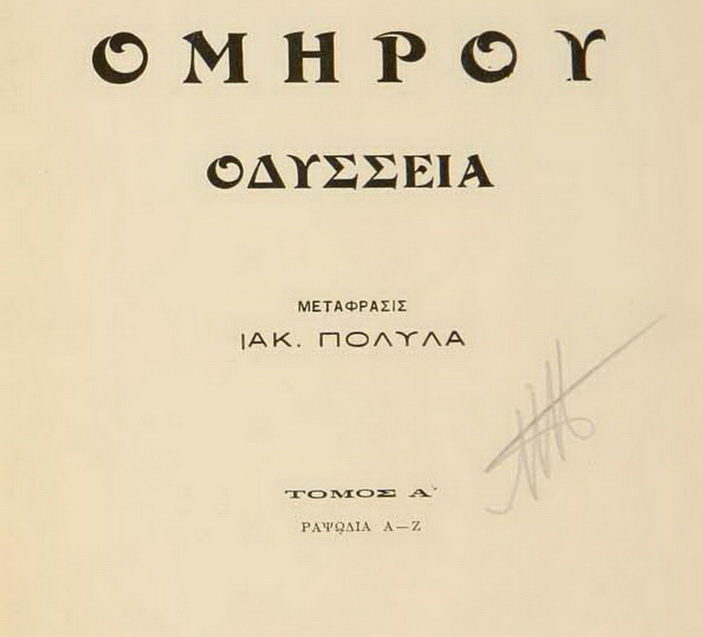 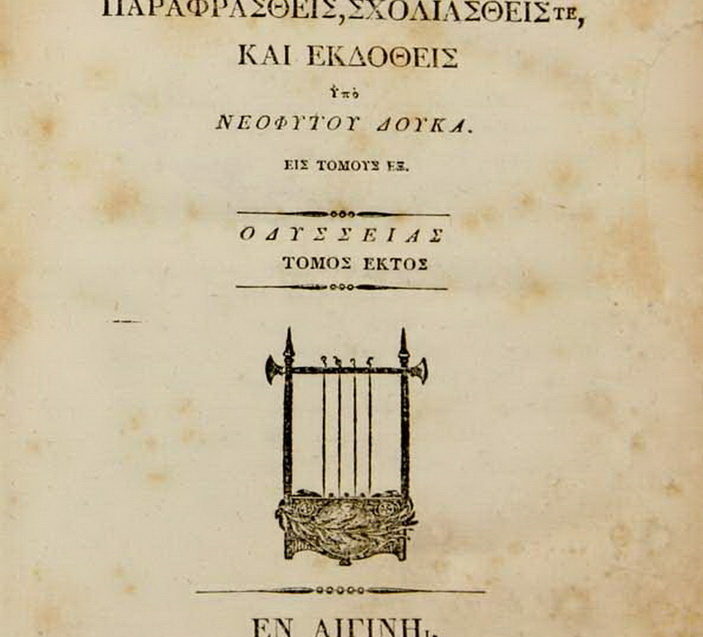 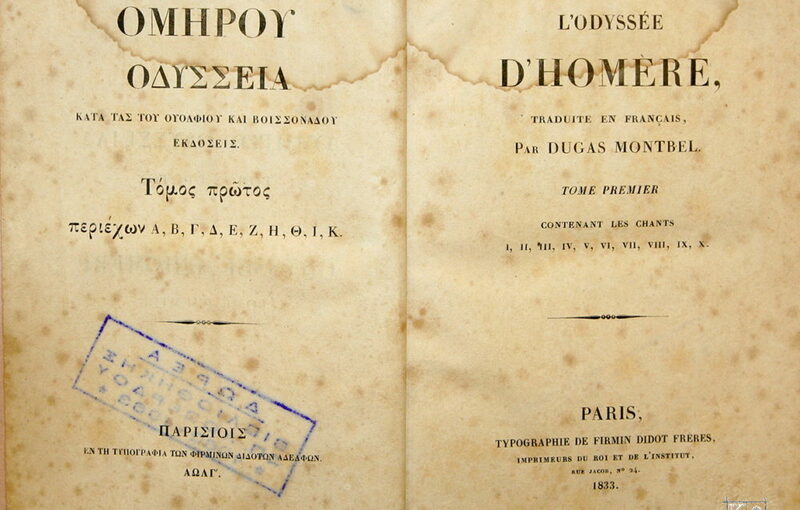 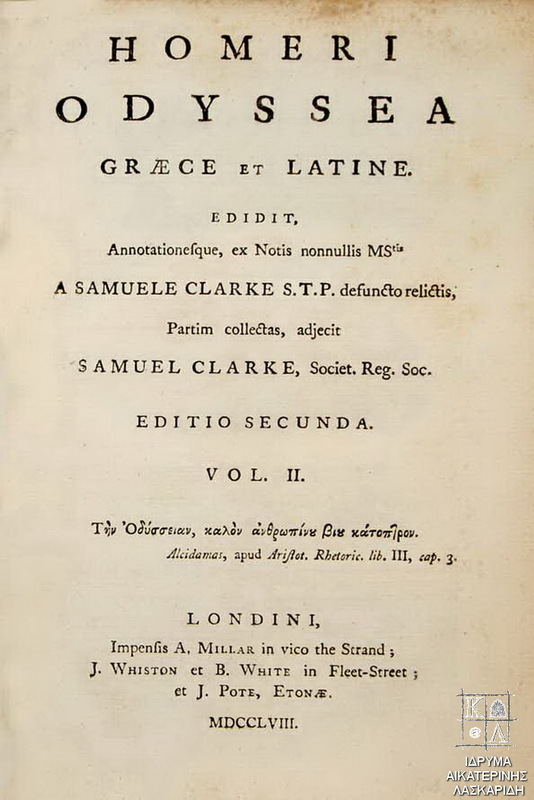 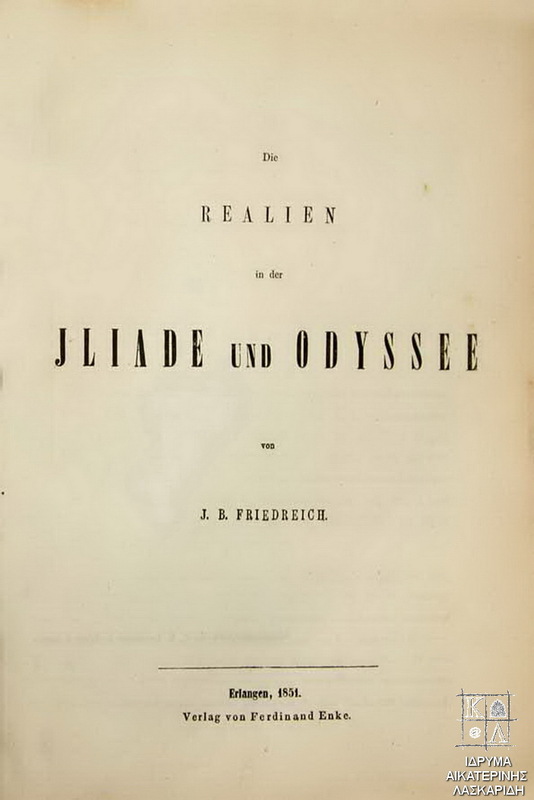 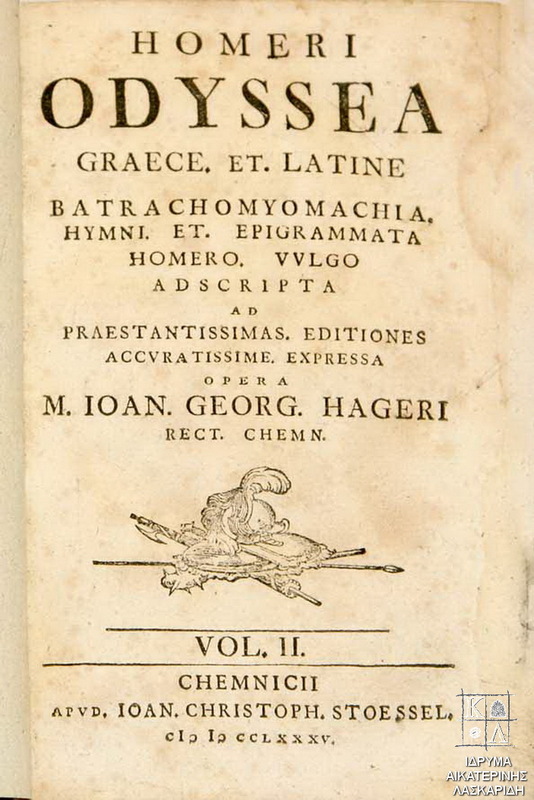 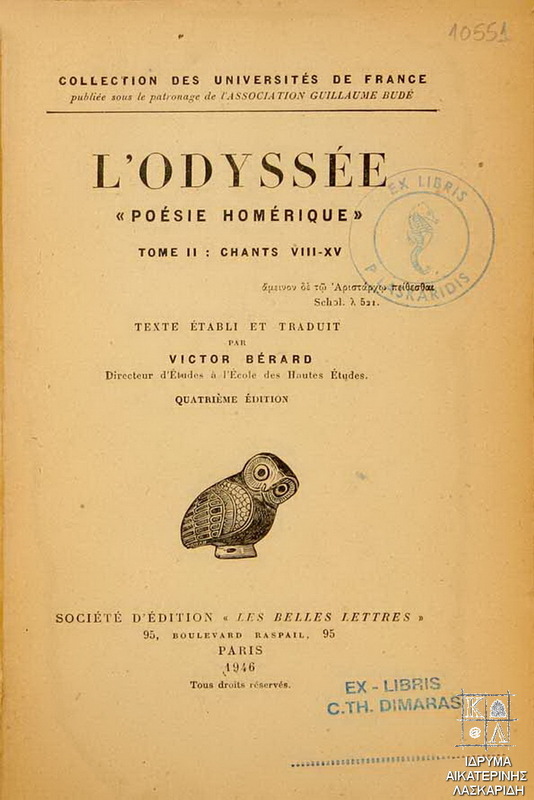 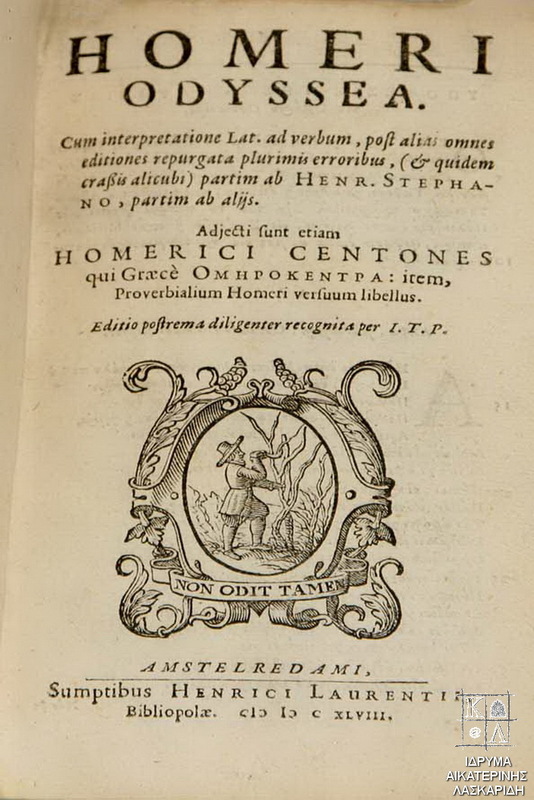 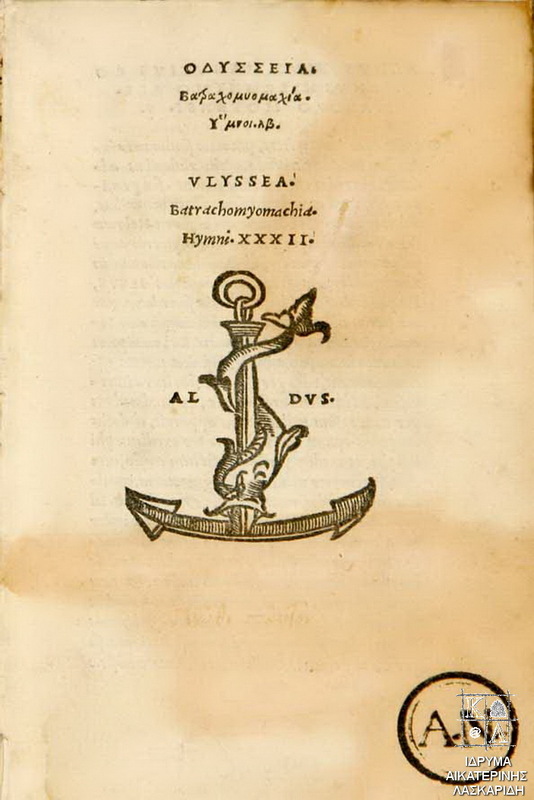 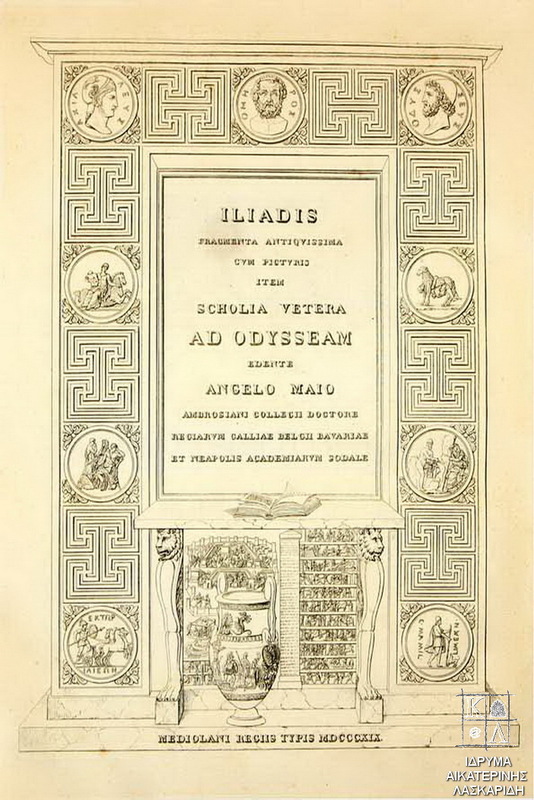 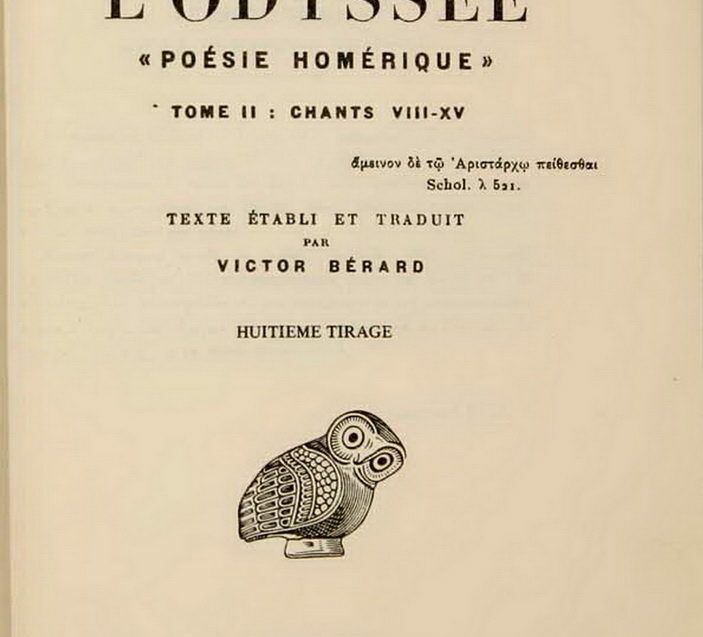 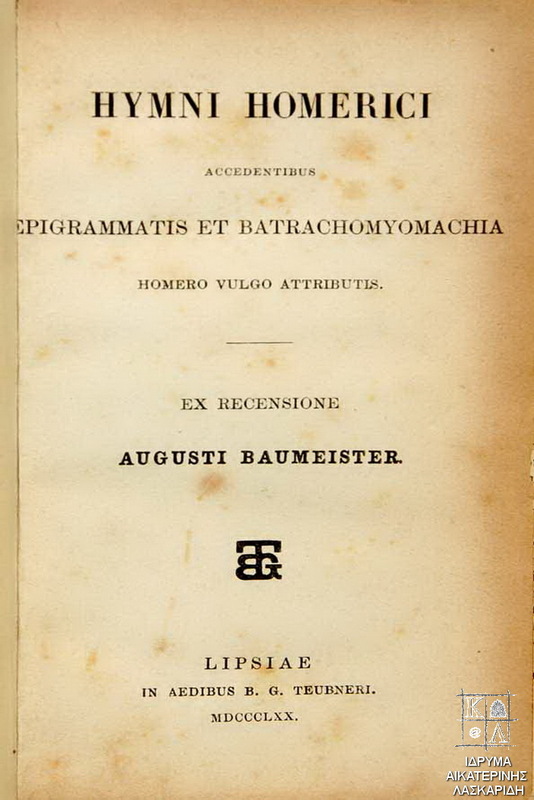 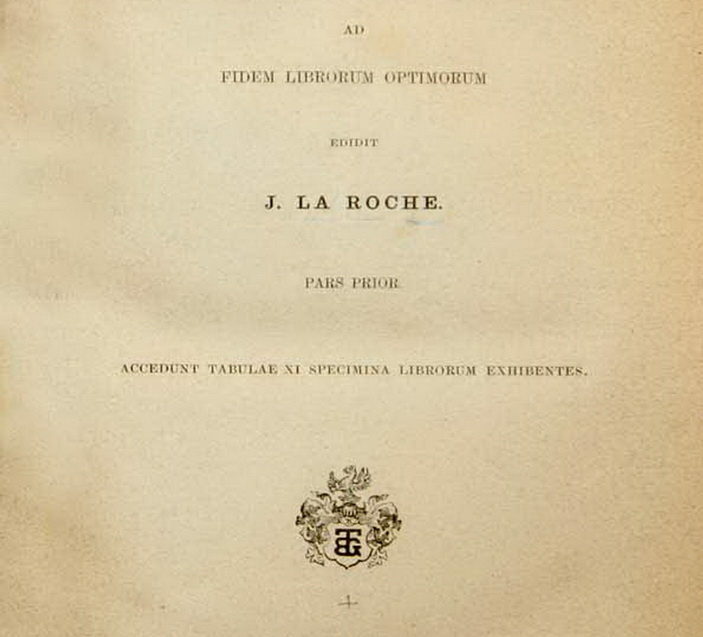 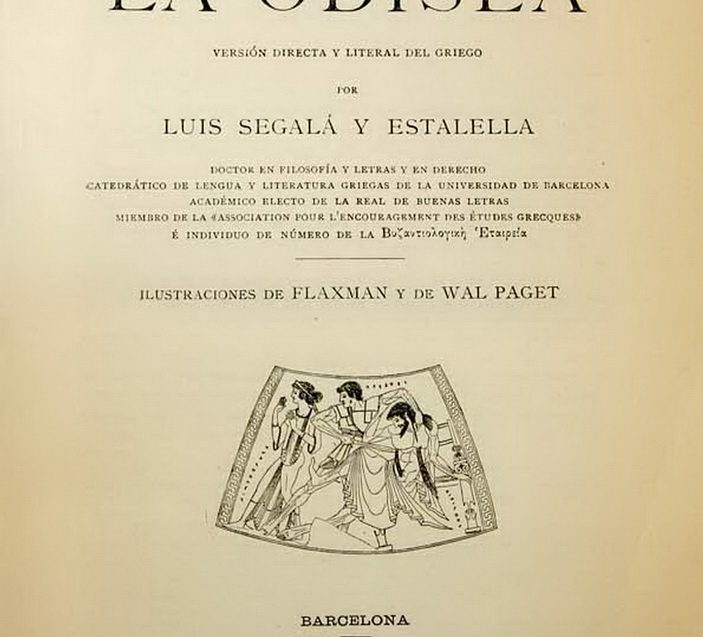 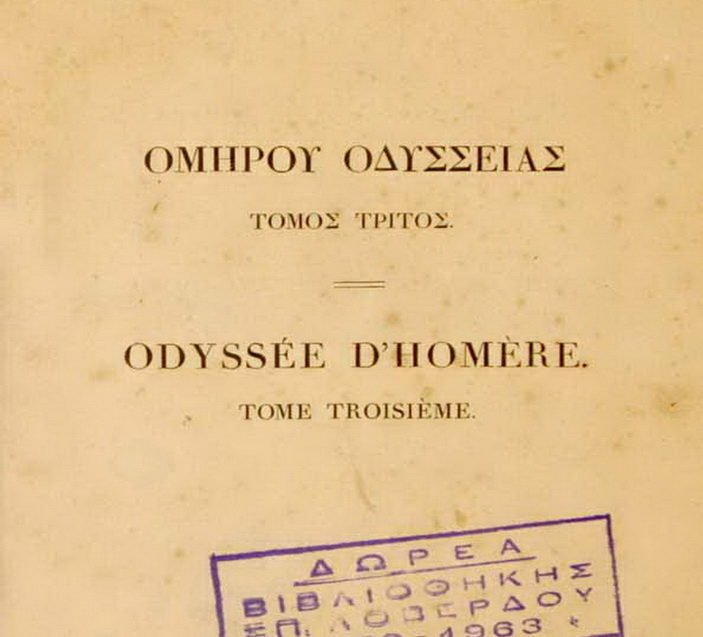 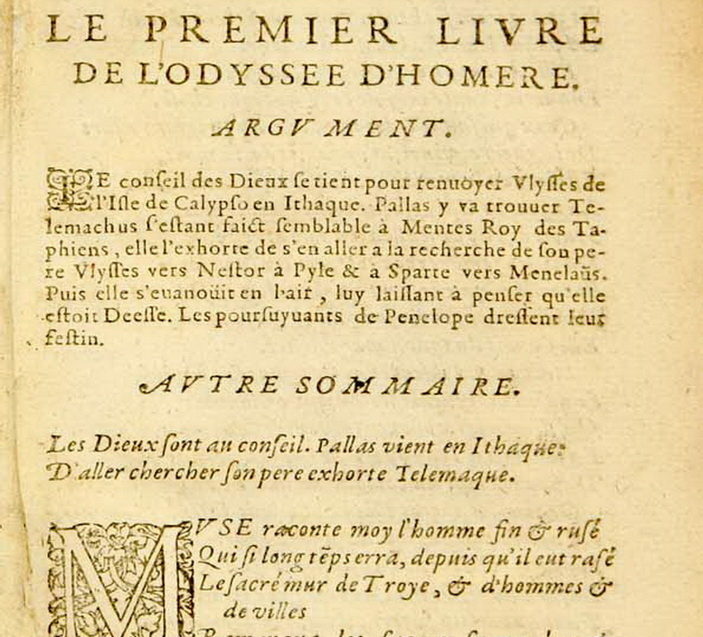 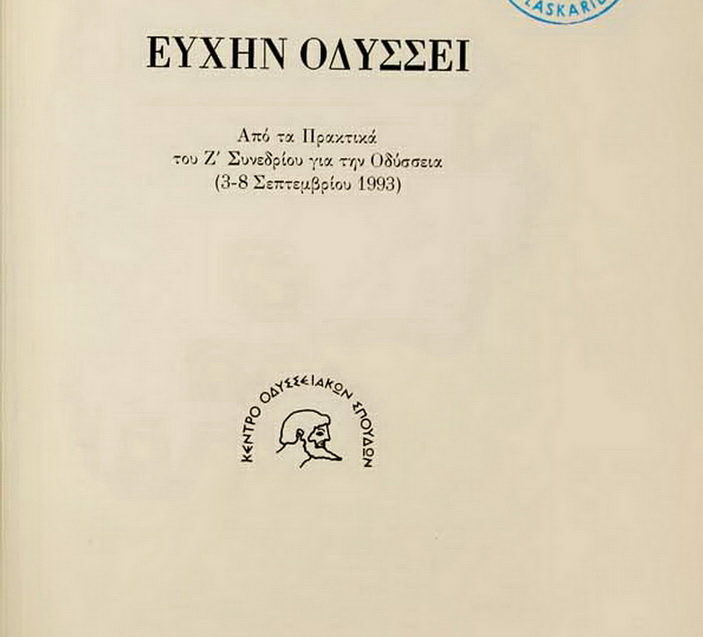 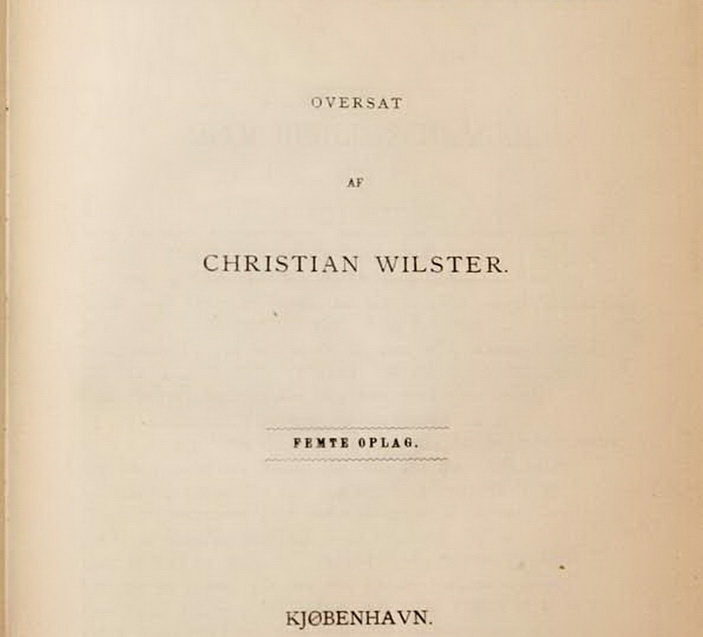 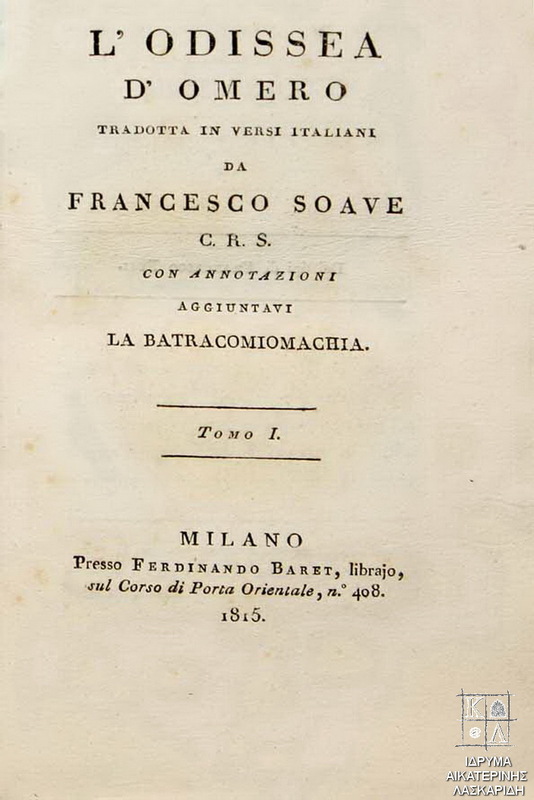 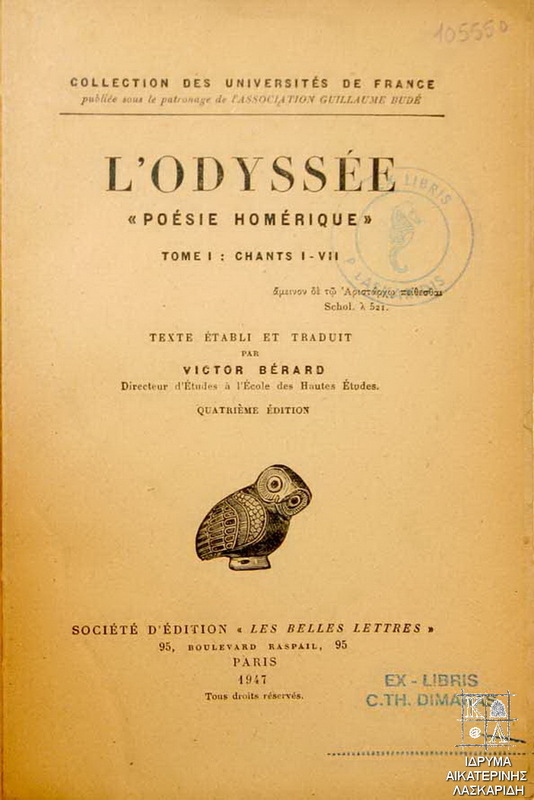 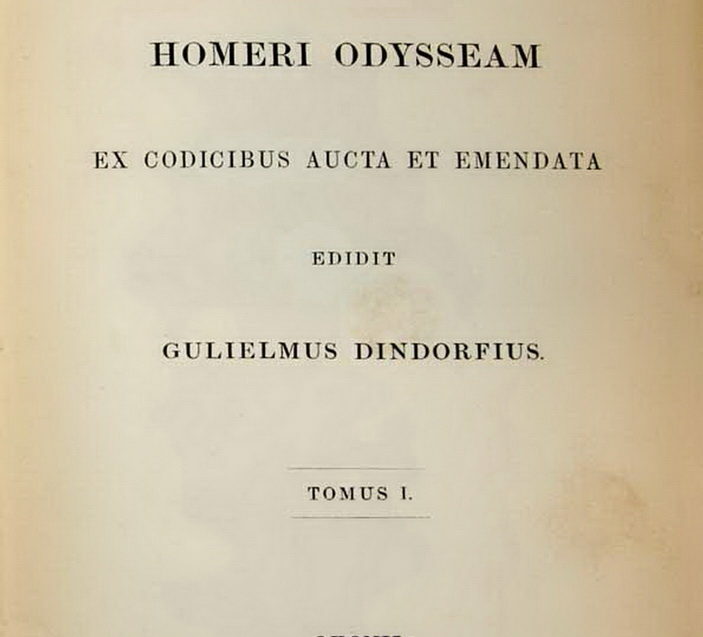 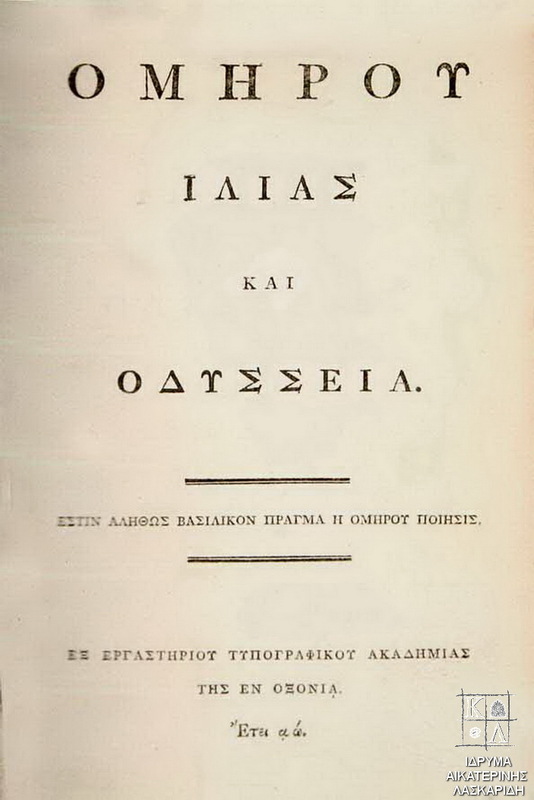 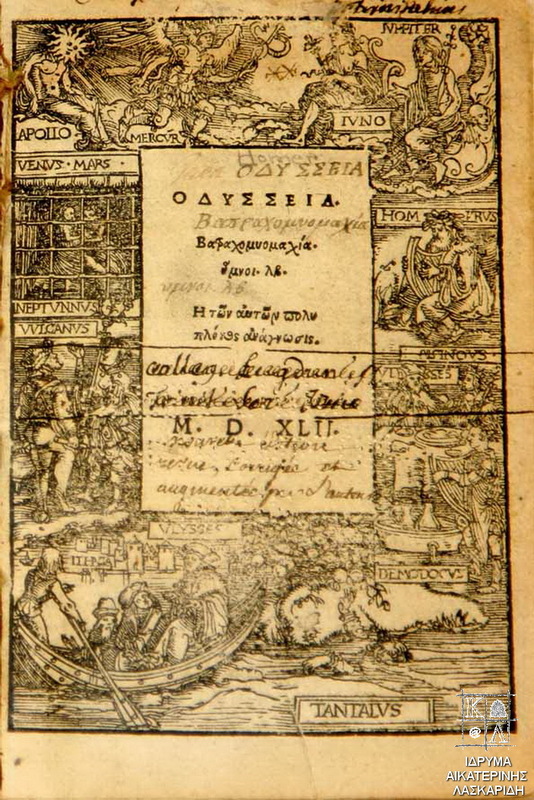 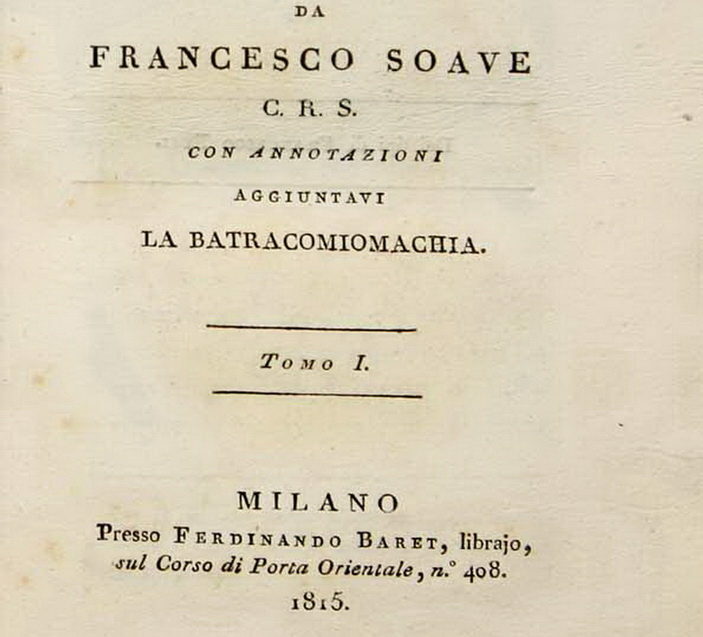 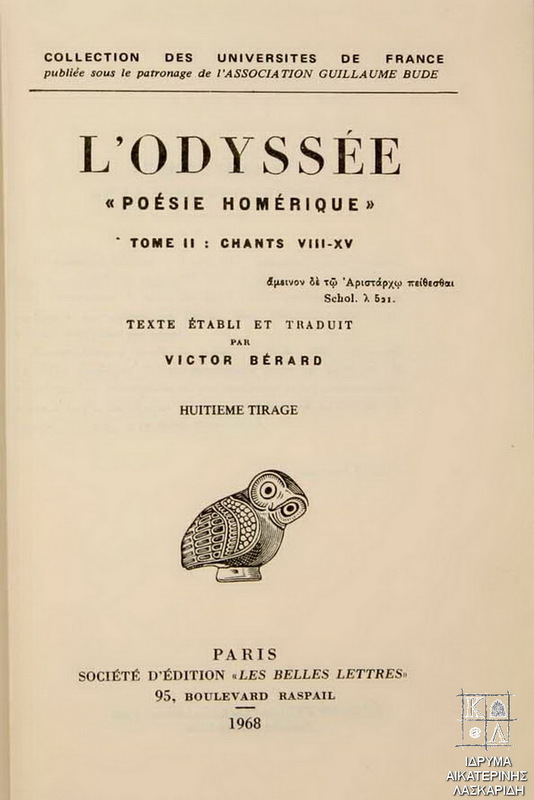 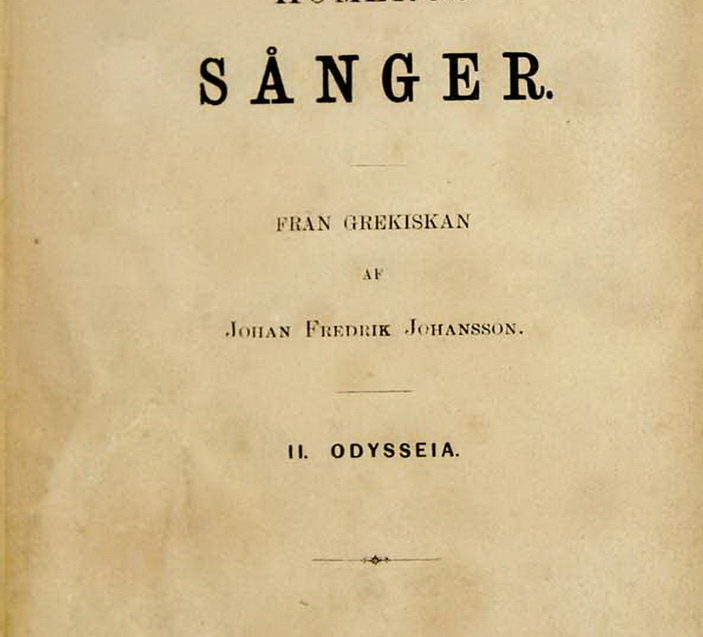 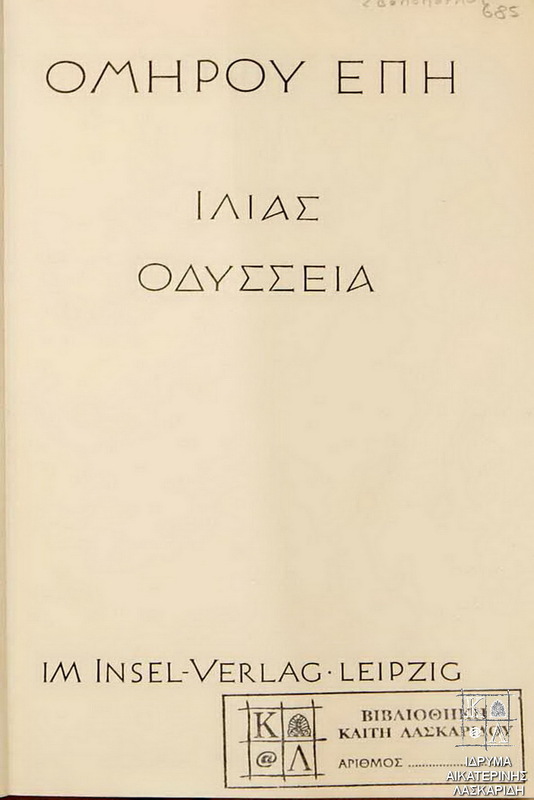 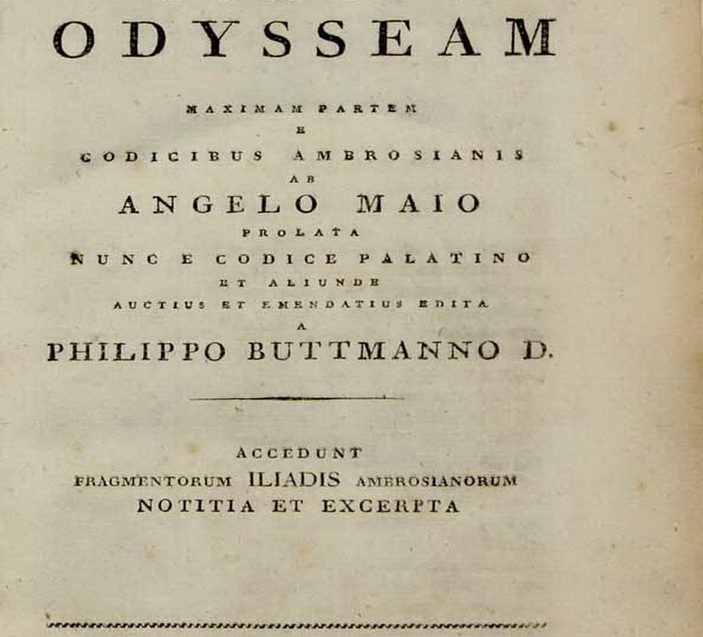 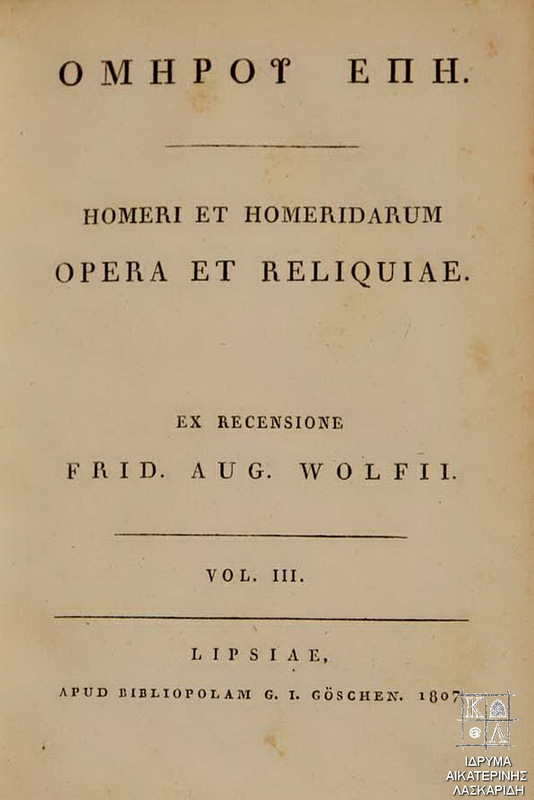 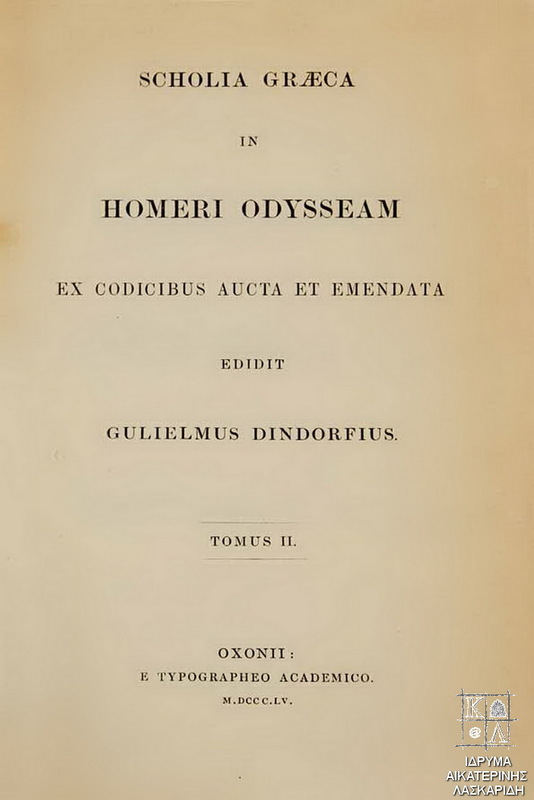 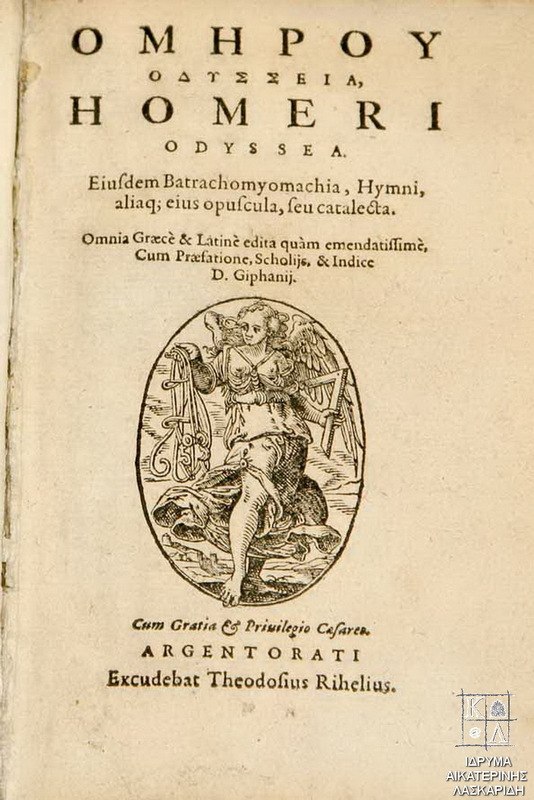 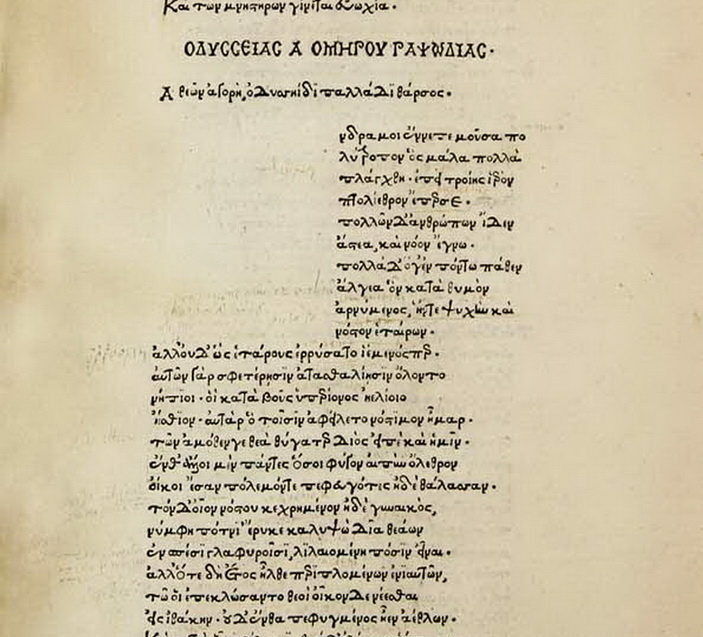 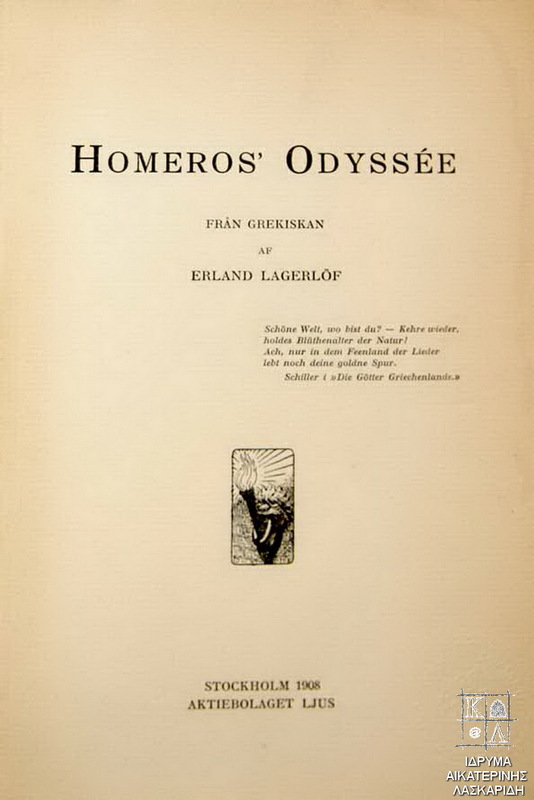 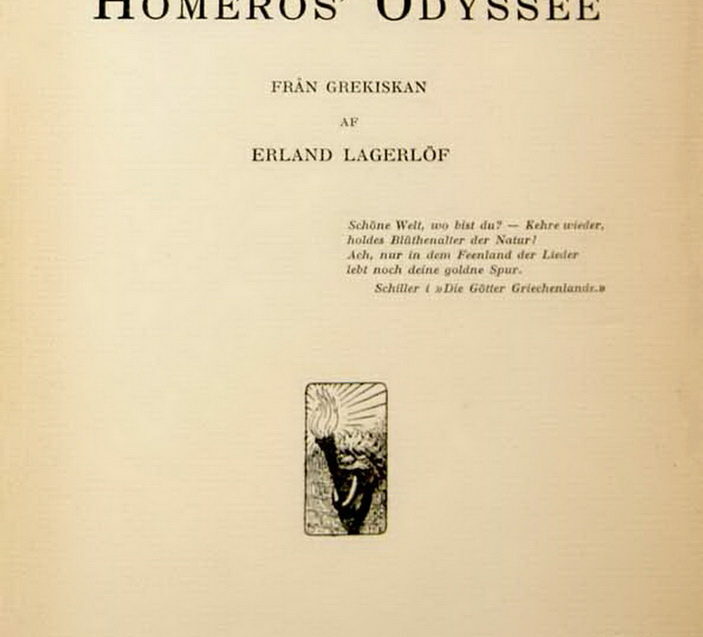 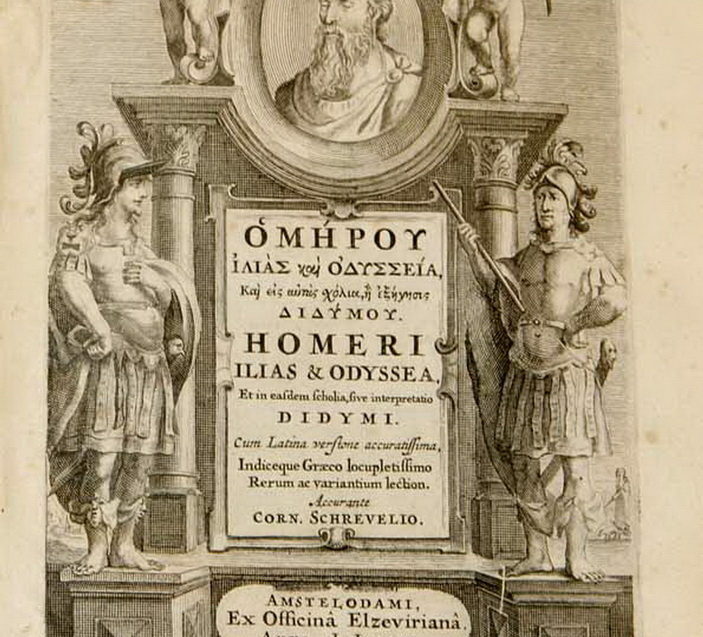 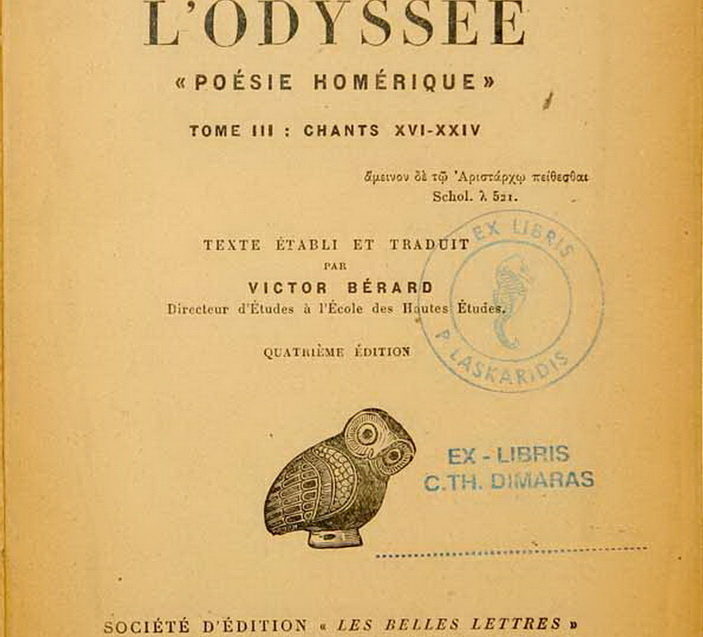 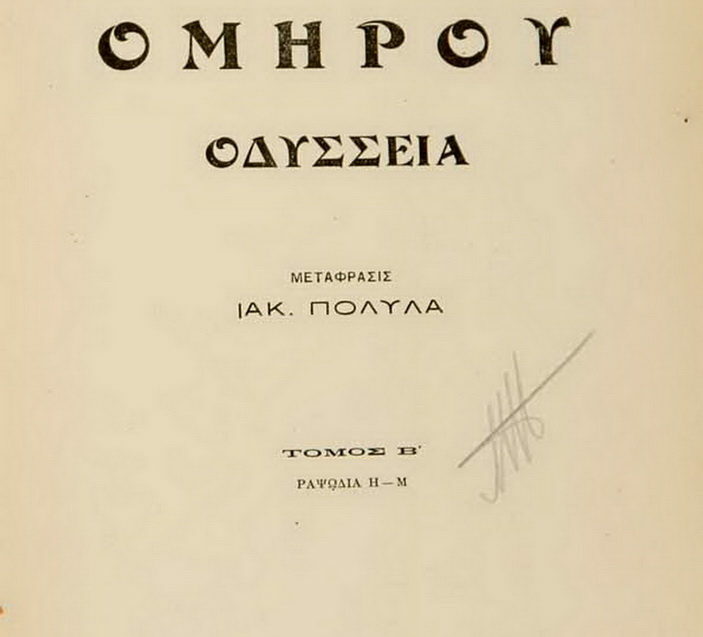 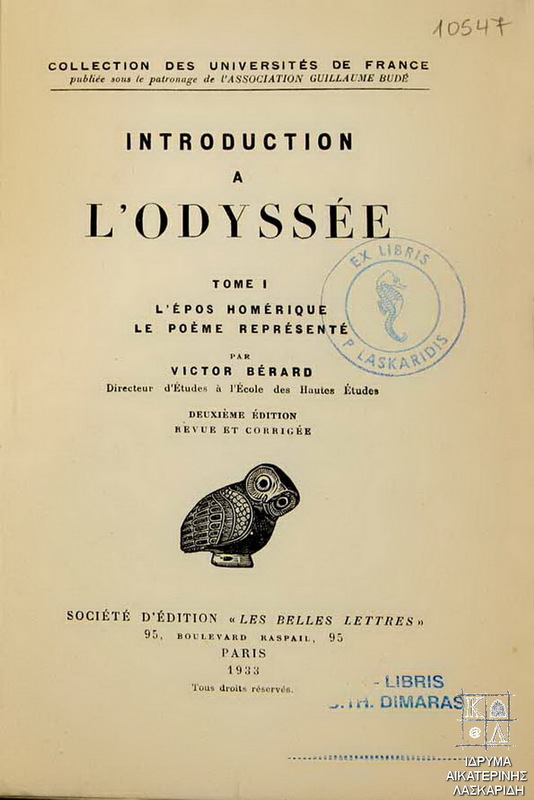 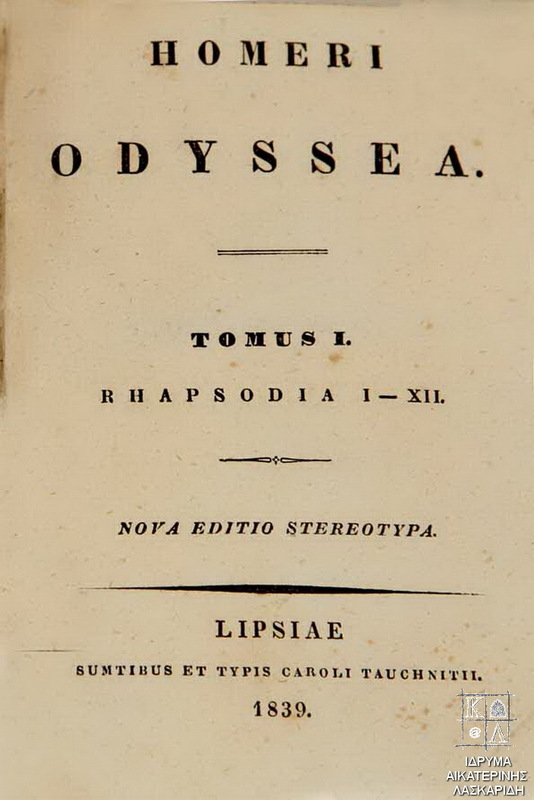 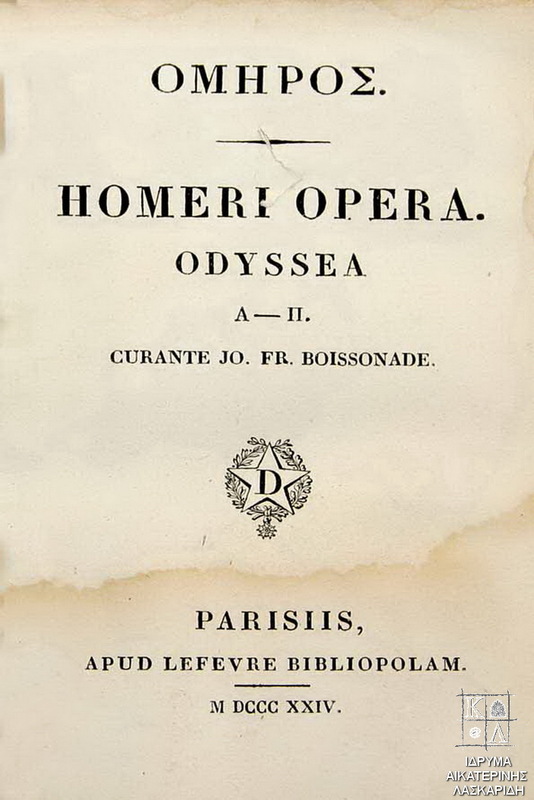 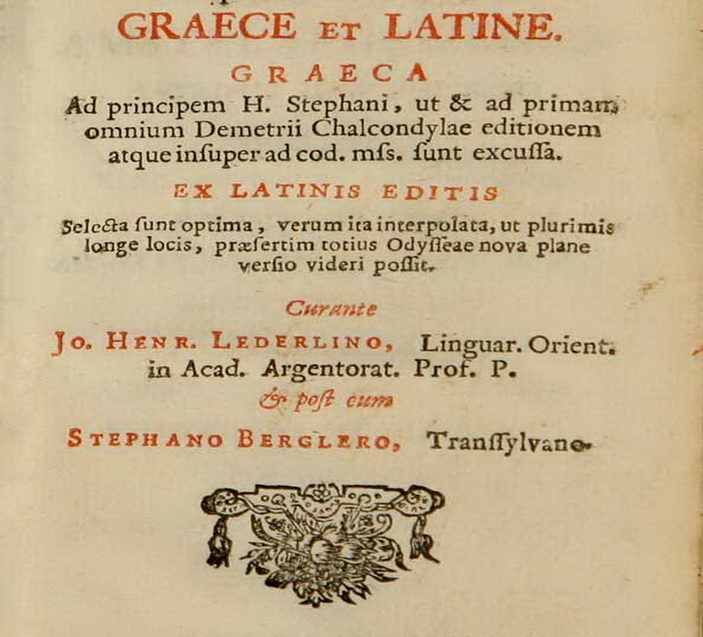 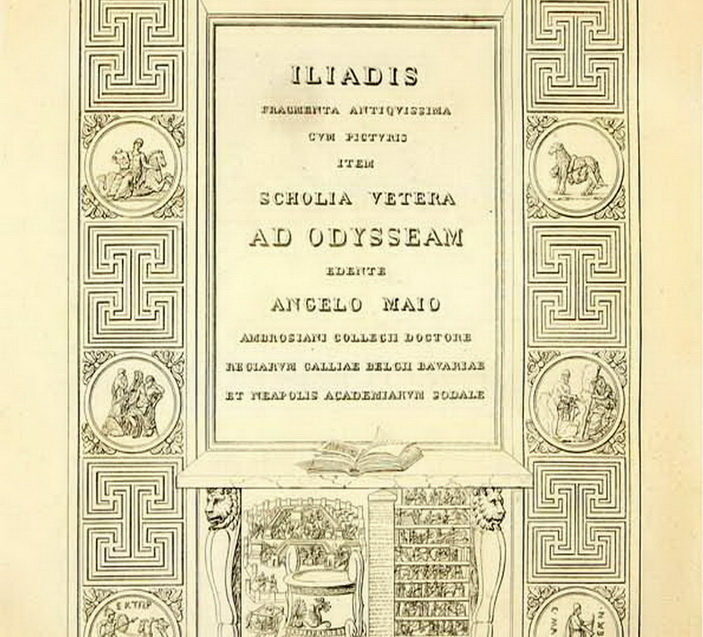 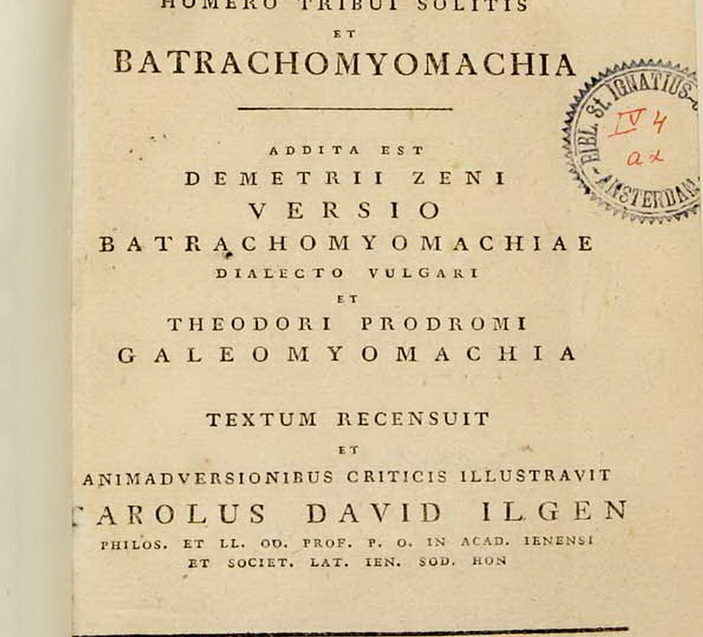 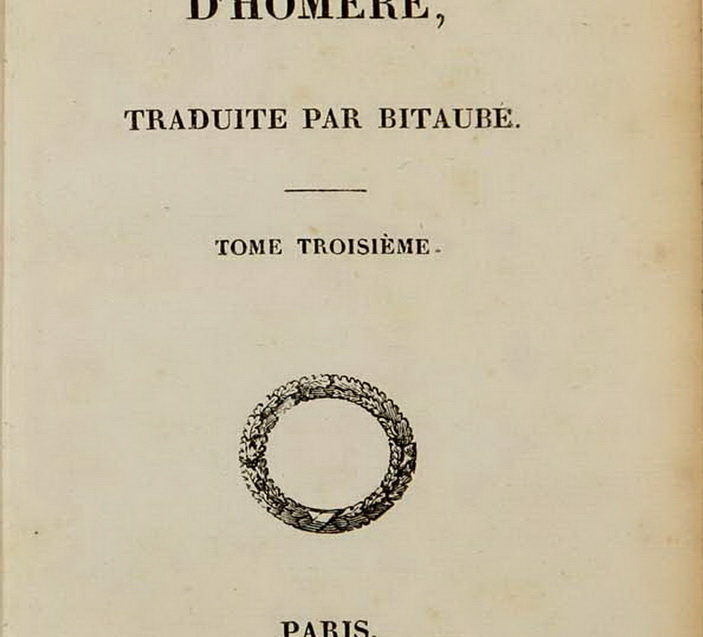 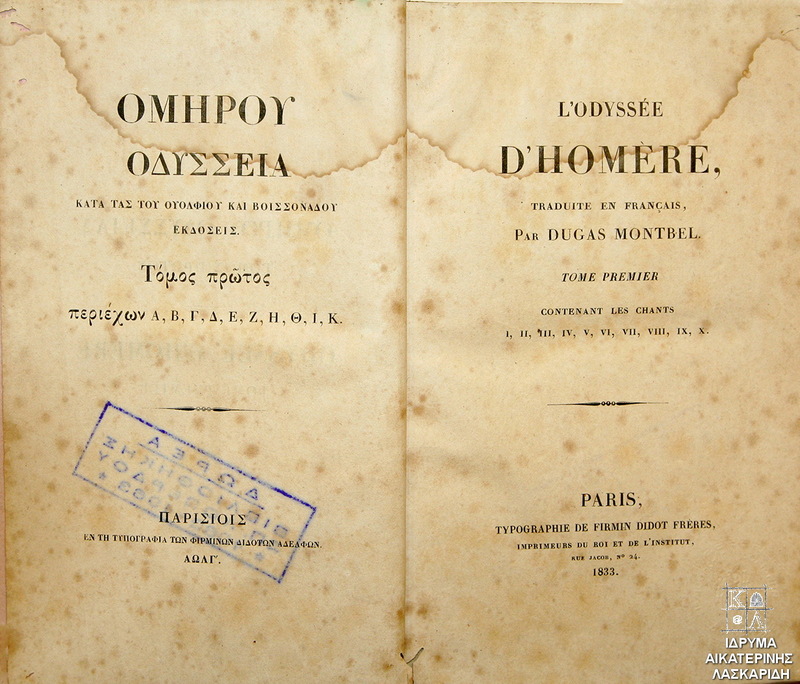 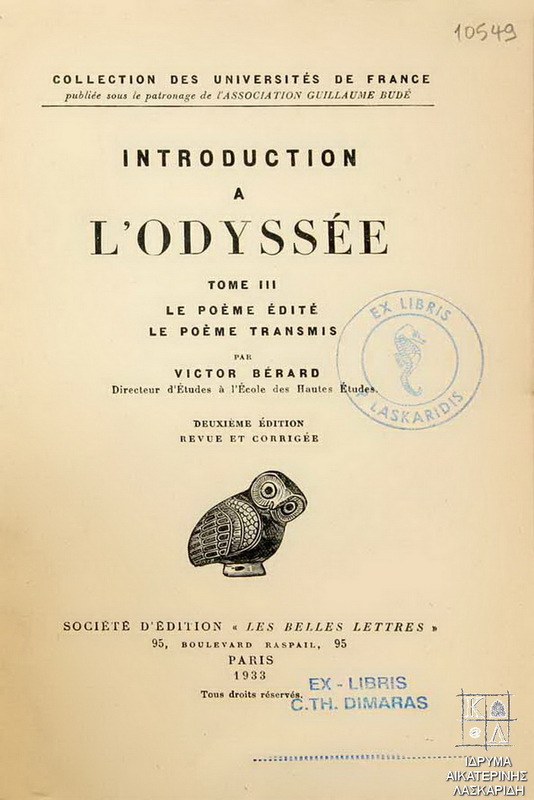 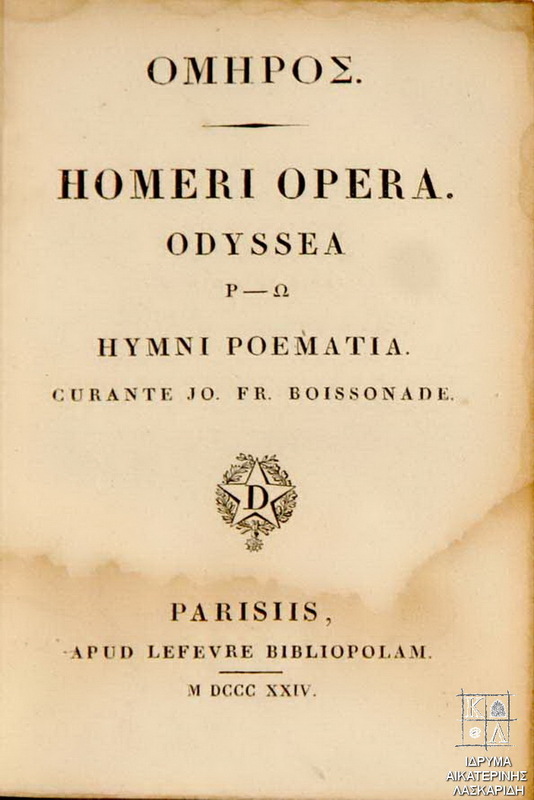 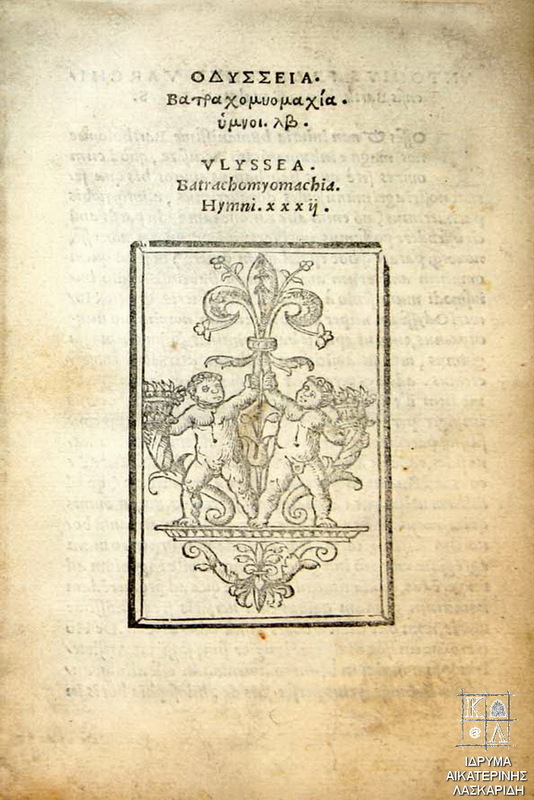 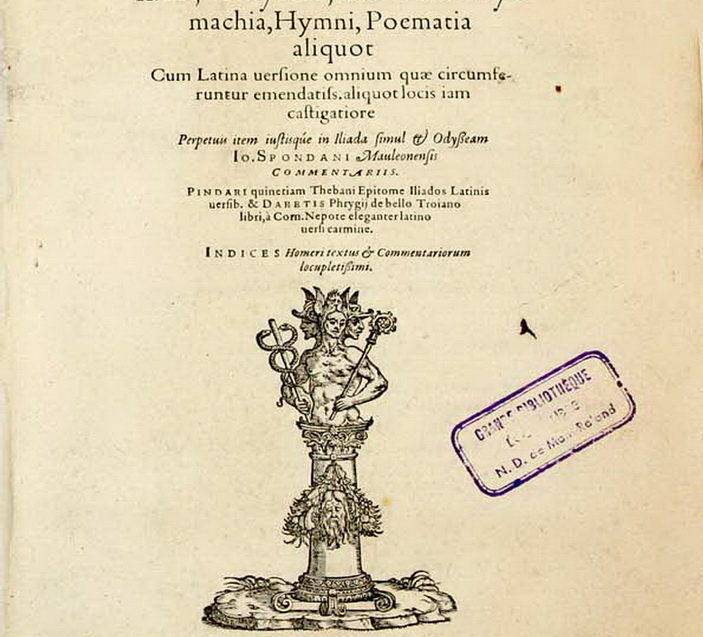 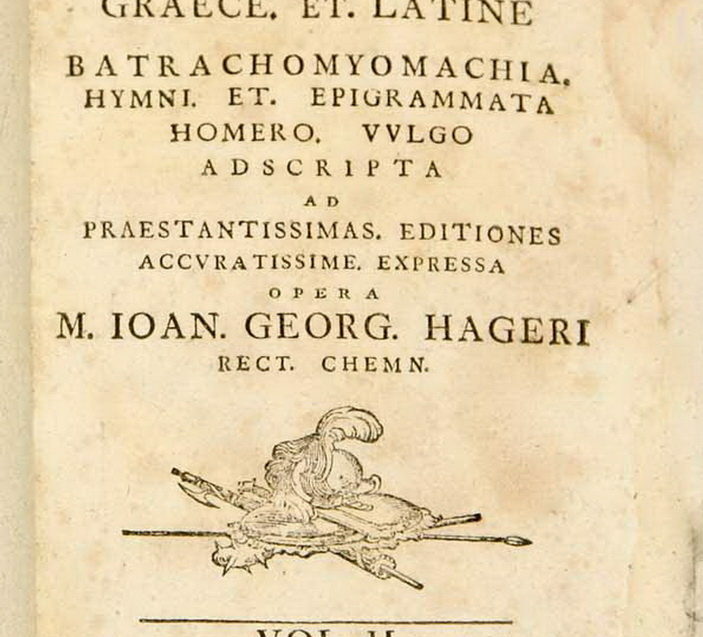 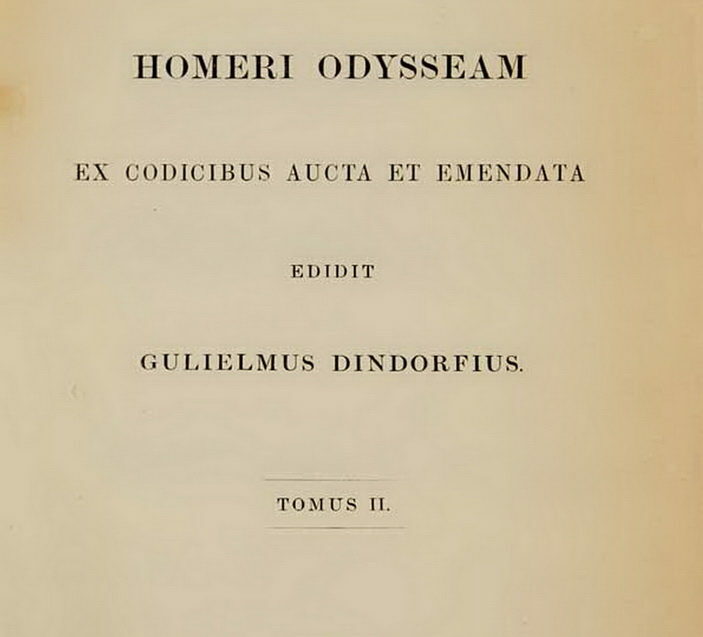 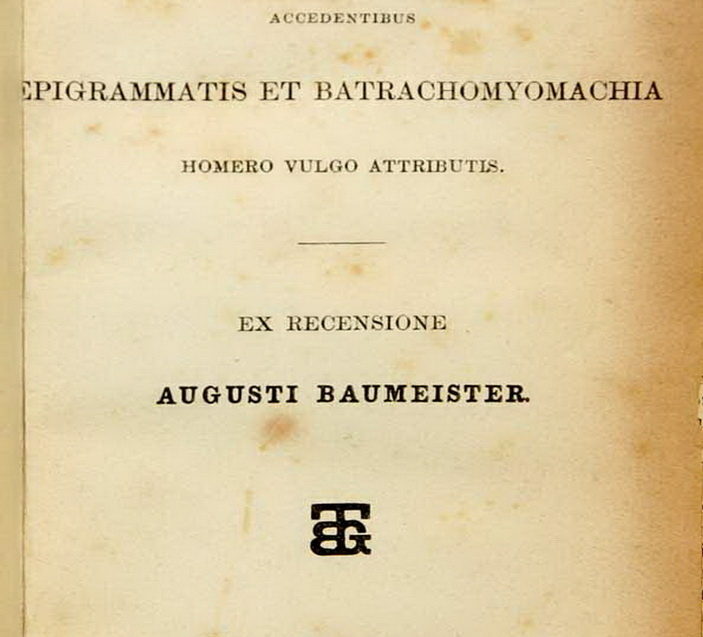 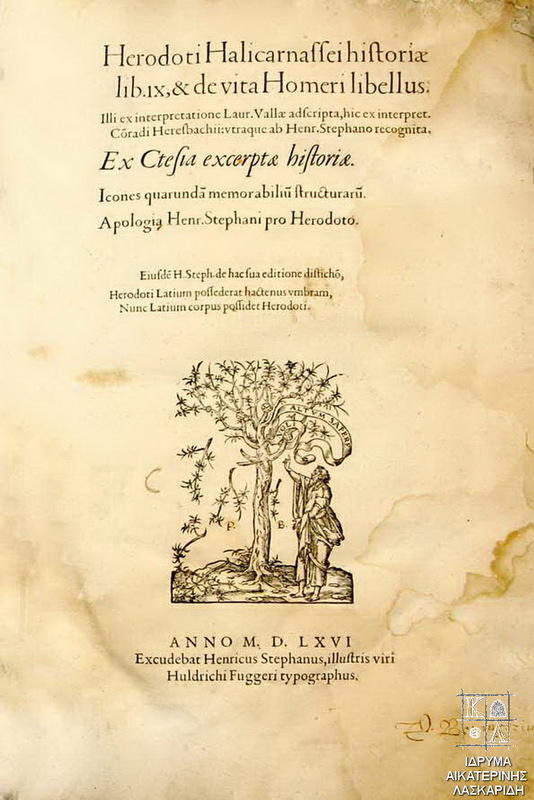 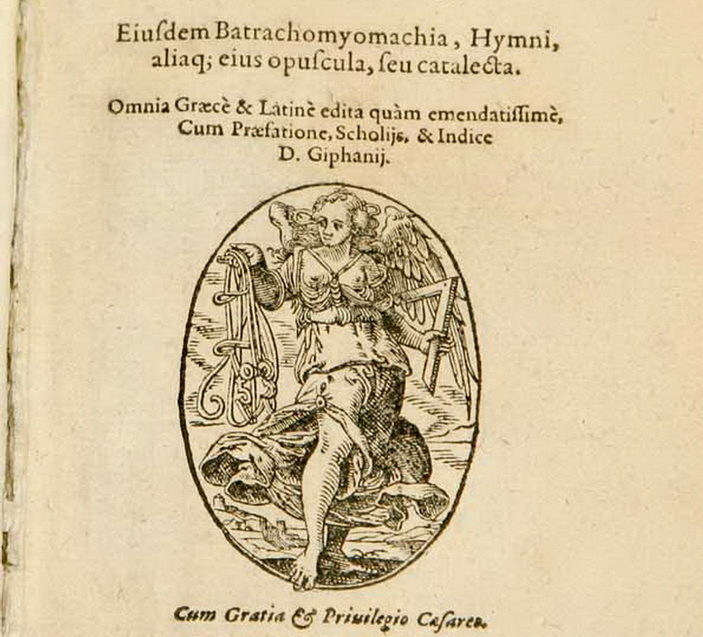 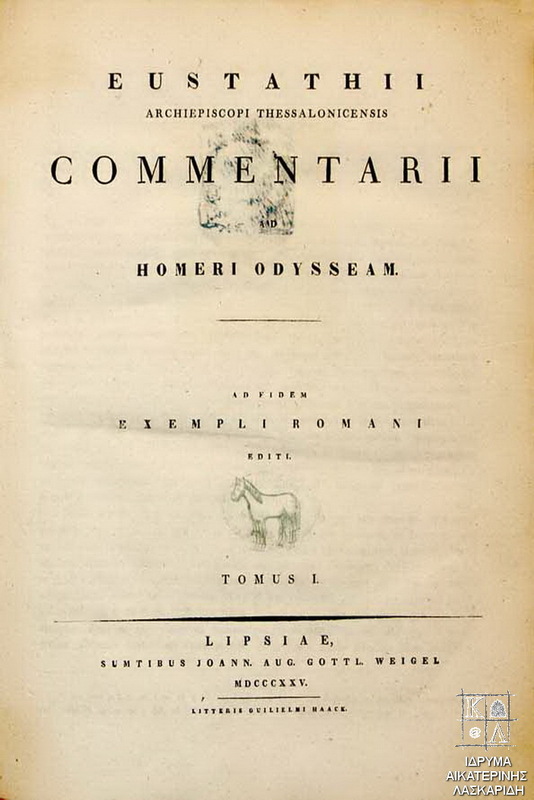 The Aikaterini Laskaridis Foundation hosted the exhibition of the translations of Homer’s Odyssey, in the 24 European Union Languages and 130 rare editions of the Odyssey from the Foundation’s Historical Library. 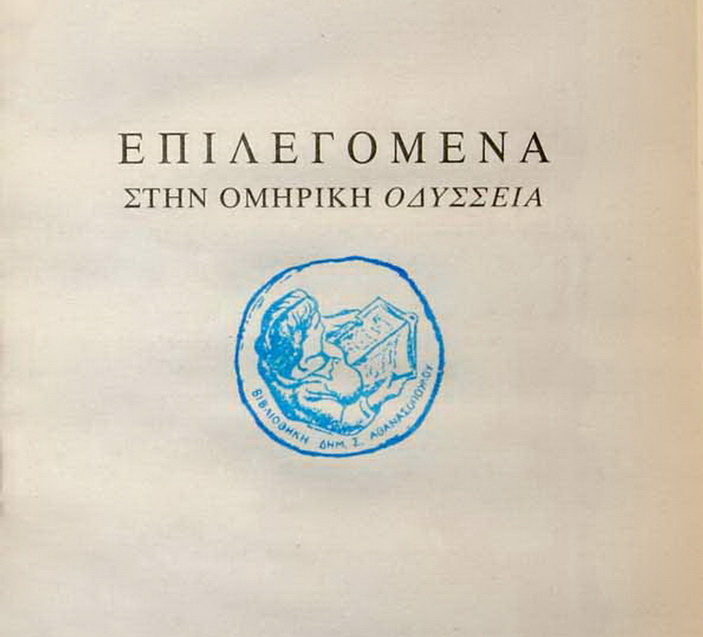 The exhibition was organized in coordination and under the auspices of the European Comittee. 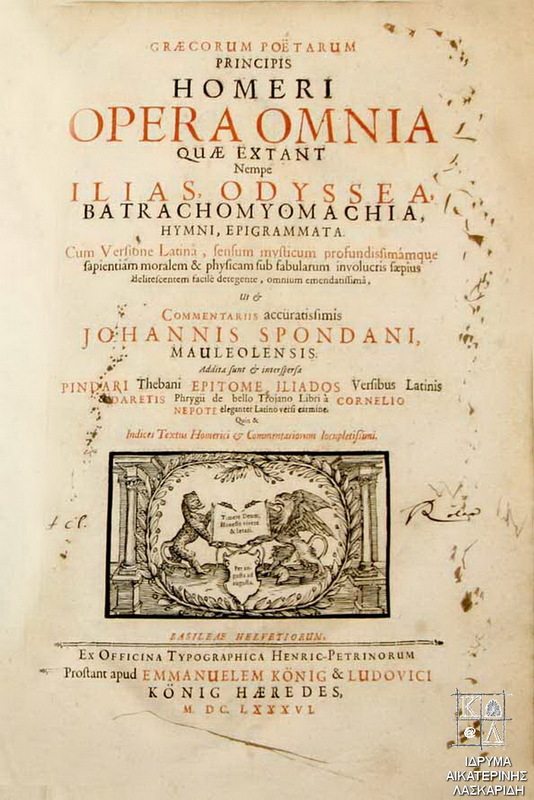 The exhibition was inaugurated in March 2014 in France, (Paris, Besancon, Lyon), to continue during the following months in Croatia, (Zagreb), Italy, (Rome), Romania, (Bucarest), Bulgaria (Sofia), Slovenia (Lubliana), Austria, (Vienna) and Hungaru (Budapest). 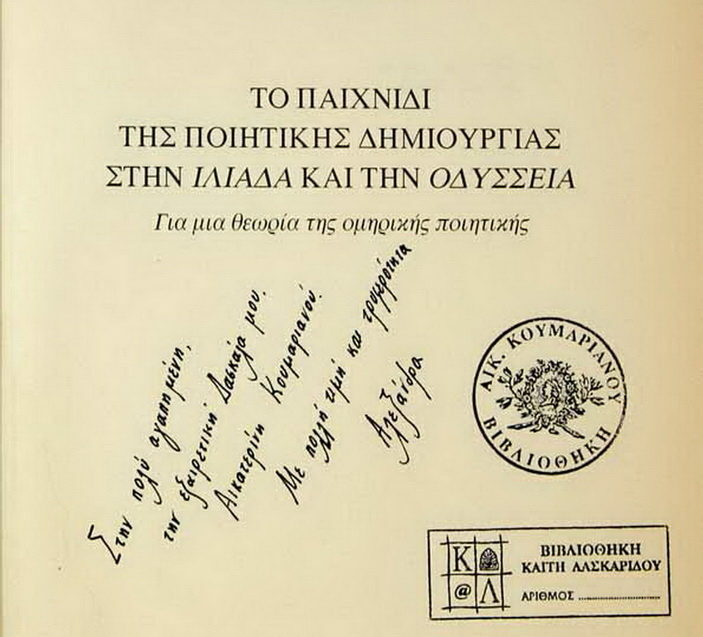 After Piraeus, the Exhibition will travel to Thessaloniki, to be hosted by the Aristoteleion University of Thessaloniki. 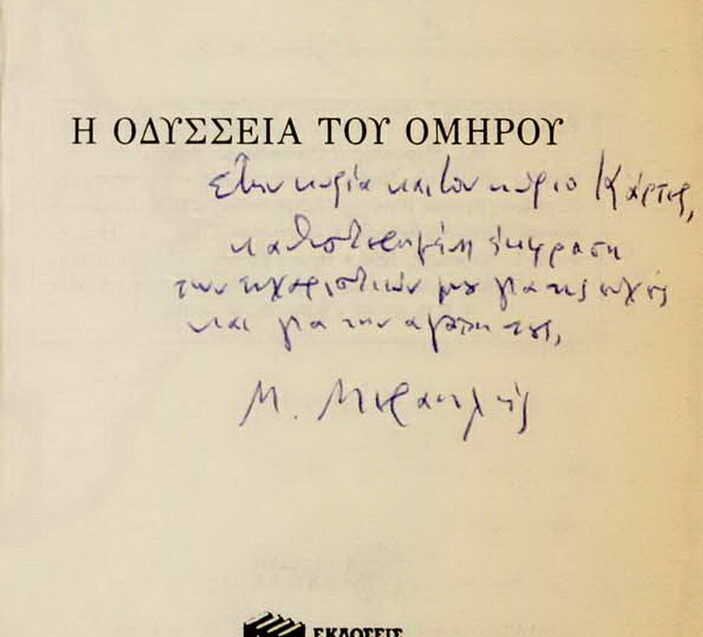 For the inauguration of the exhibition press here (in Greek). 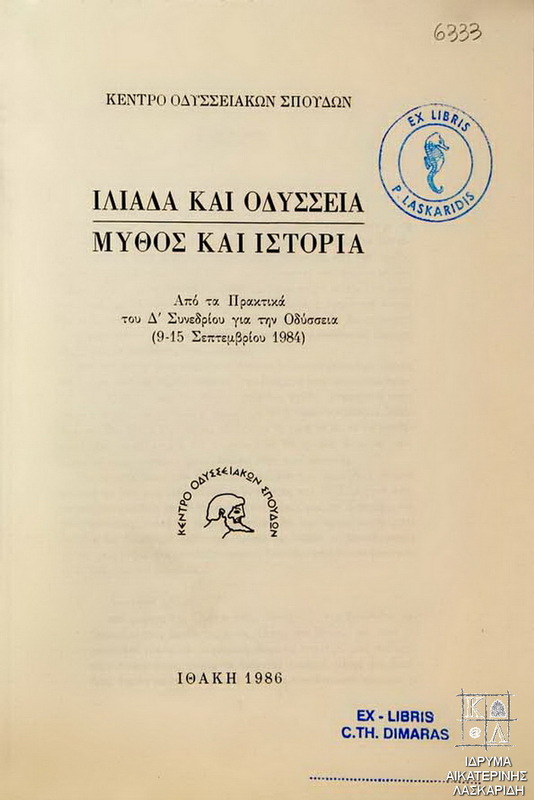 The exhibition was open and entrance was free for the public in the building of the Foundation at 36, II Merarchias street, Piraeus, from 24 February to 29 March.